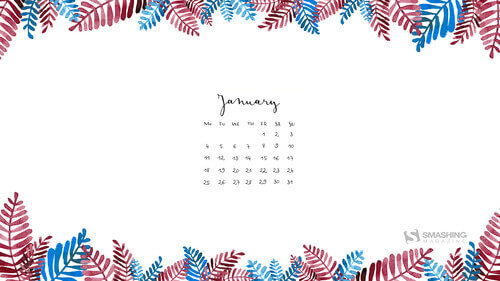 The new year is an occasion to start things fresh, to rethink current practices and habits. 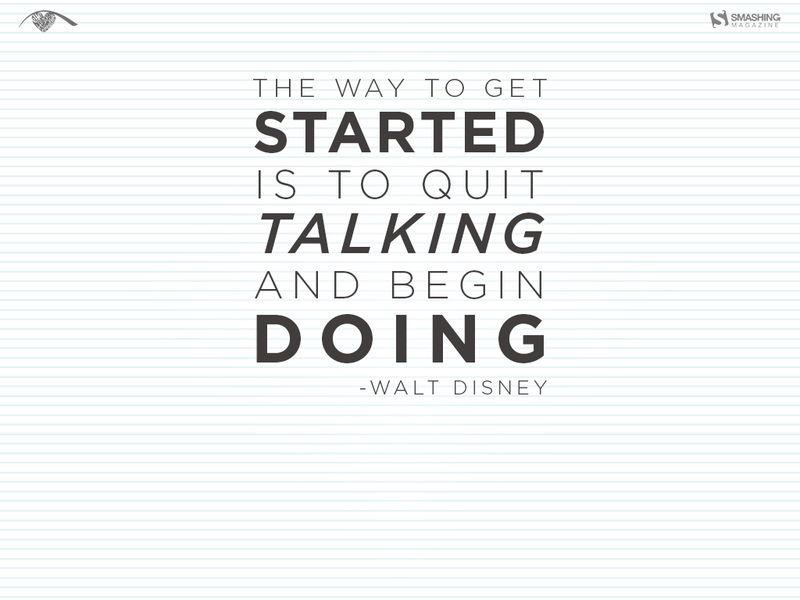 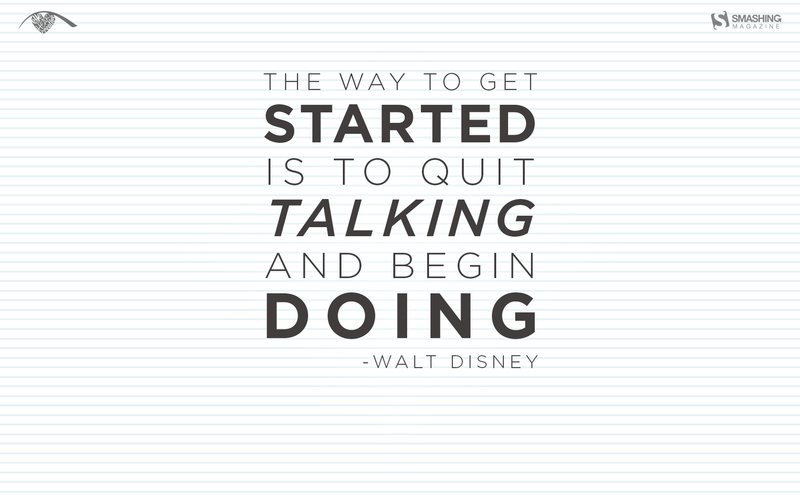 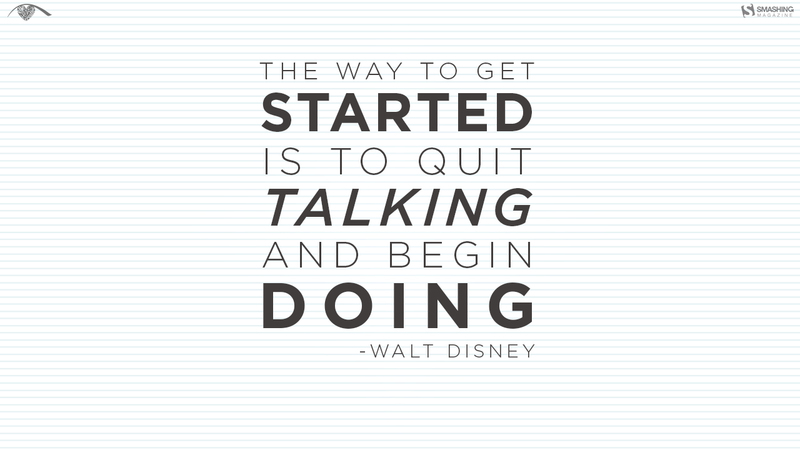 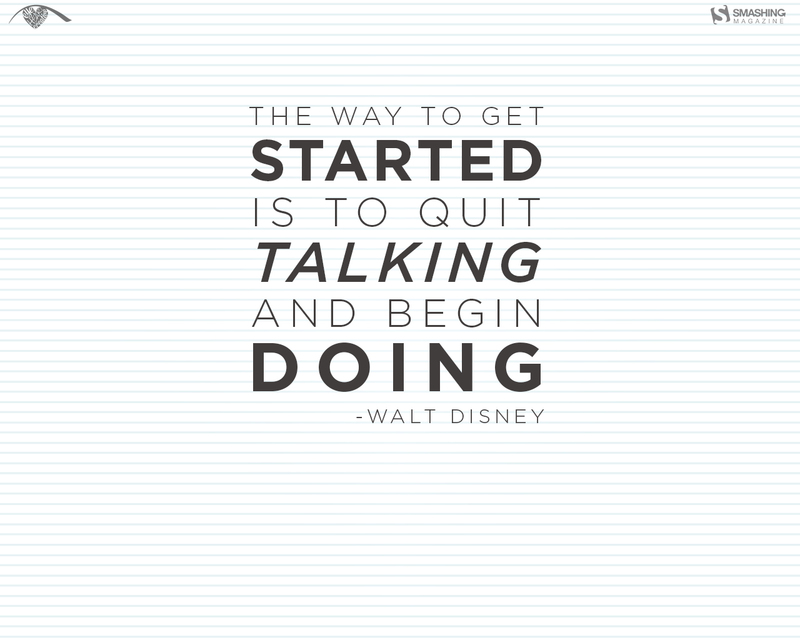 So why not start small? 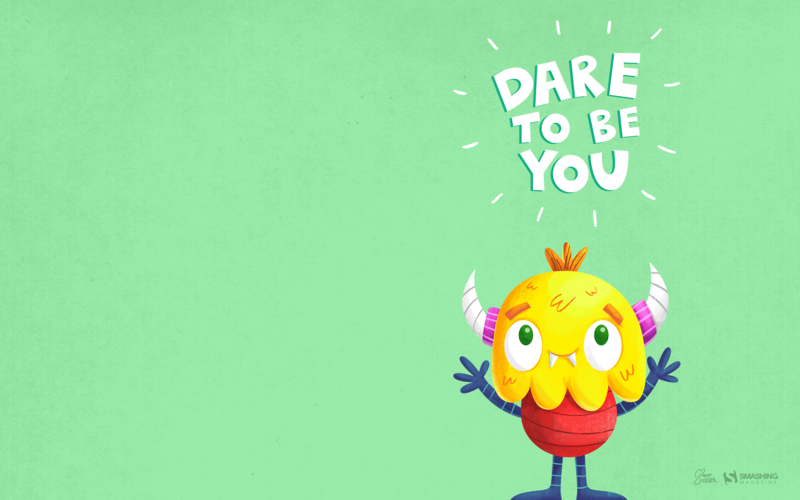 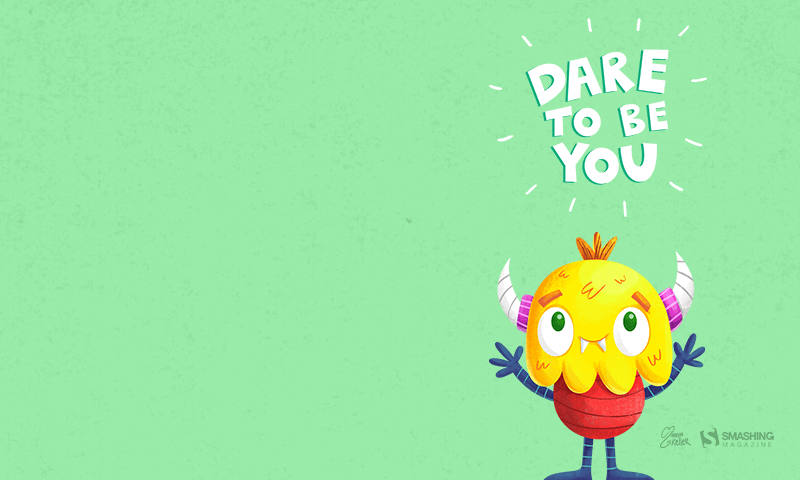 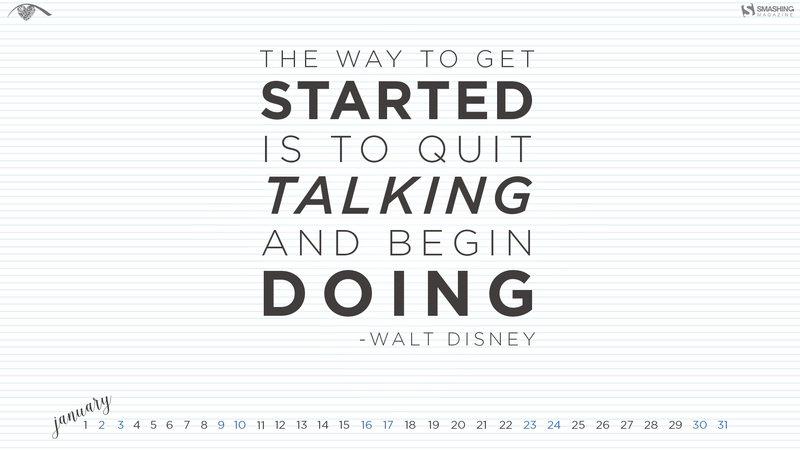 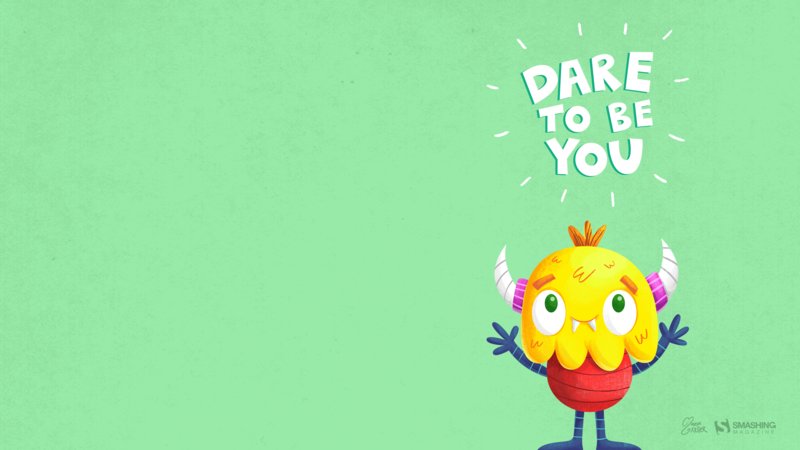 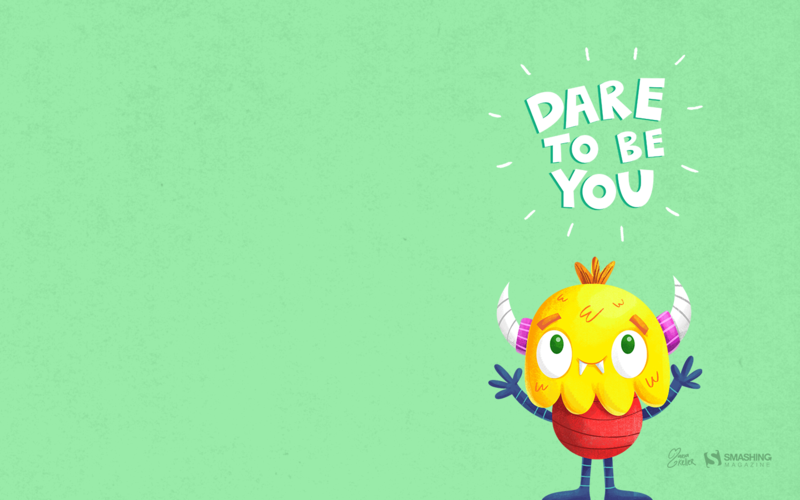 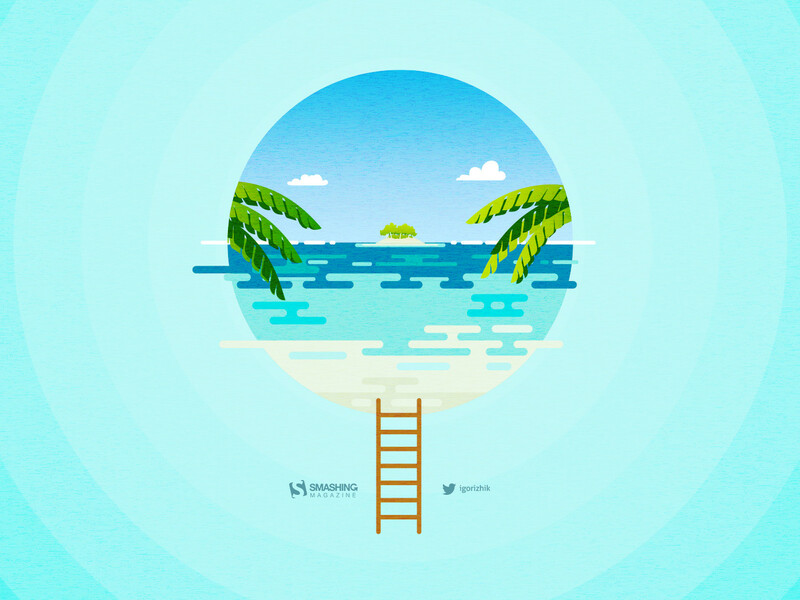 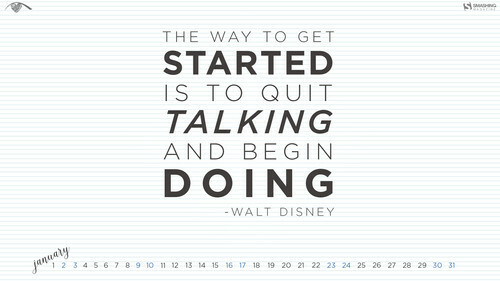 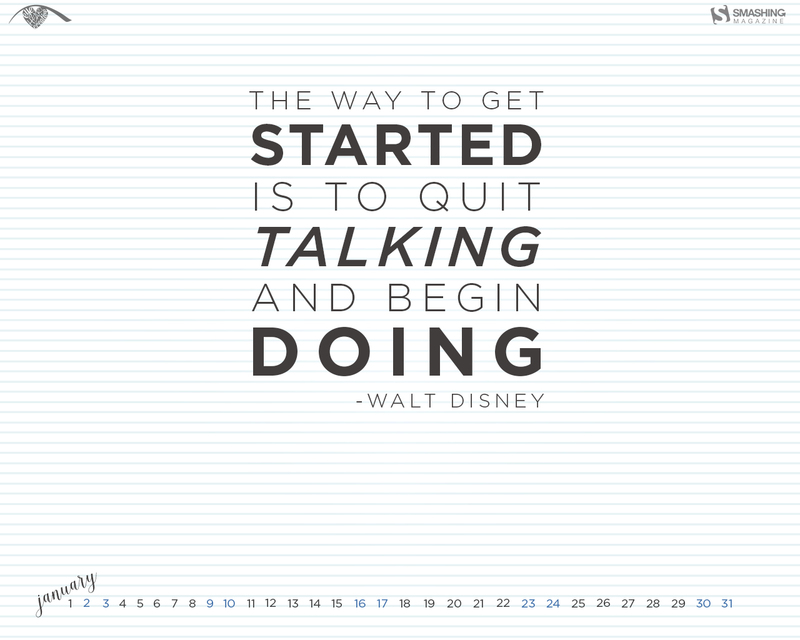 Clean up your desktop and give it an inspiring new background. 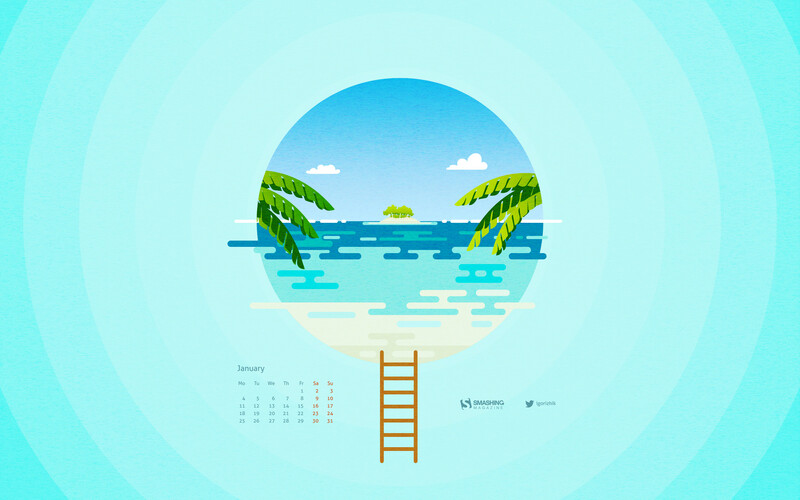 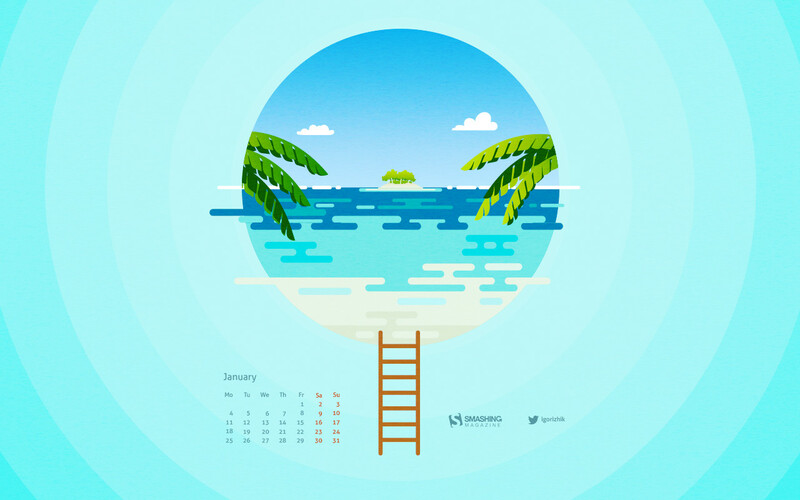 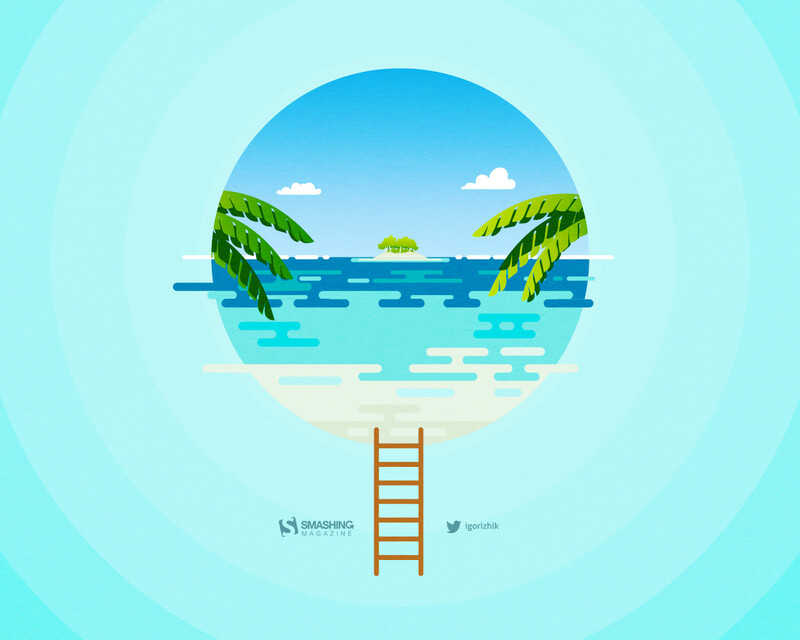 We might have something for you: desktop wallpapers created by artists and designers from across the globe as a part of our monthly desktop wallpapers challenge. 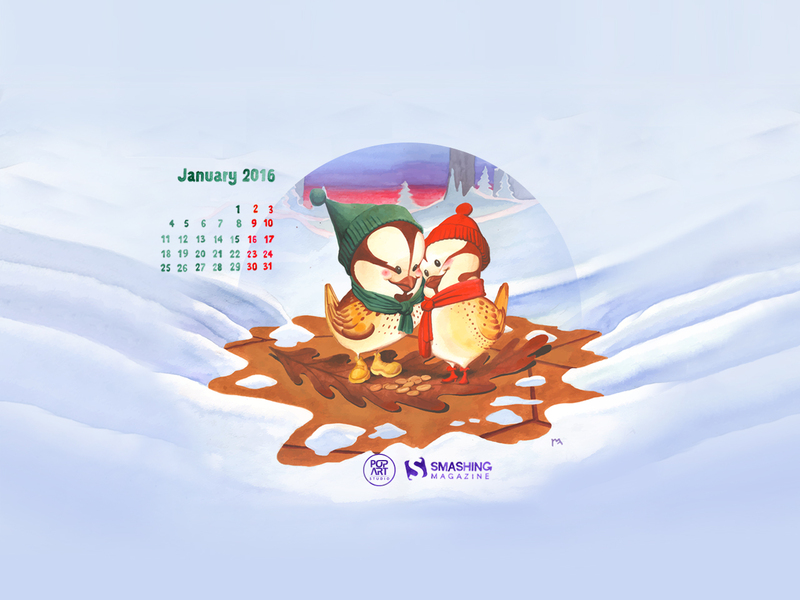 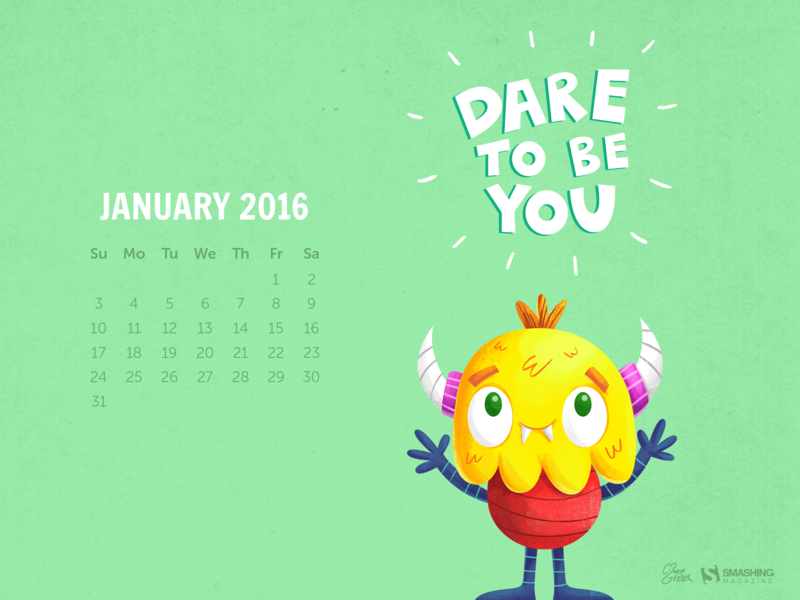 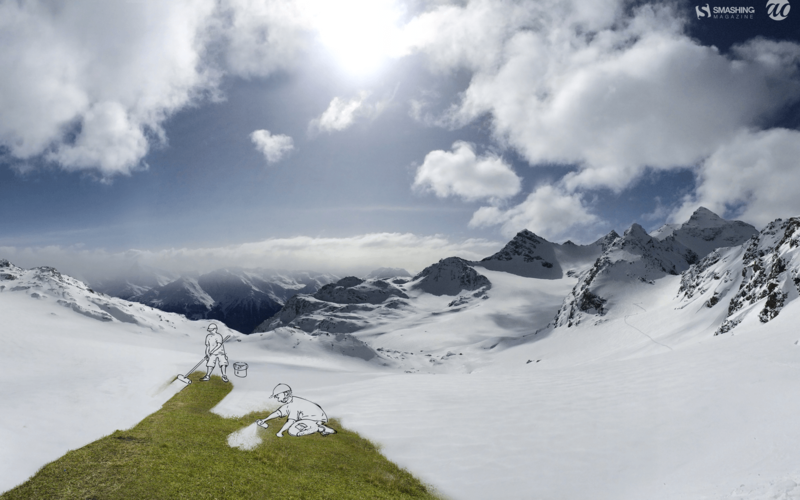 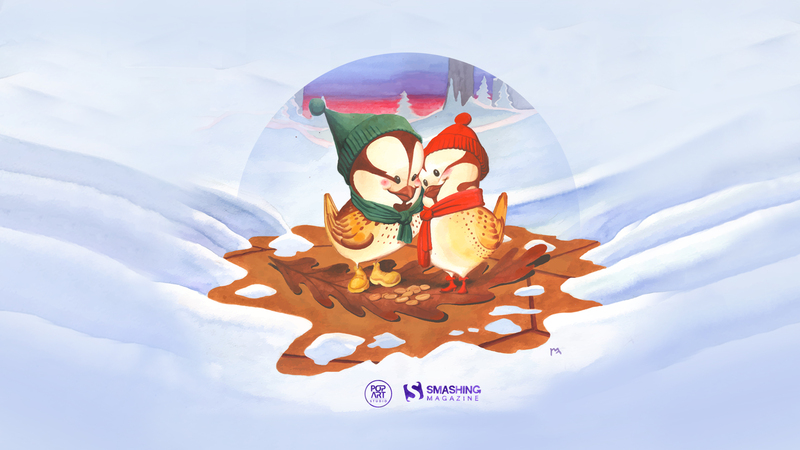 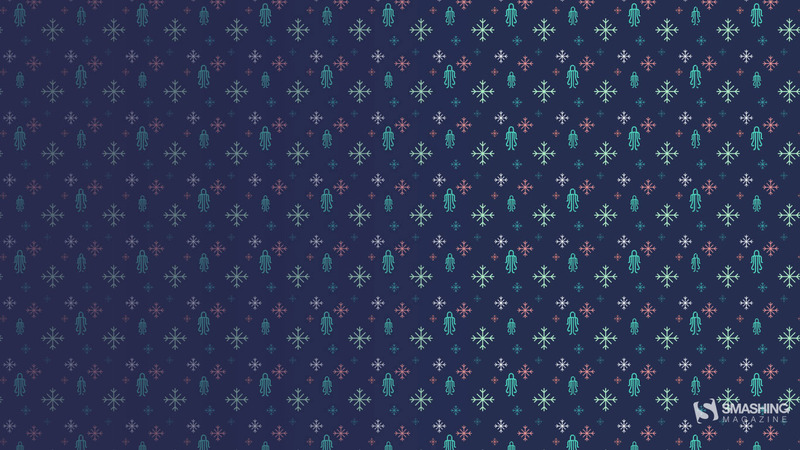 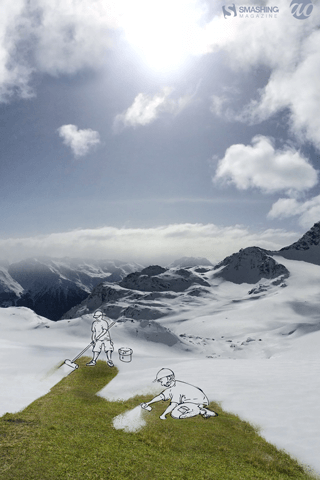 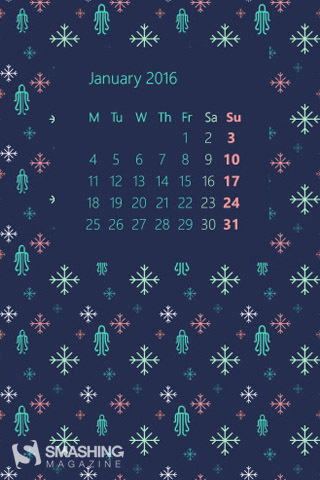 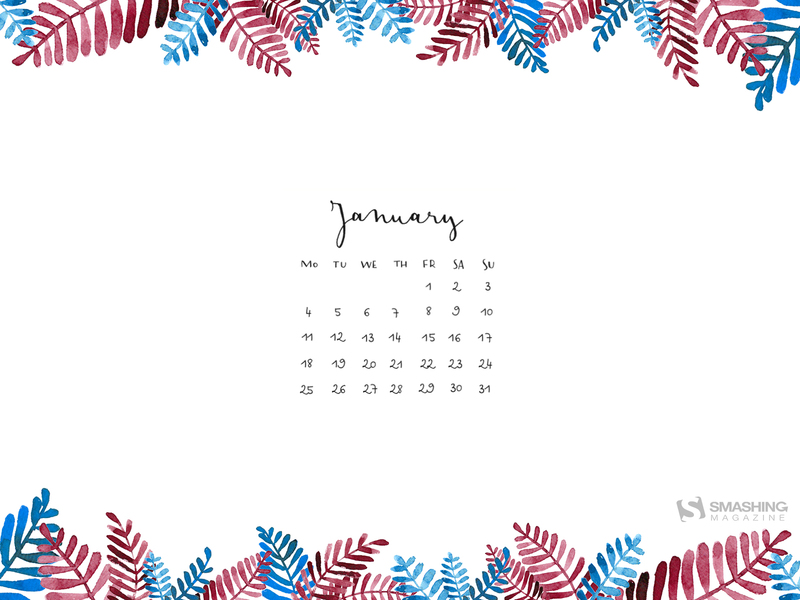 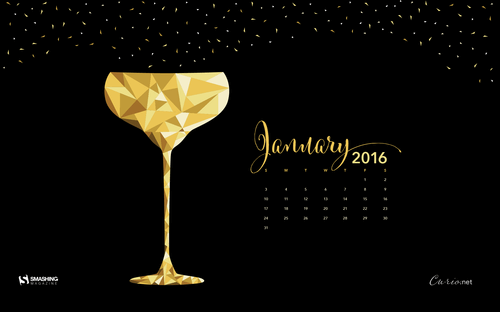 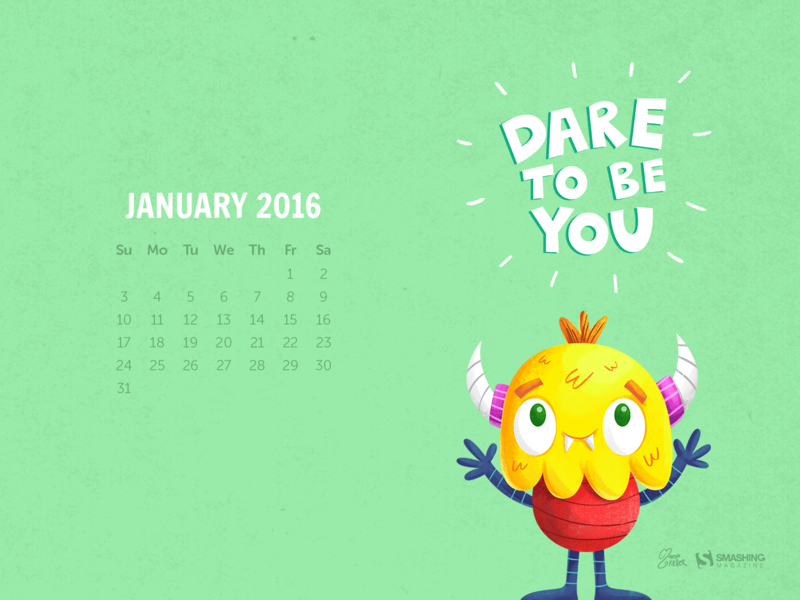 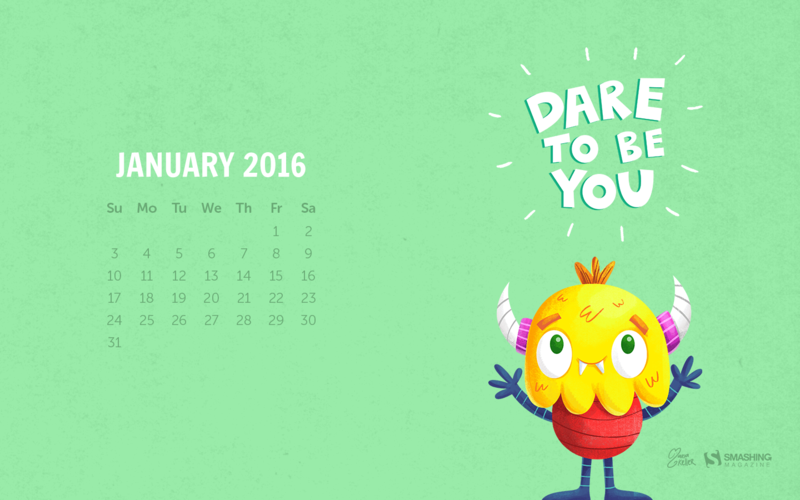 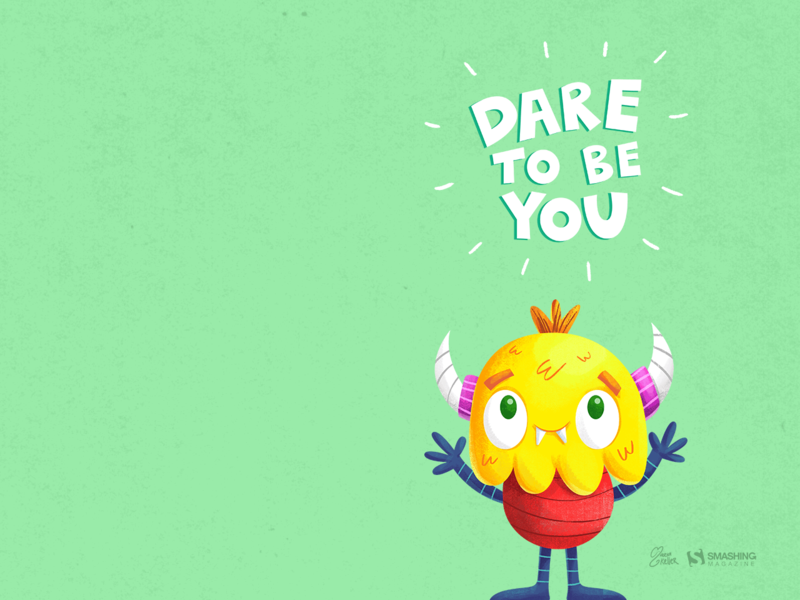 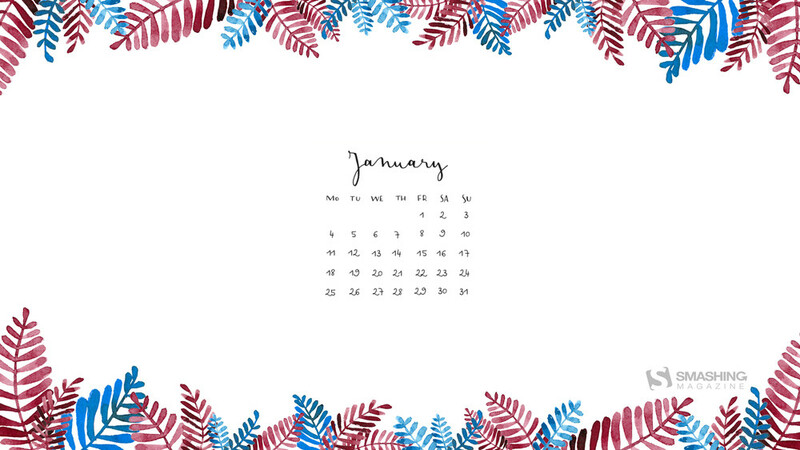 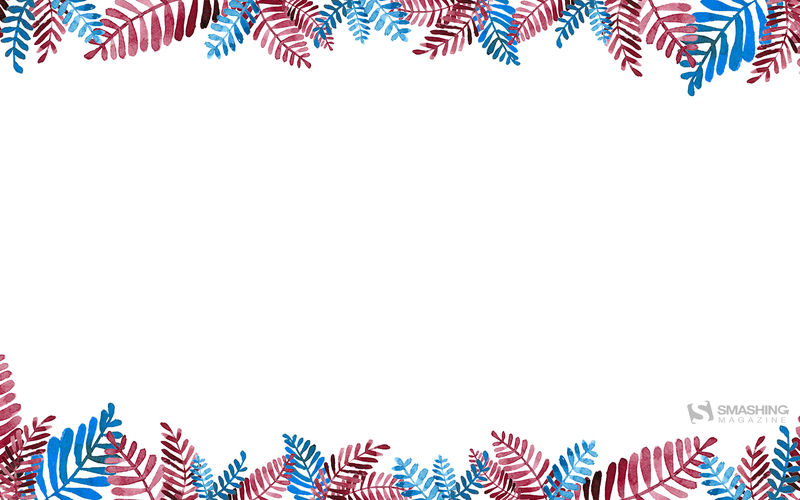 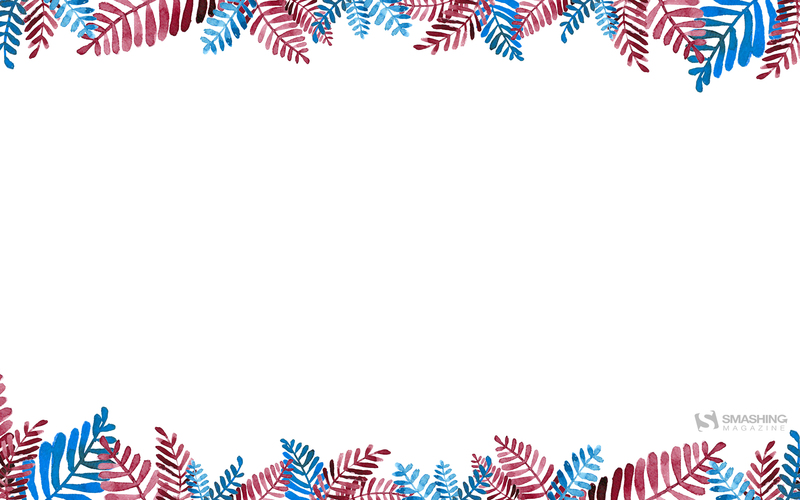 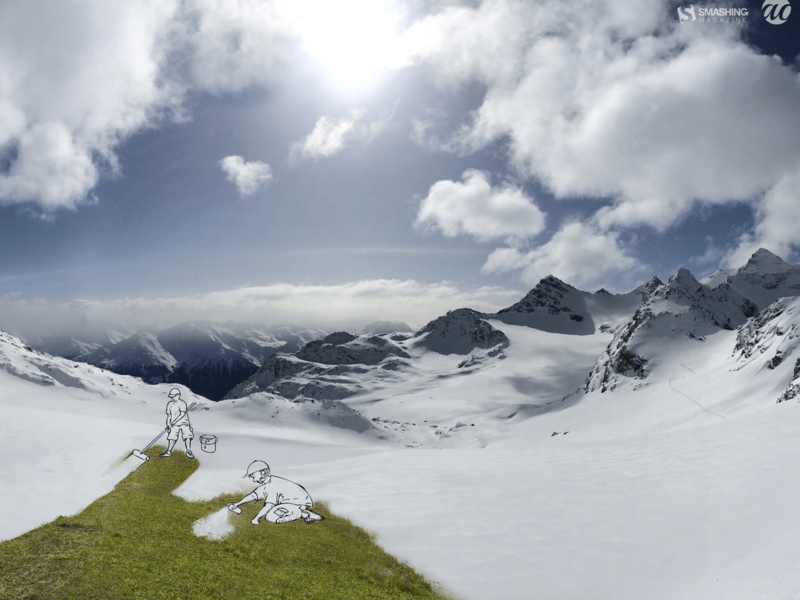 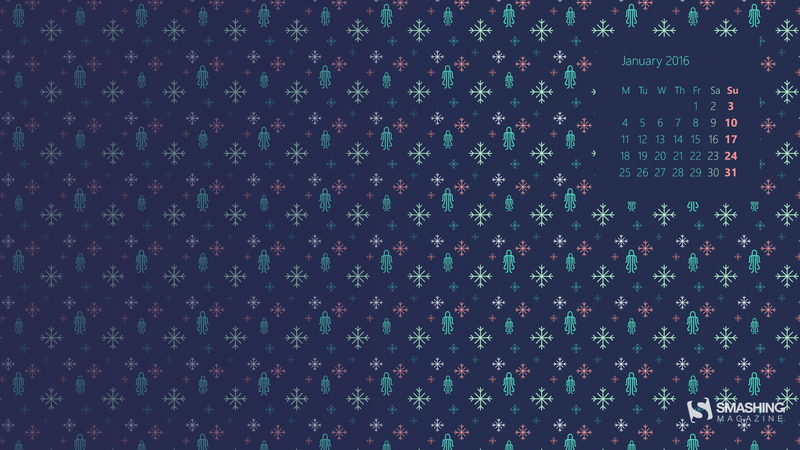 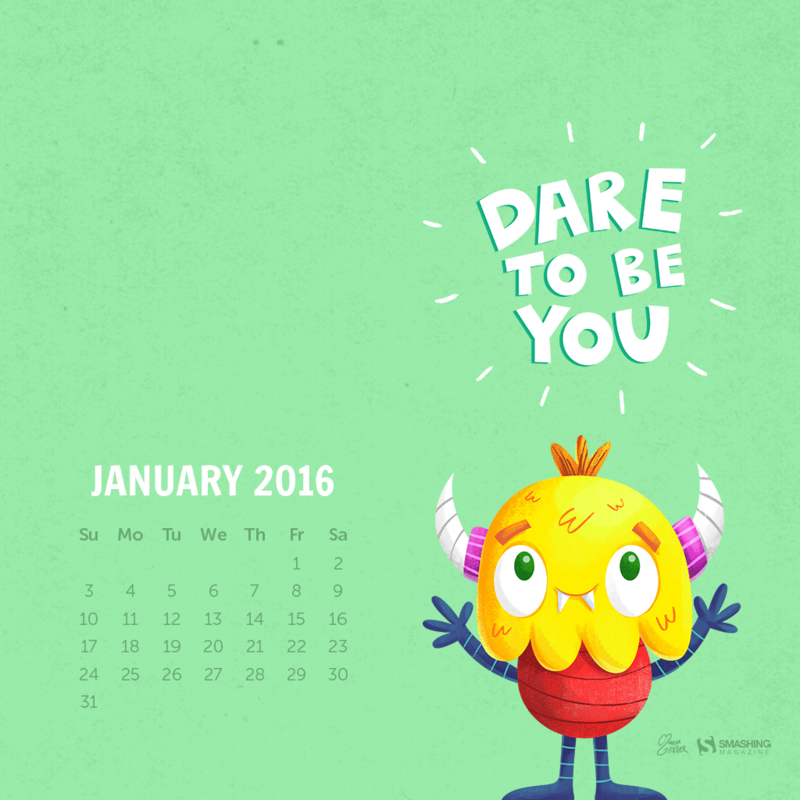 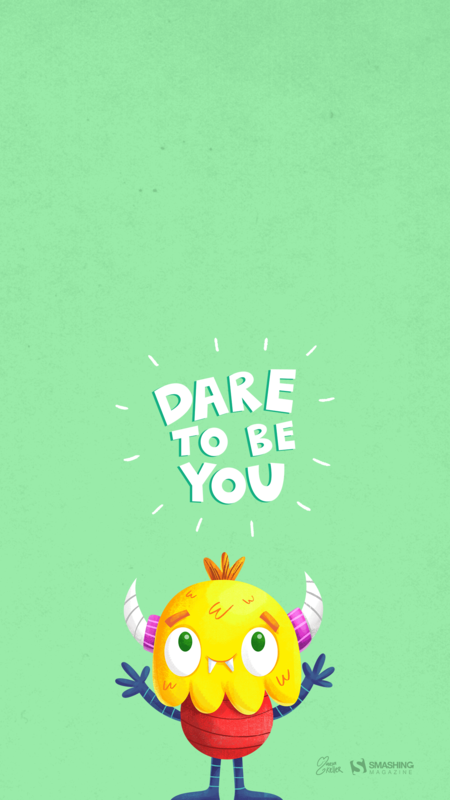 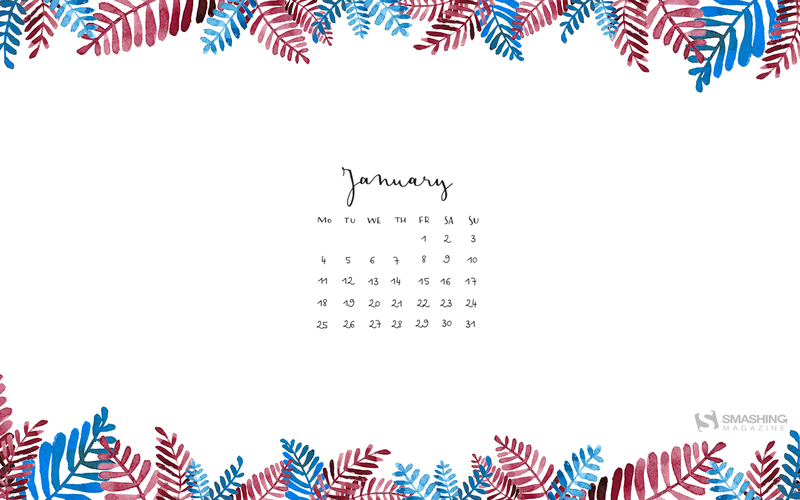 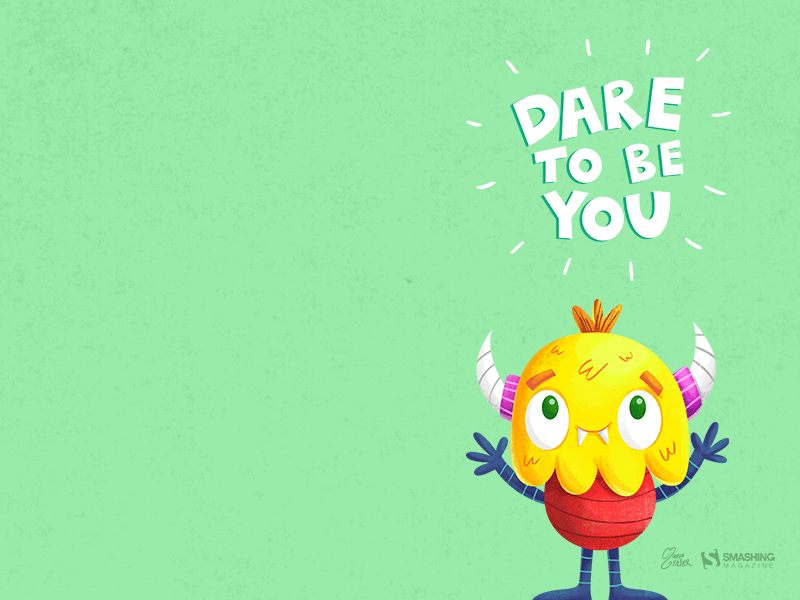 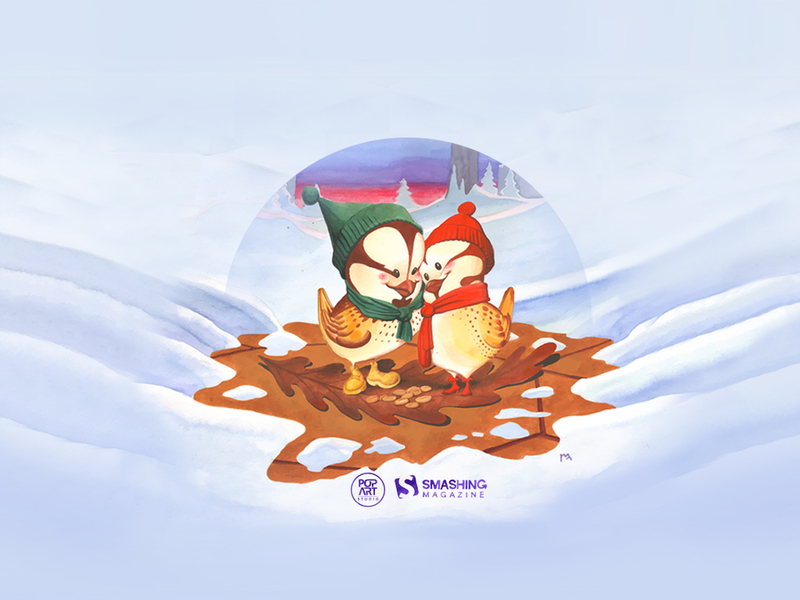 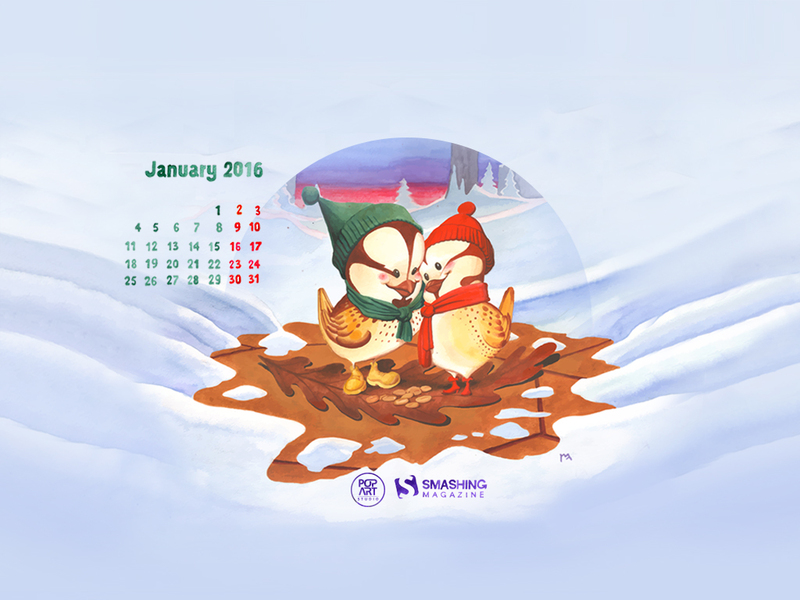 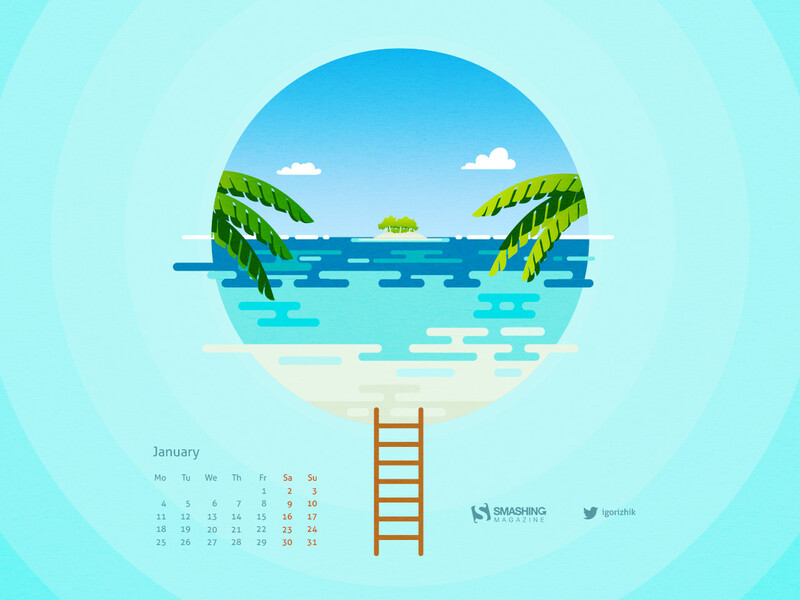 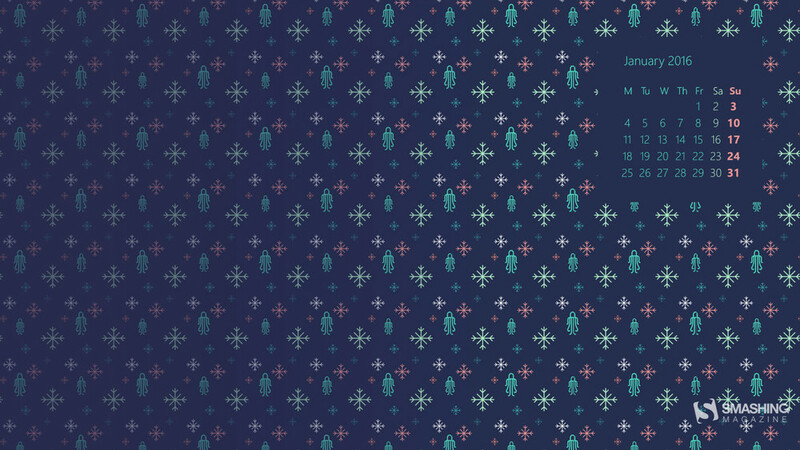 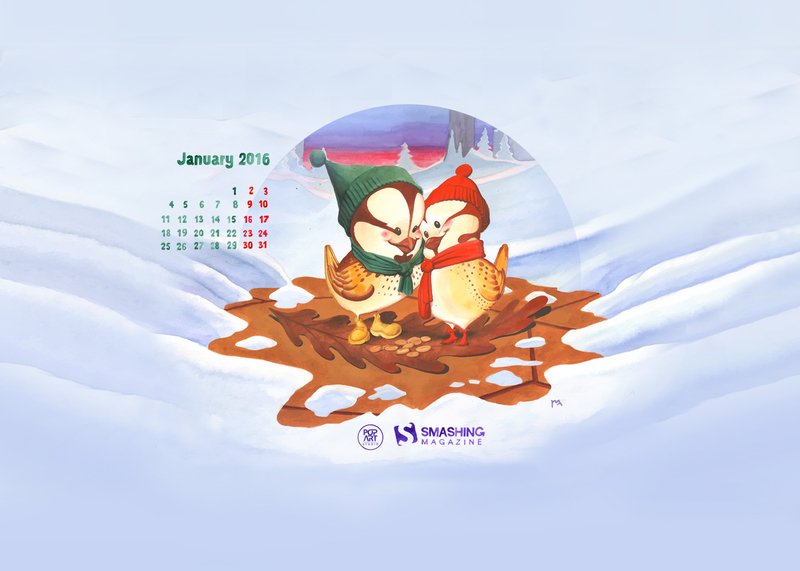 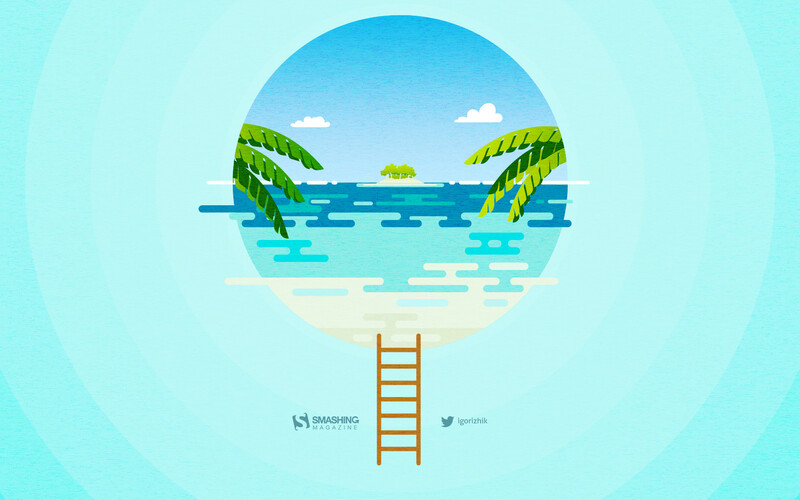 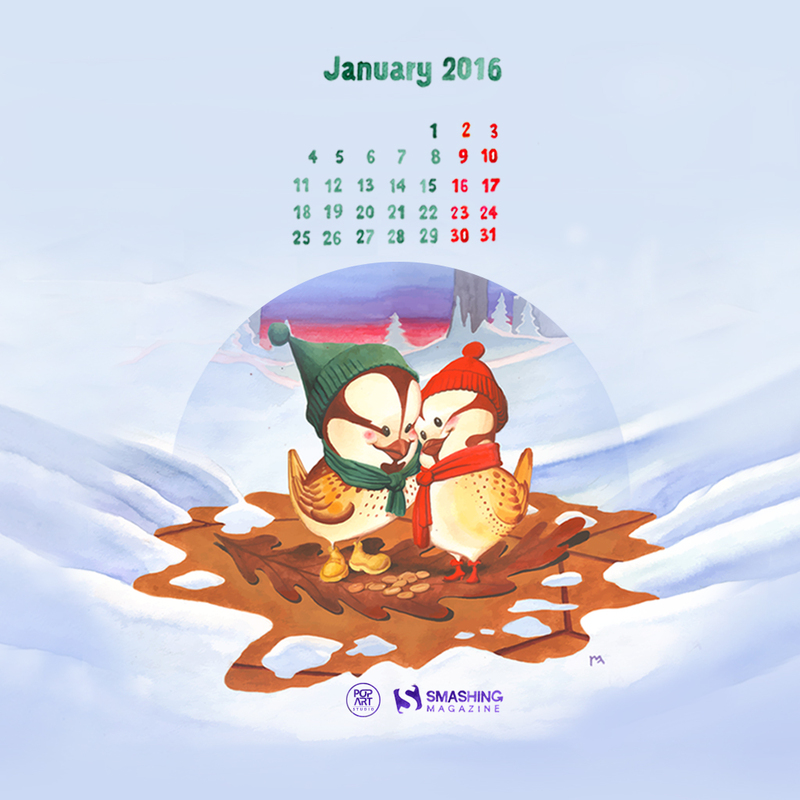 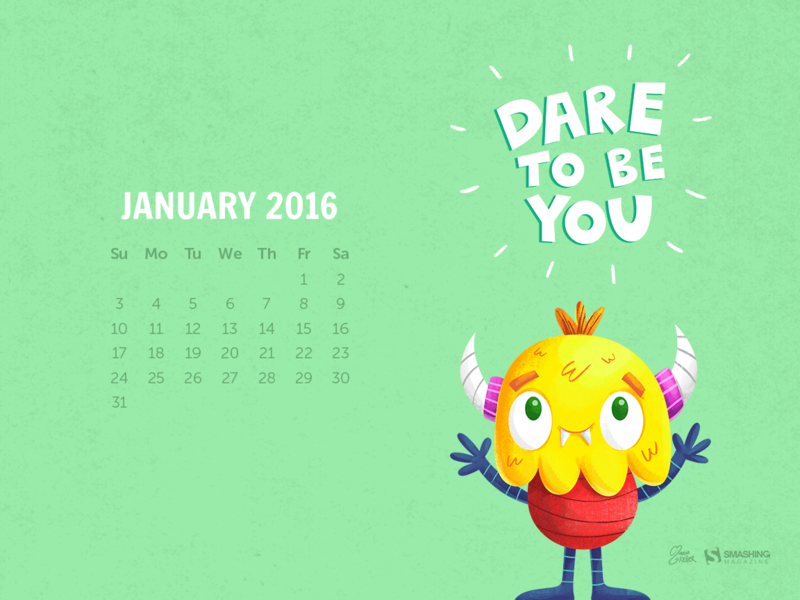 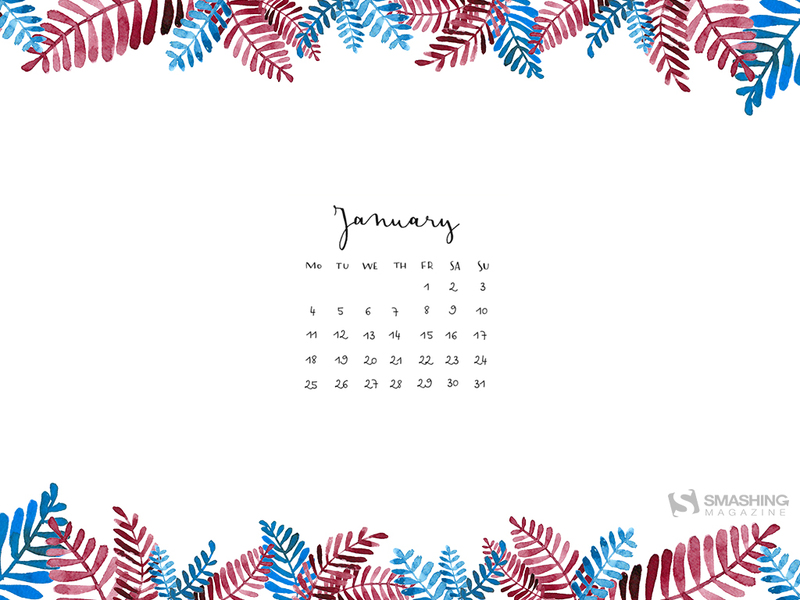 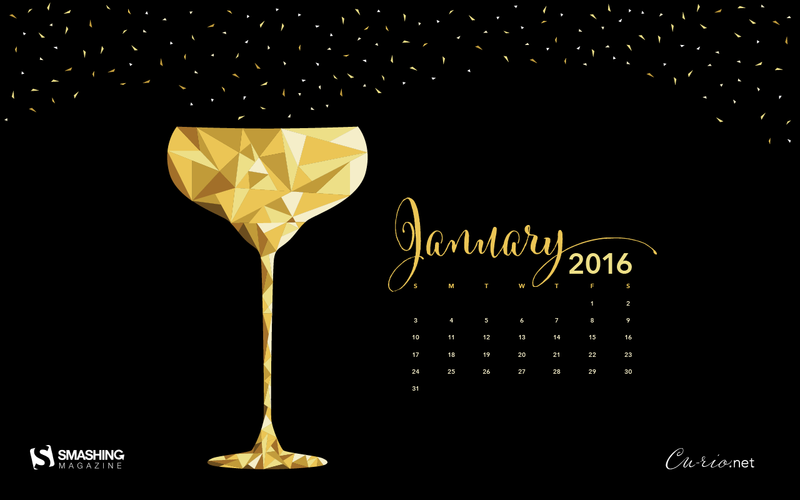 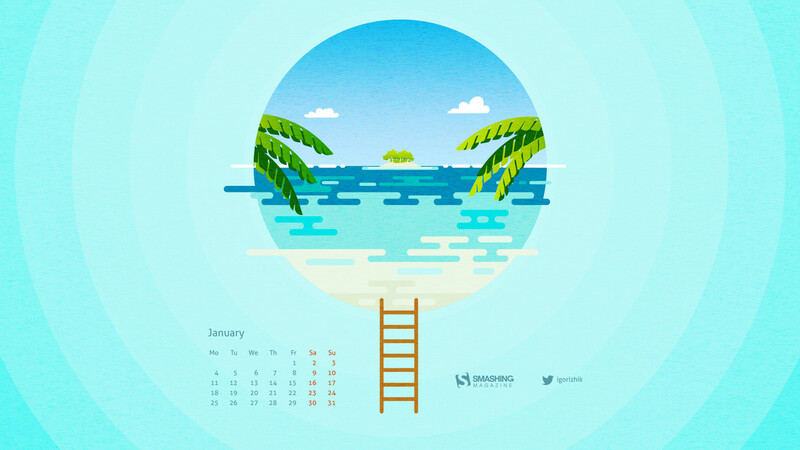 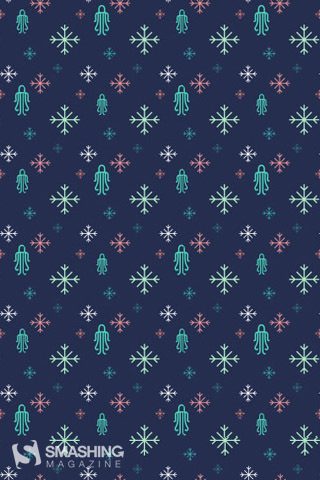 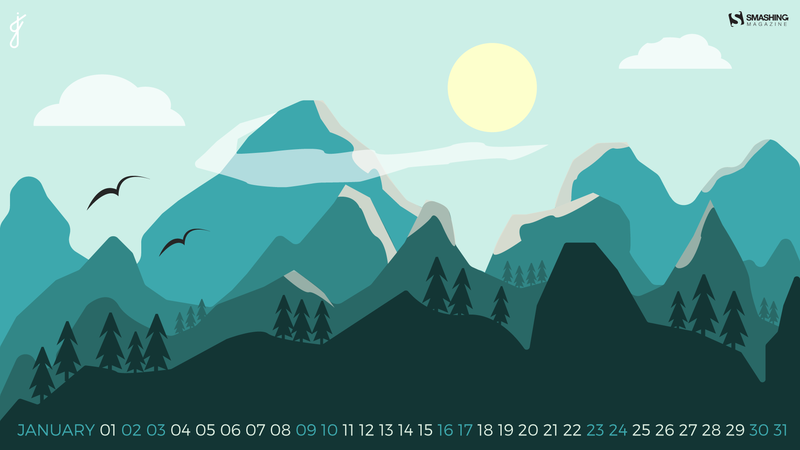 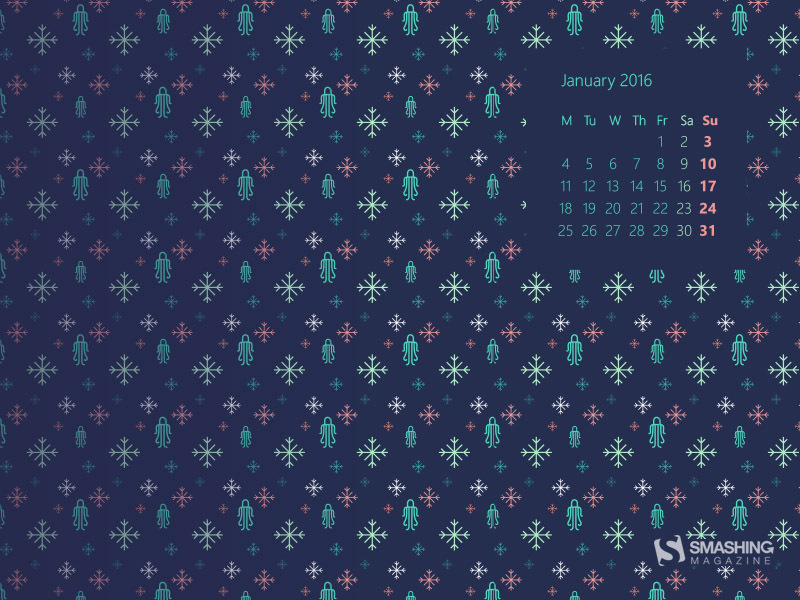 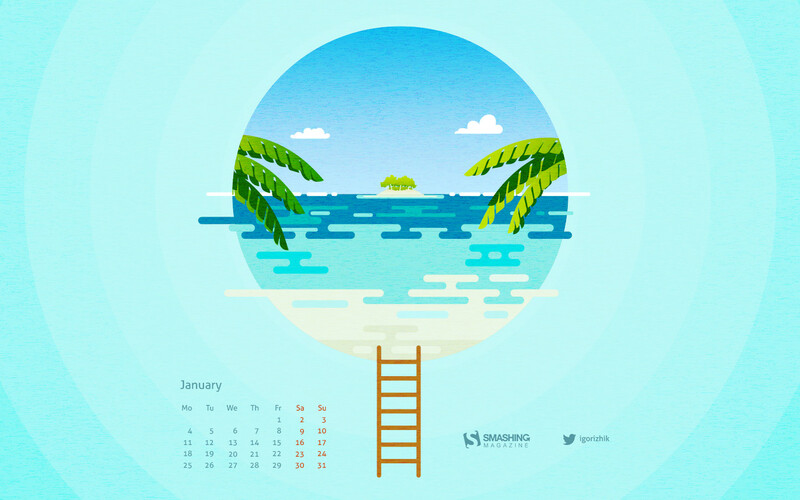 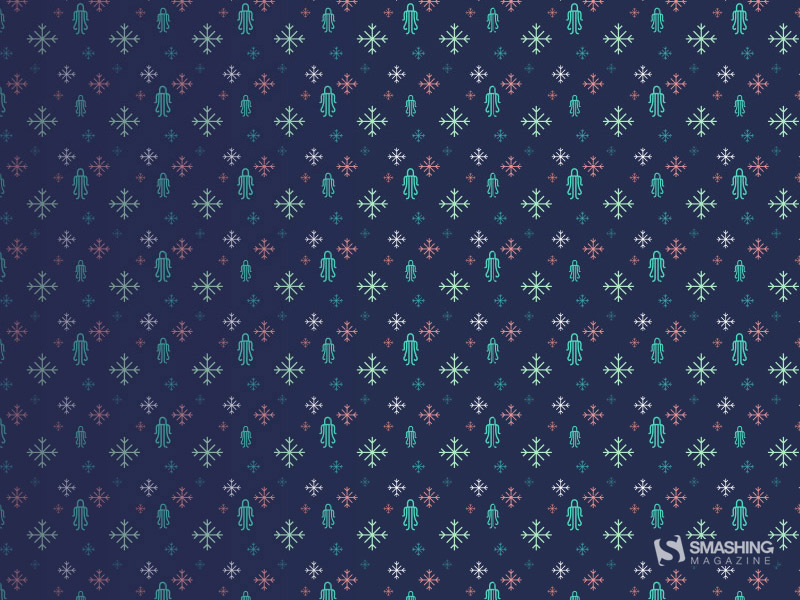 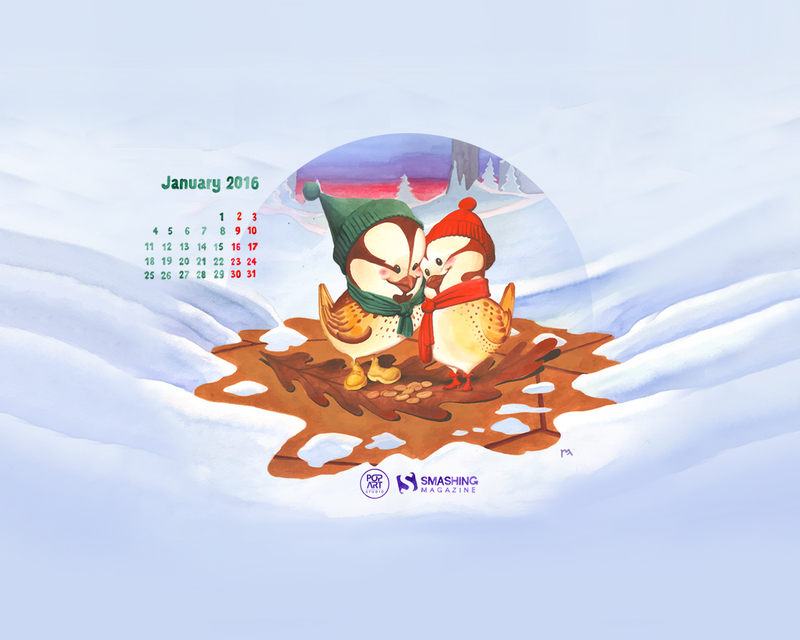 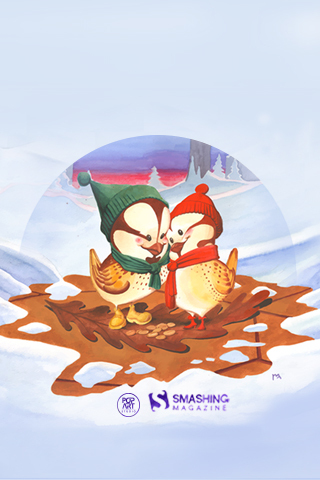 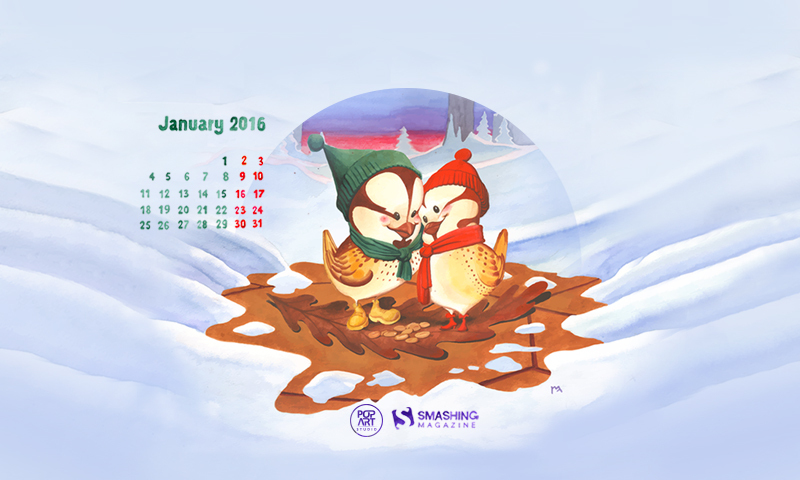 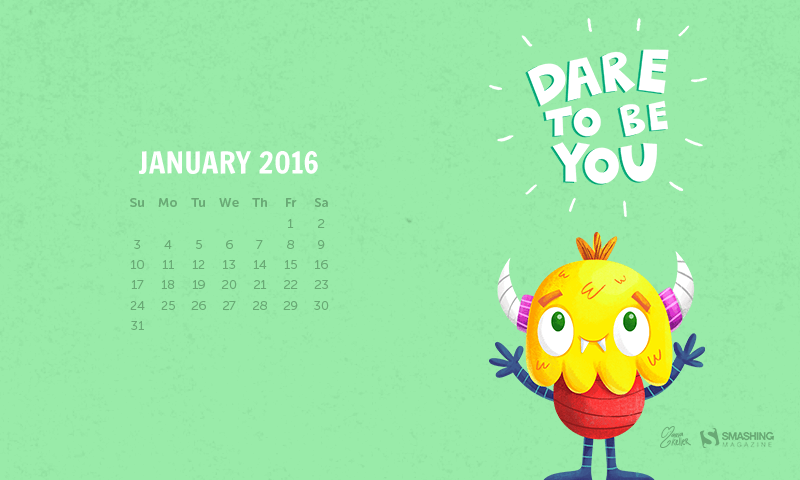 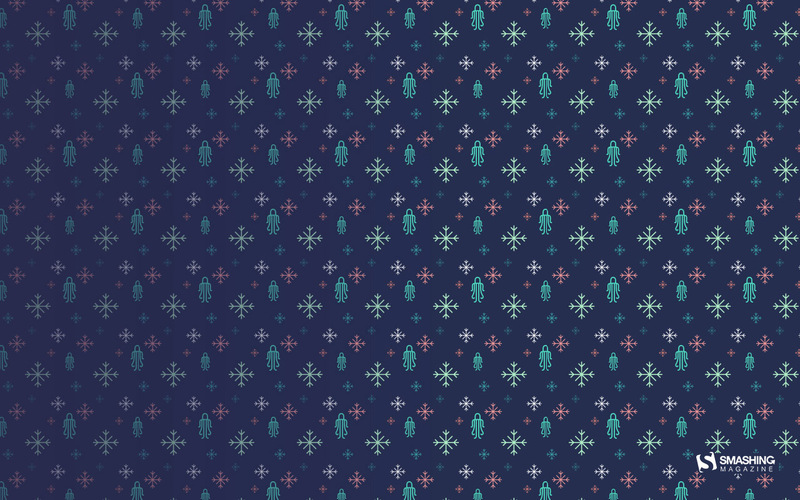 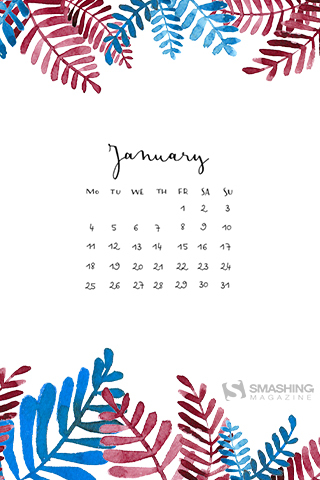 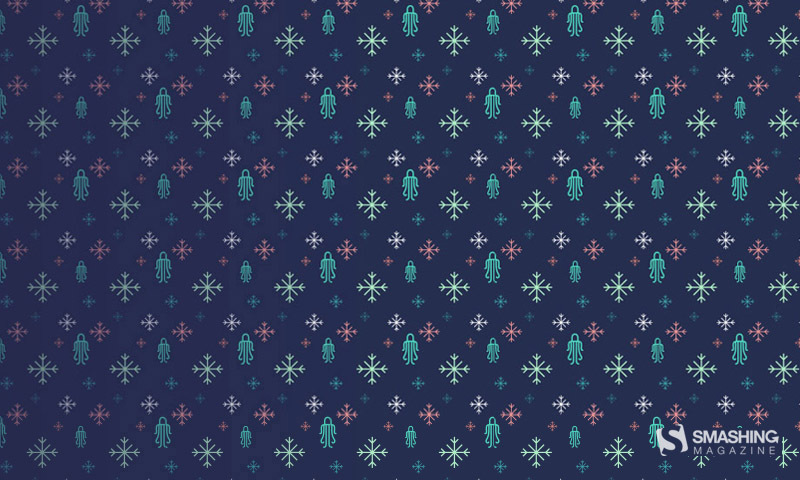 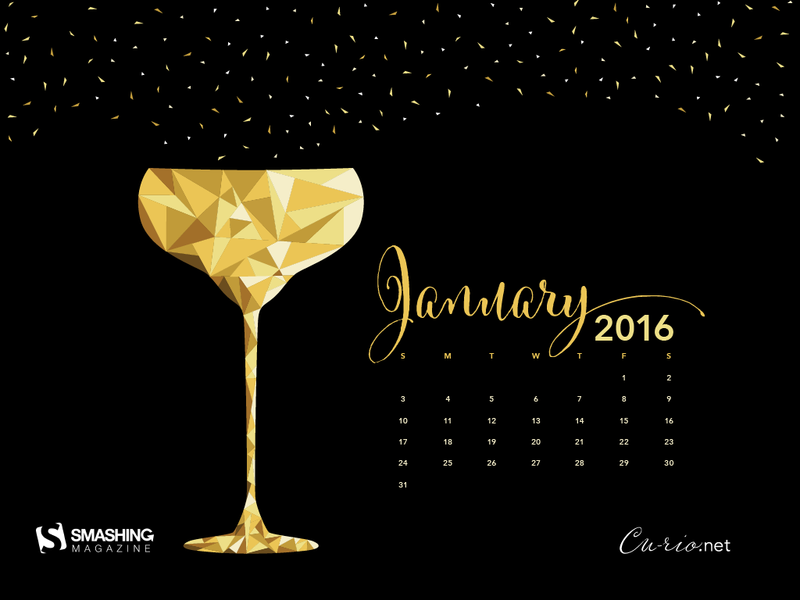 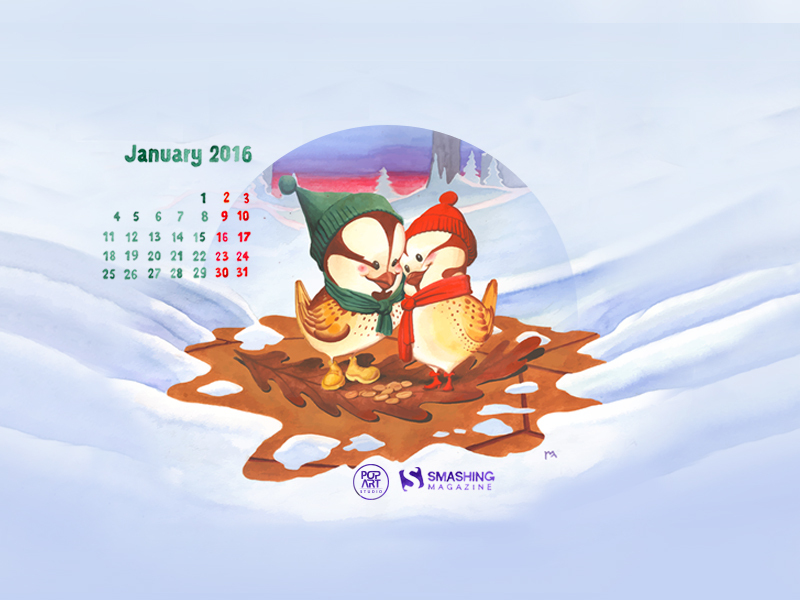 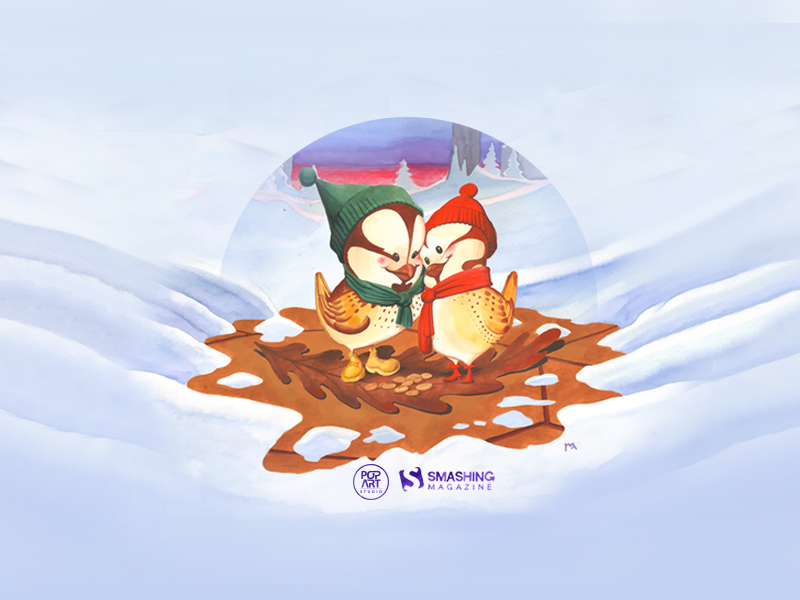 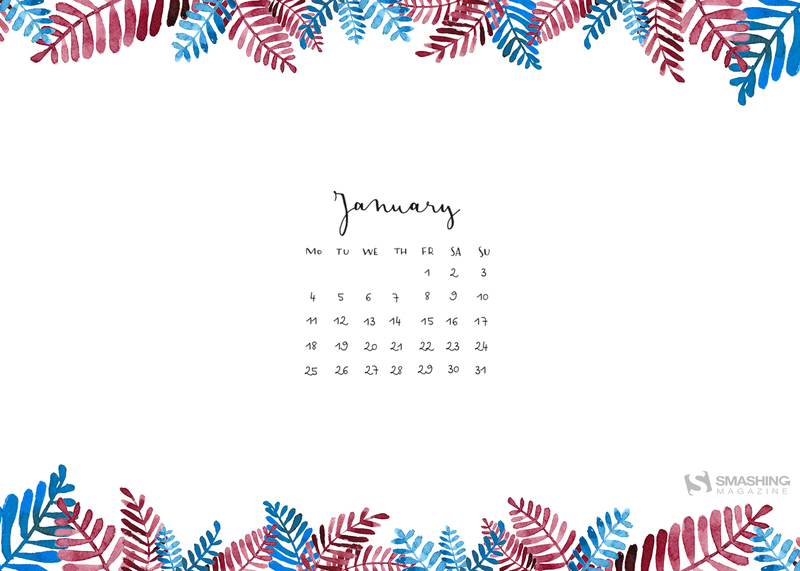 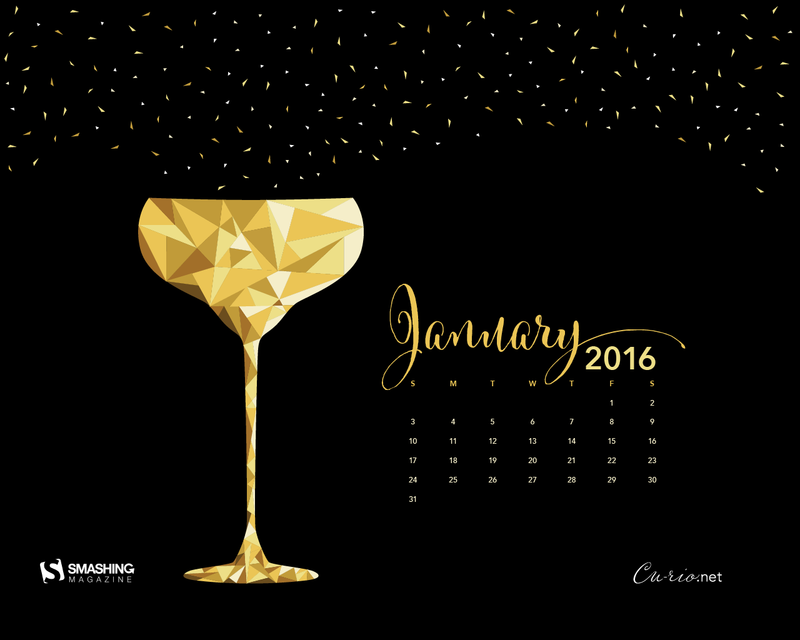 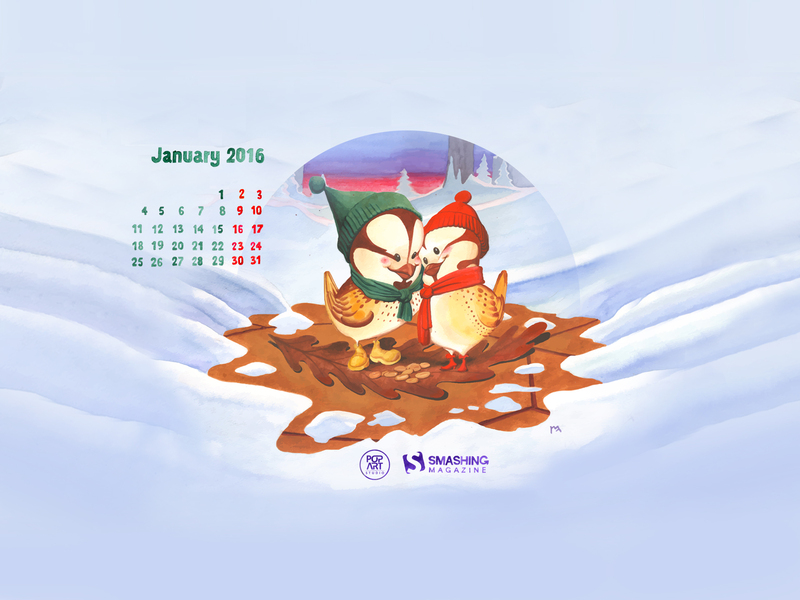 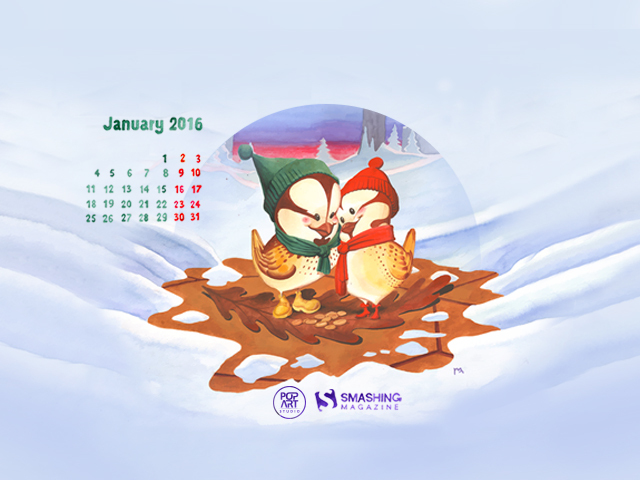 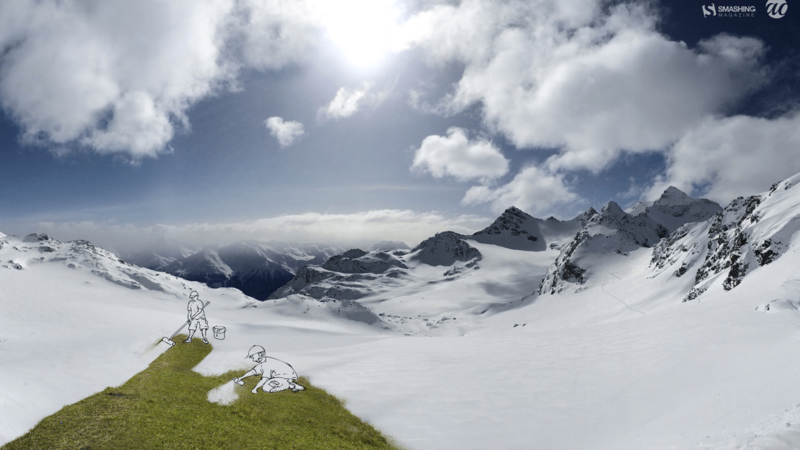 This post features their artwork for January 2016. 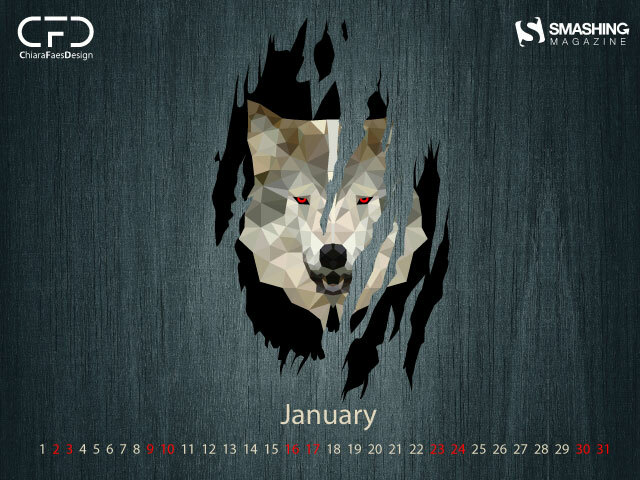 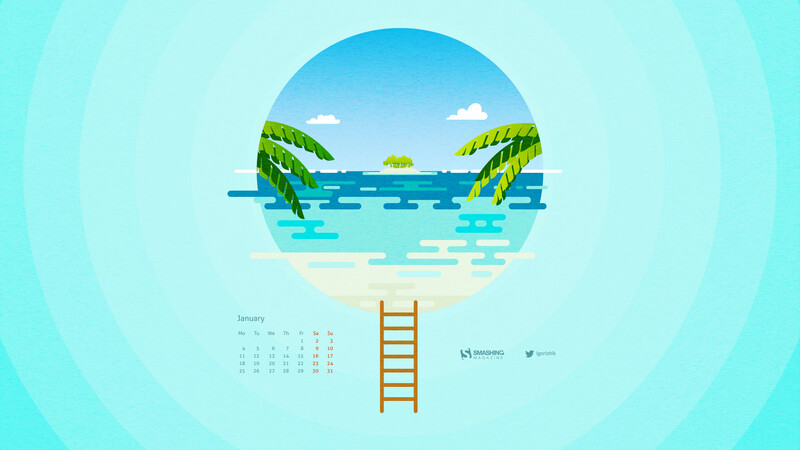 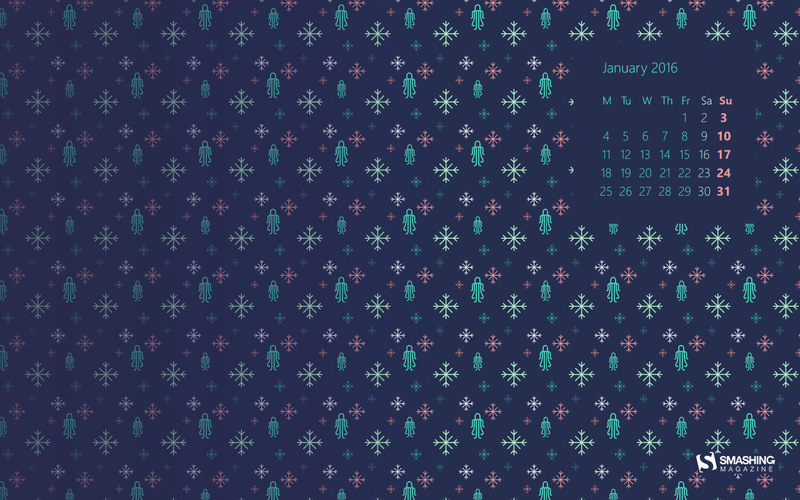 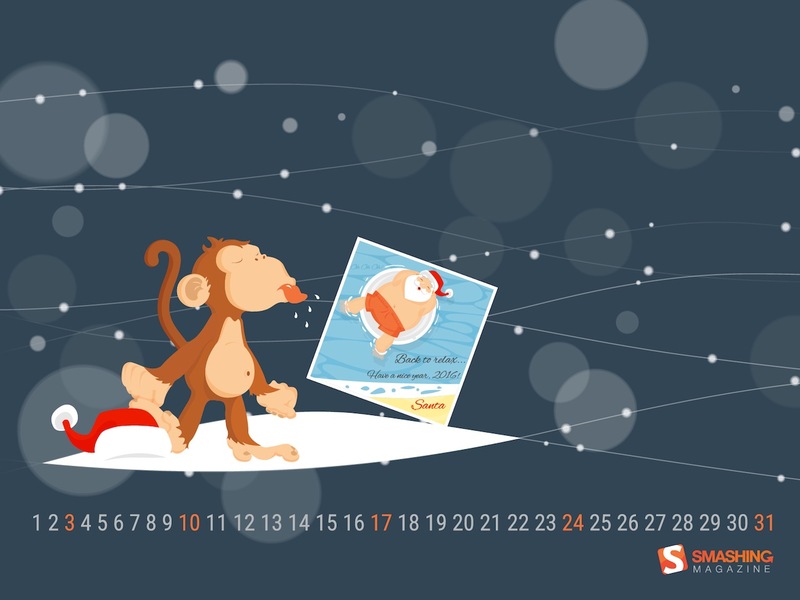 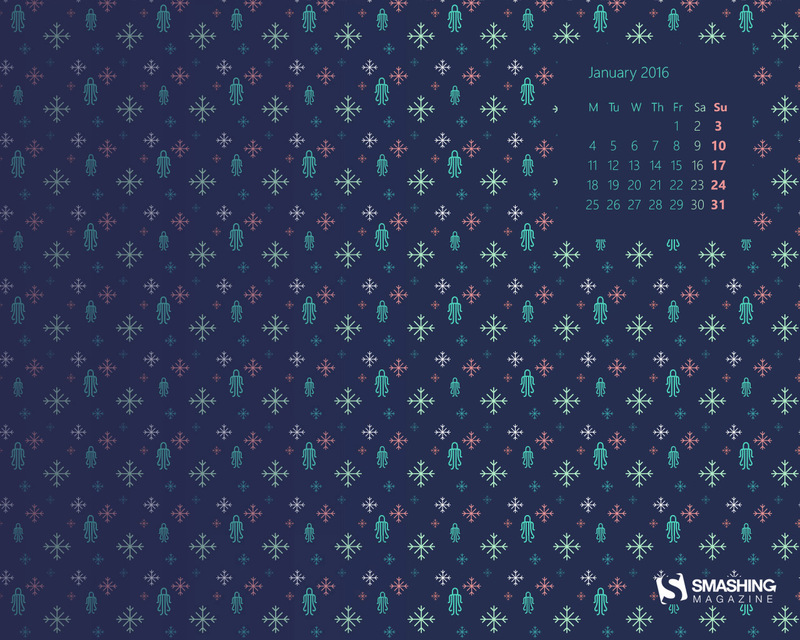 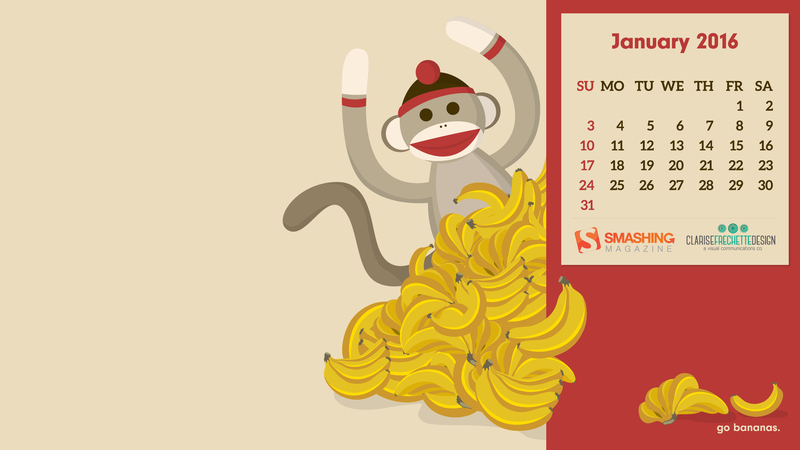 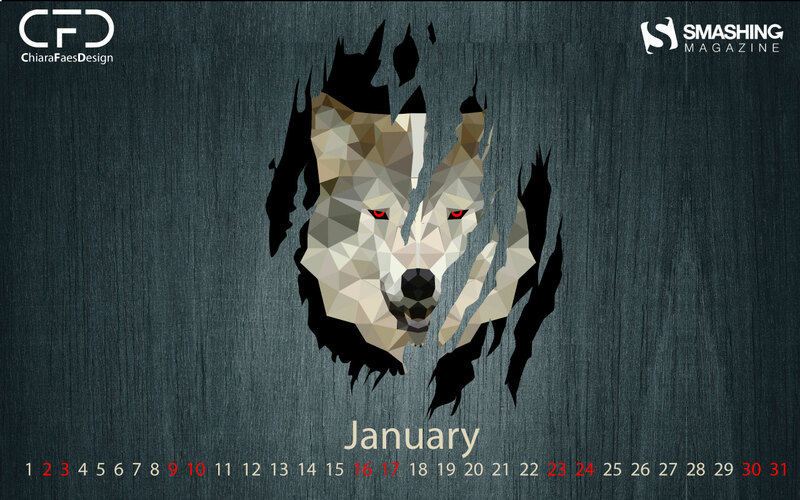 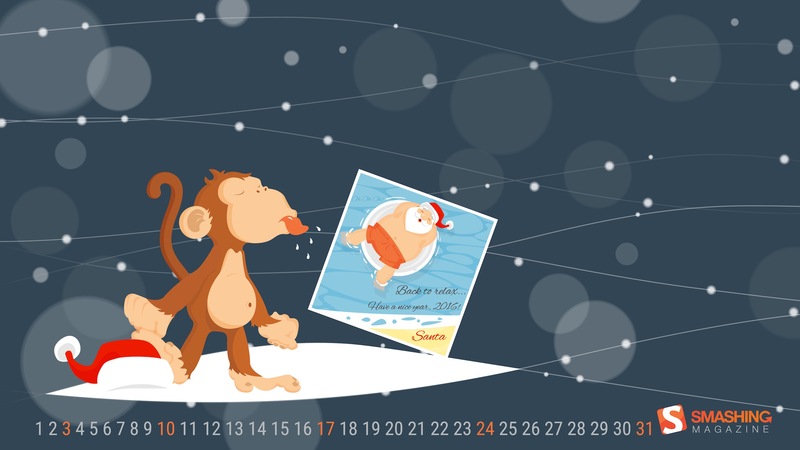 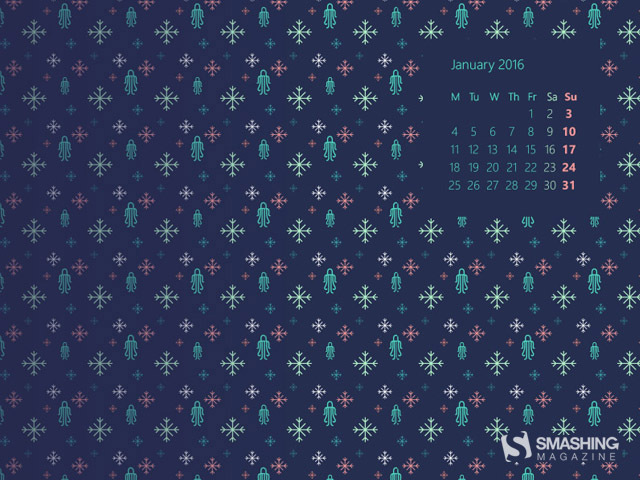 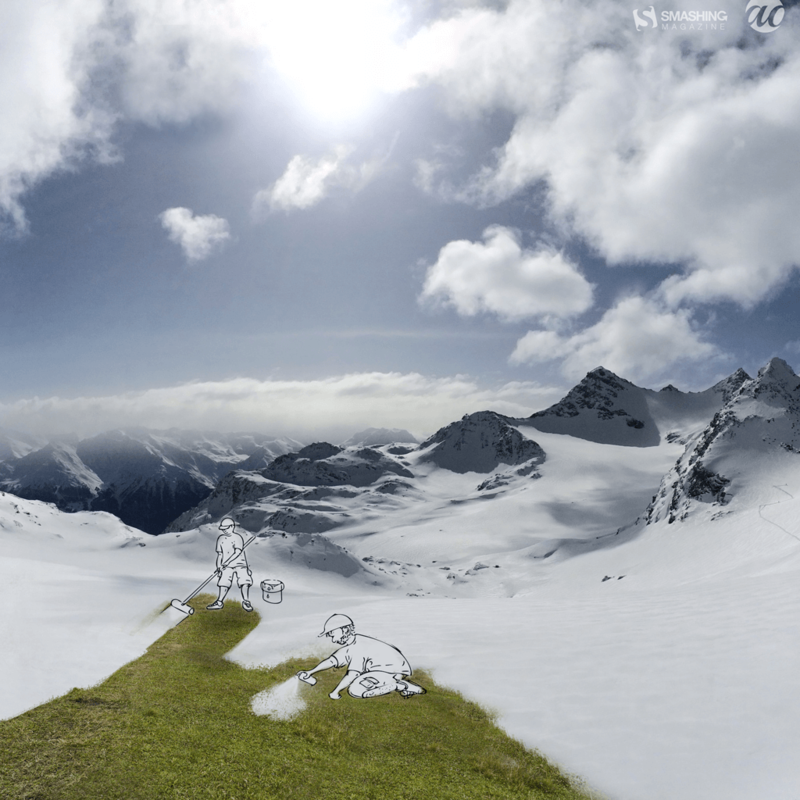 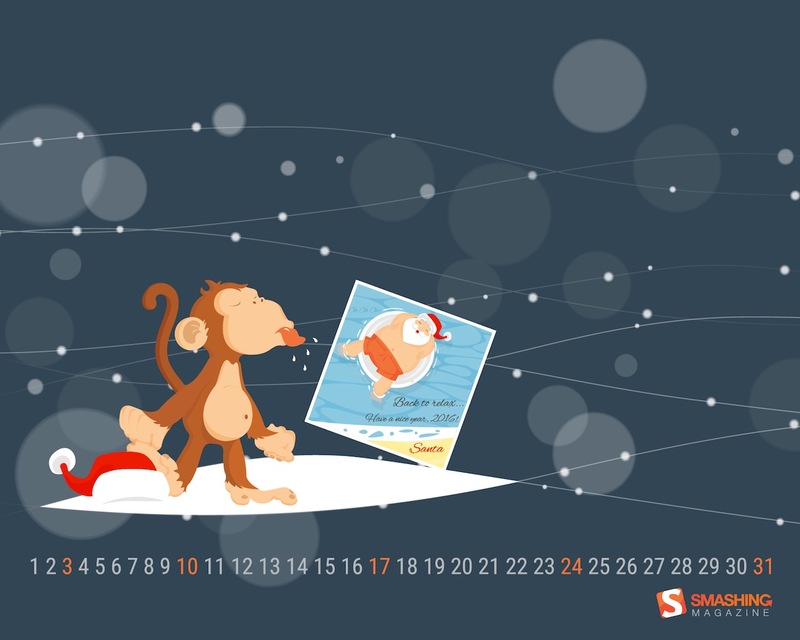 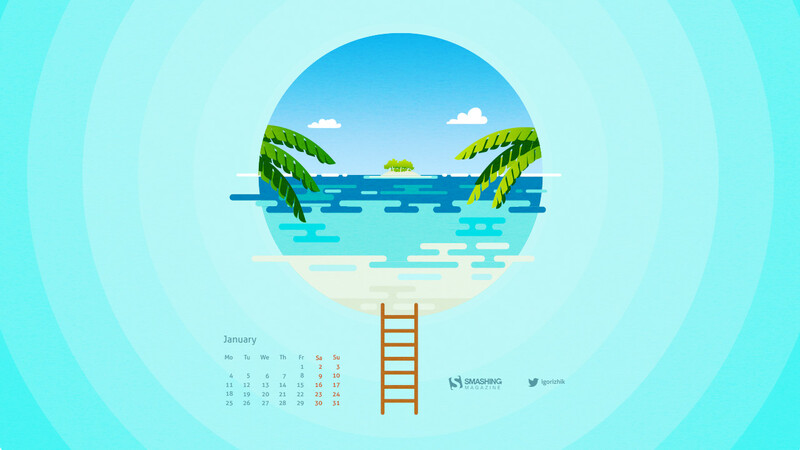 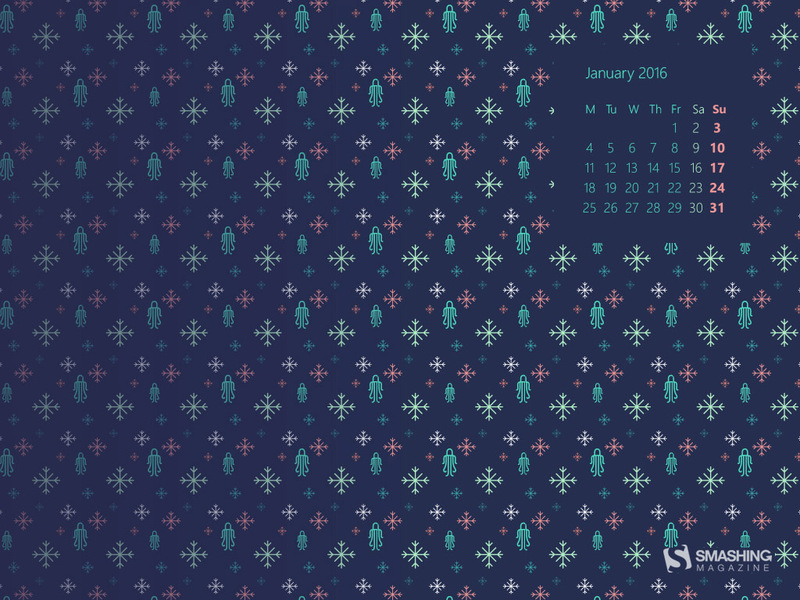 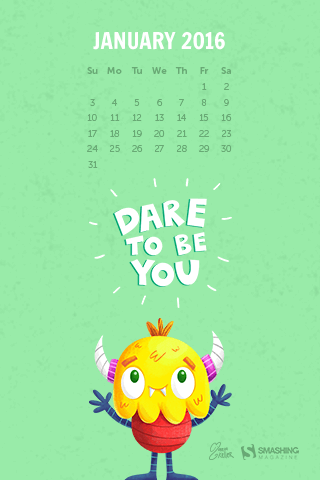 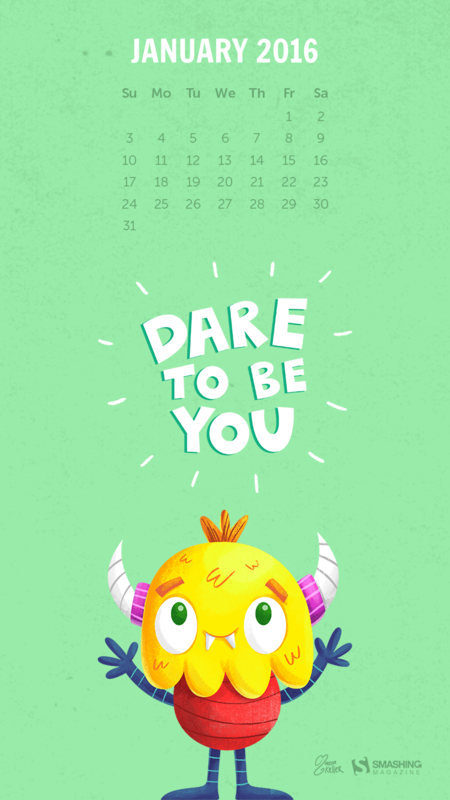 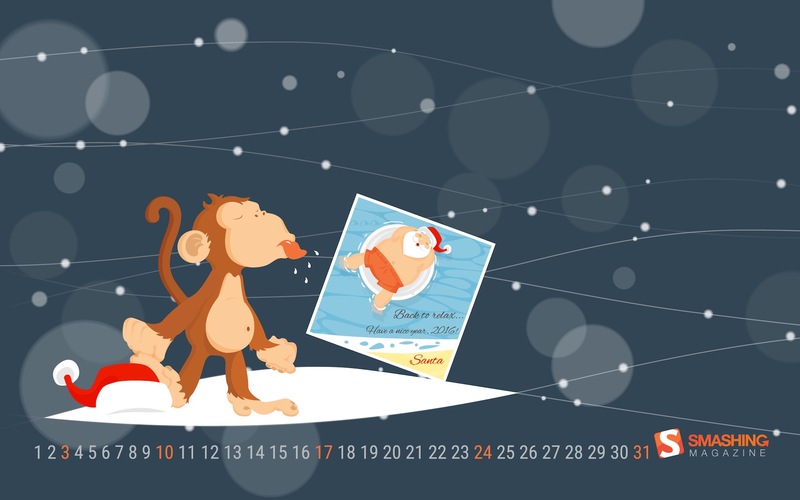 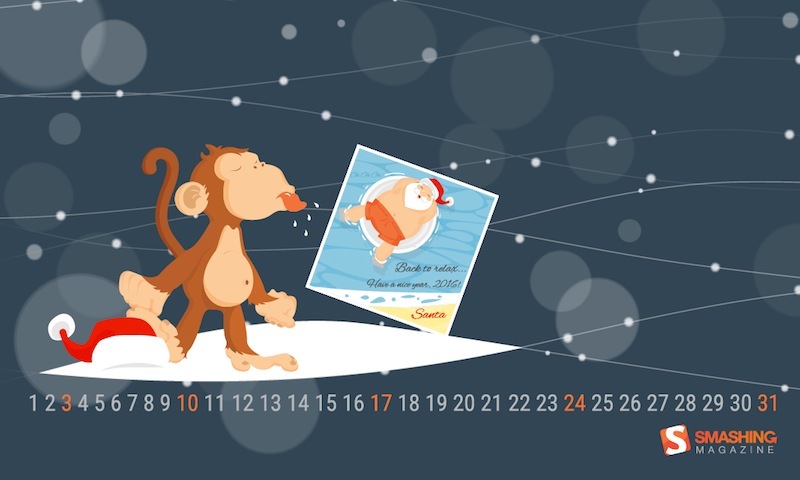 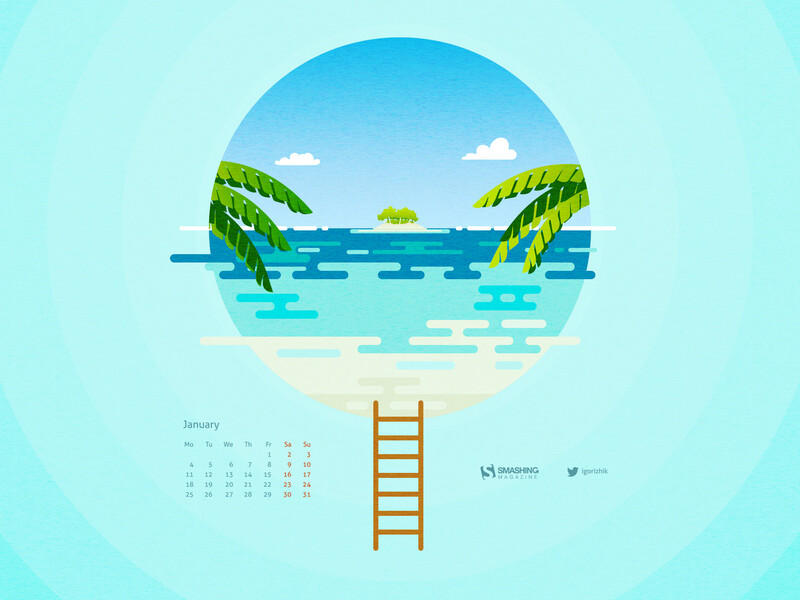 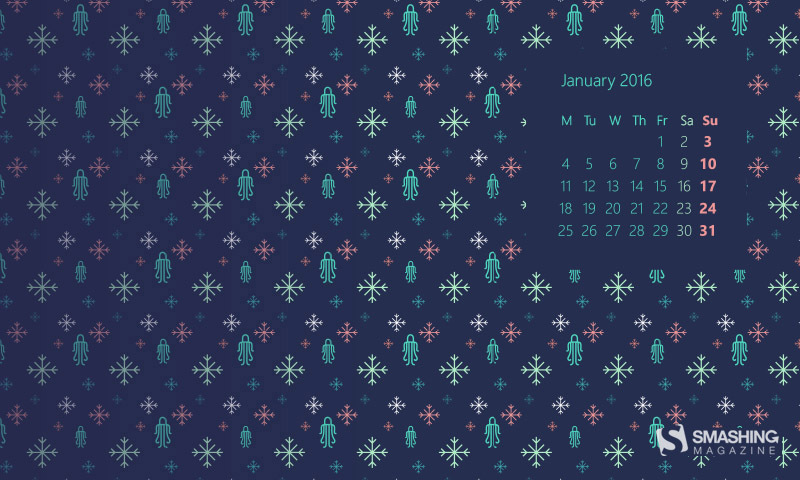 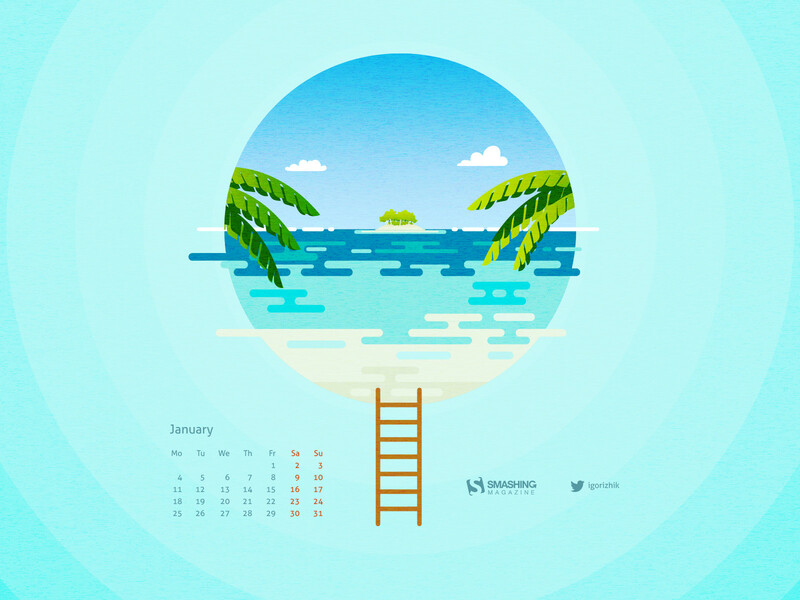 Each wallpaper is available with and without a calendar and can be downloaded for free. 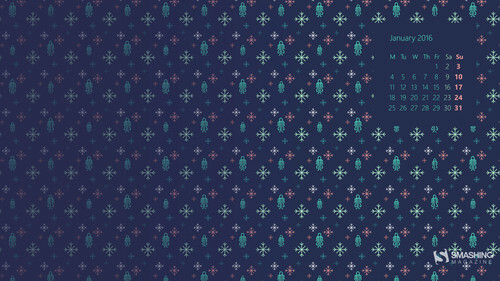 Thanks to everyone who contributed their designs! And a happy 2016 to all! 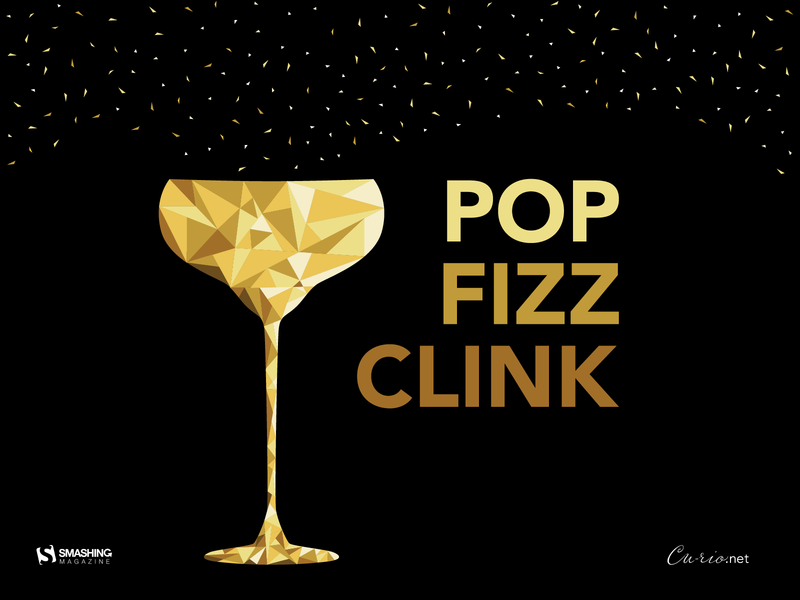 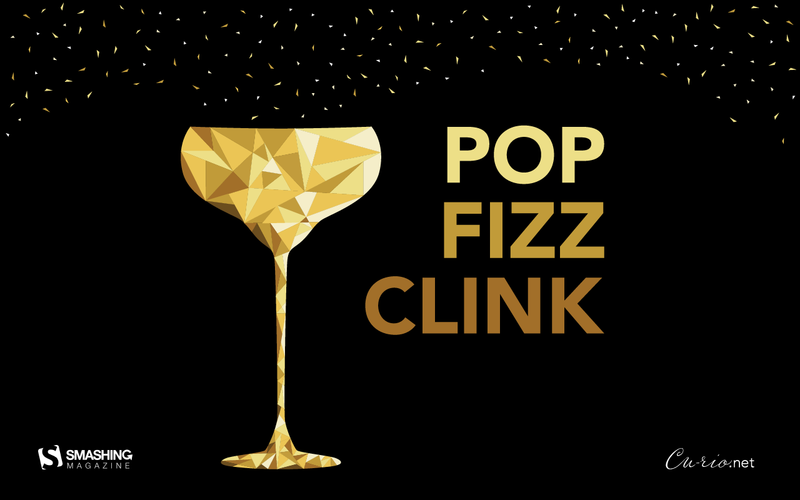 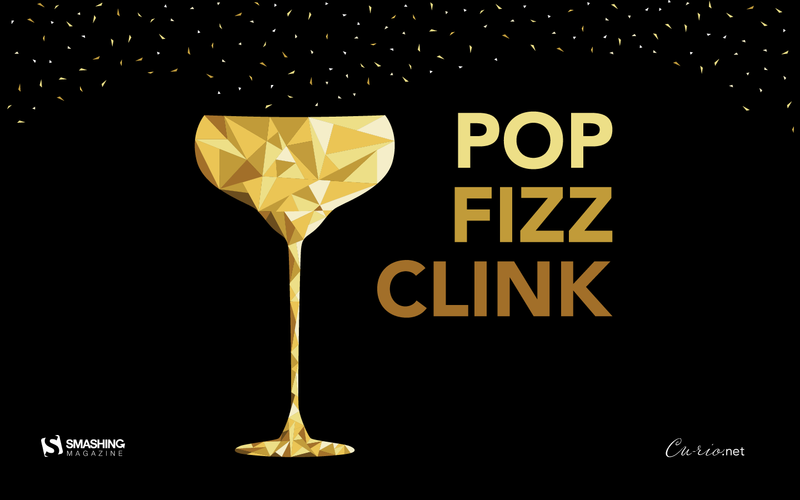 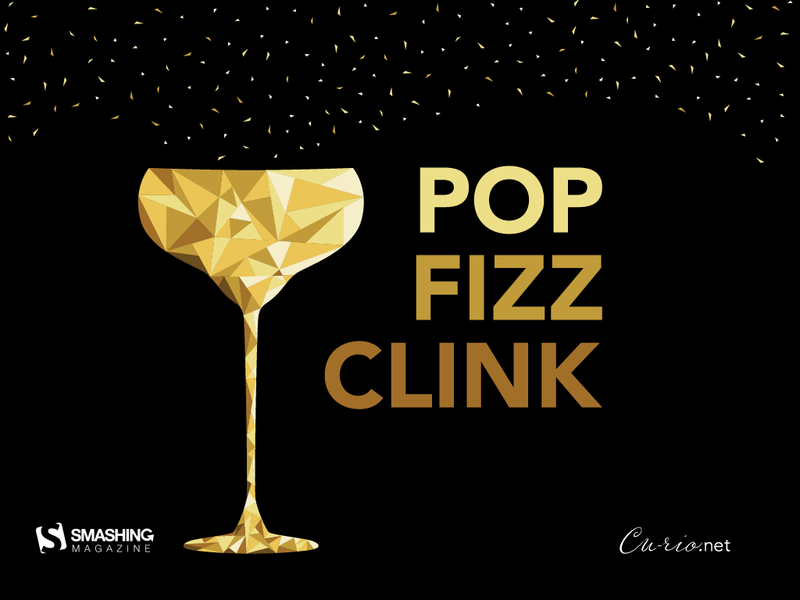 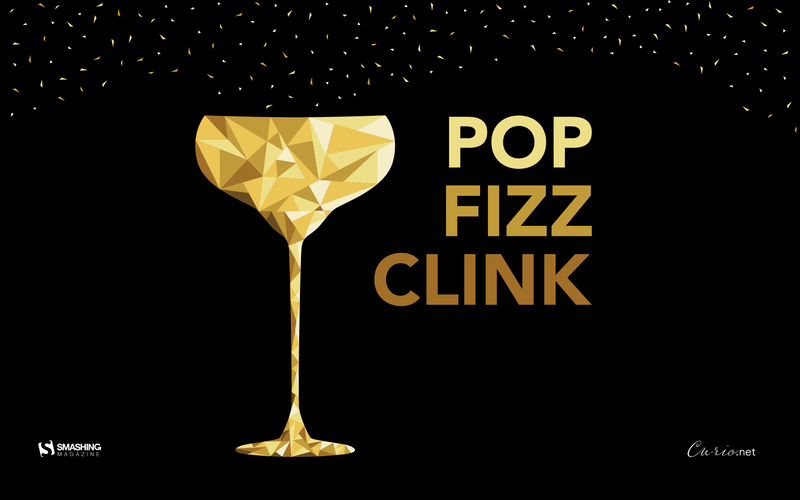 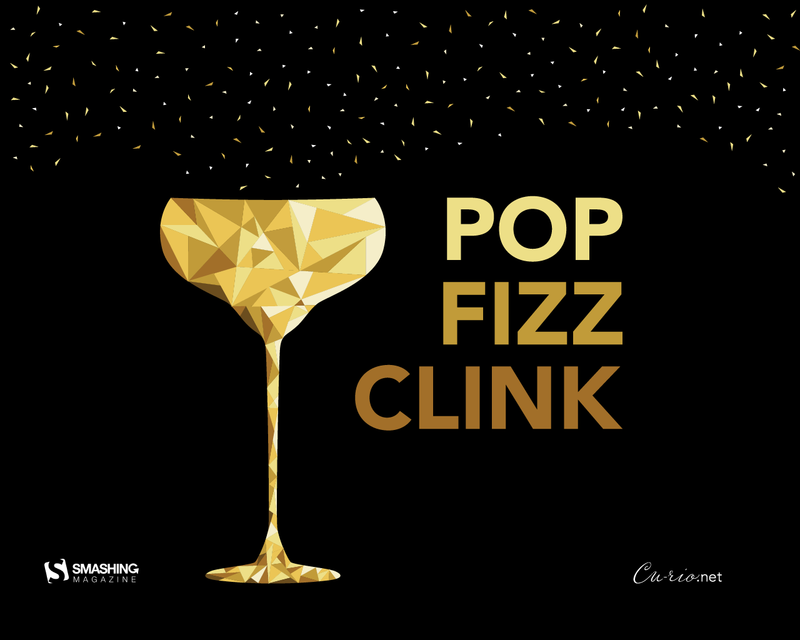 “I wanted to try my hand at creating a low poly illustration and thought a champagne glass would be fun.” — Designed by Denise Johnson from Chicago. 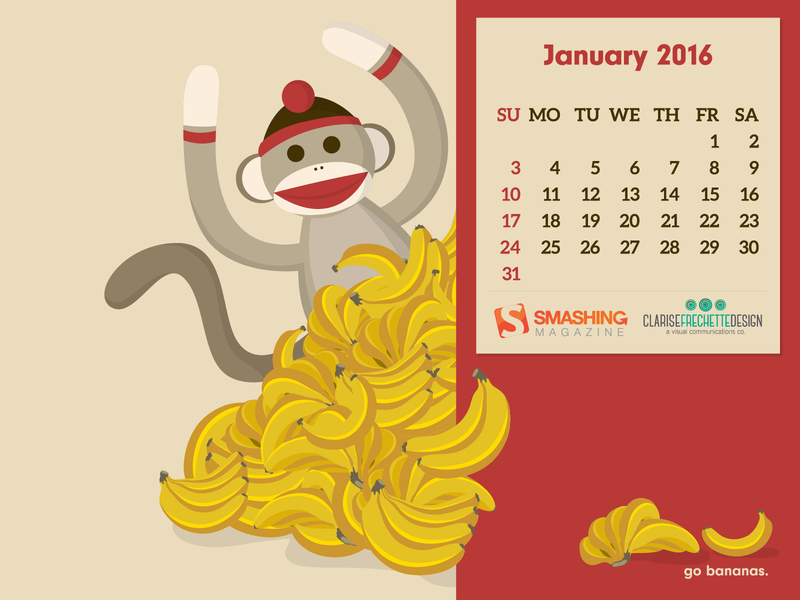 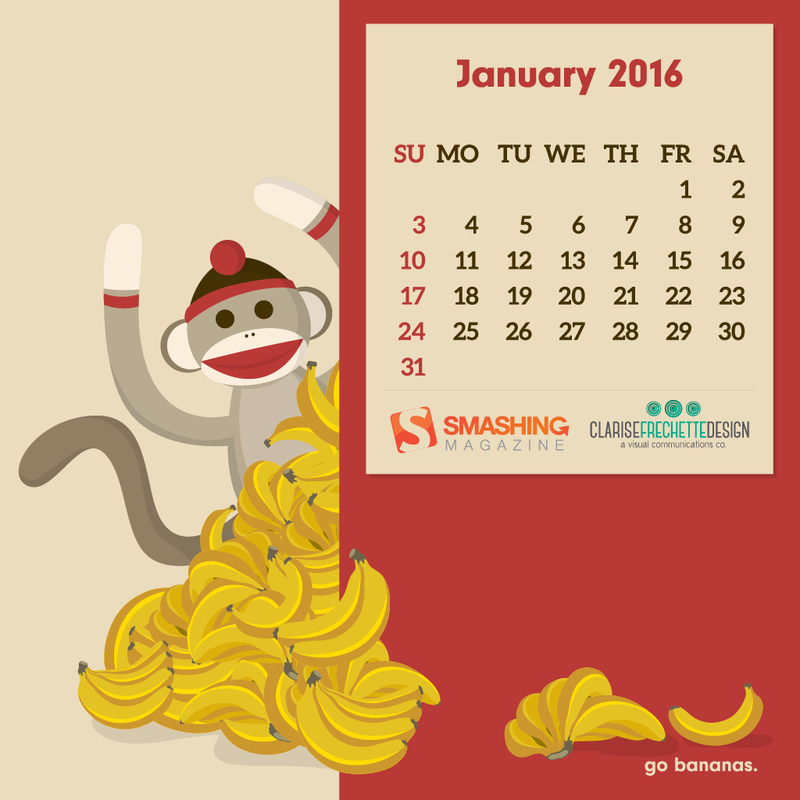 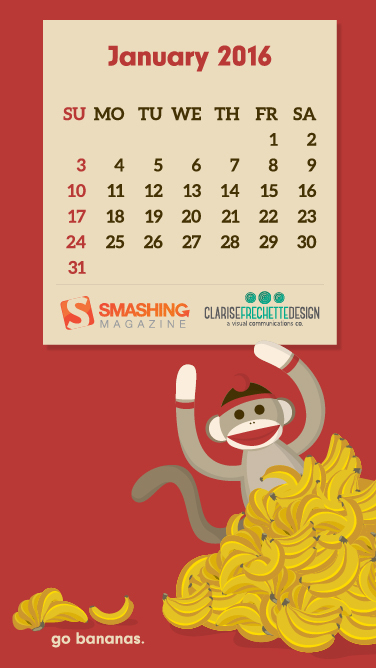 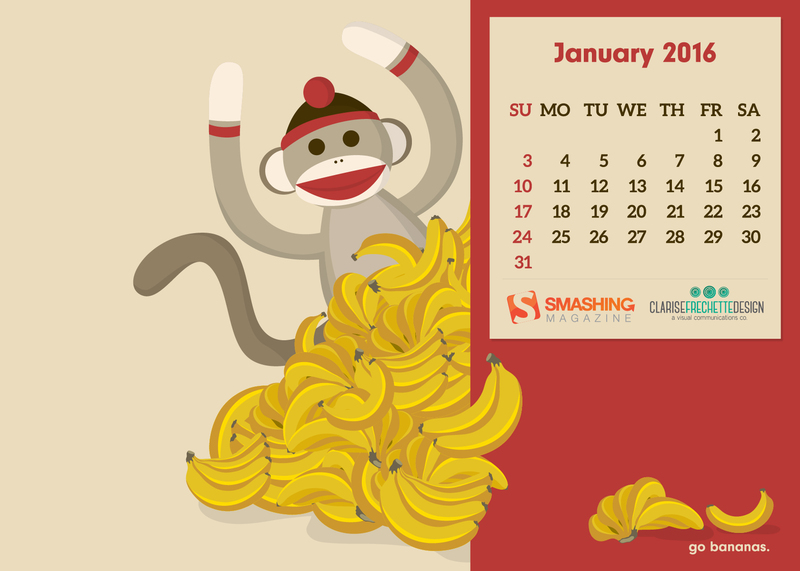 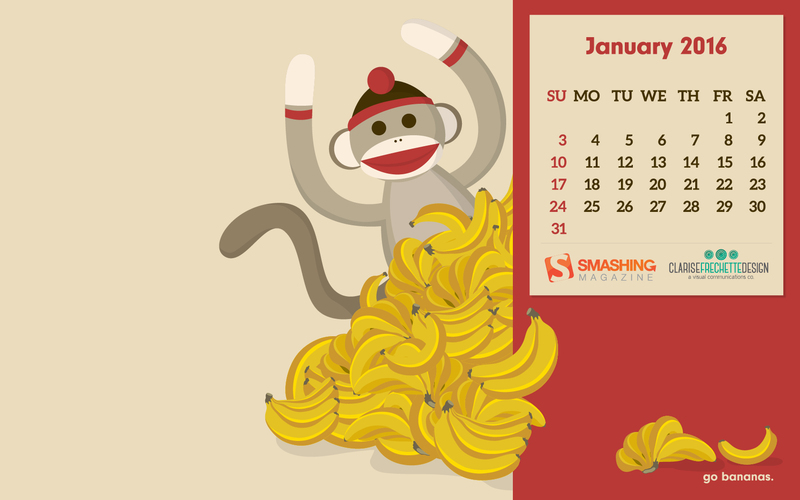 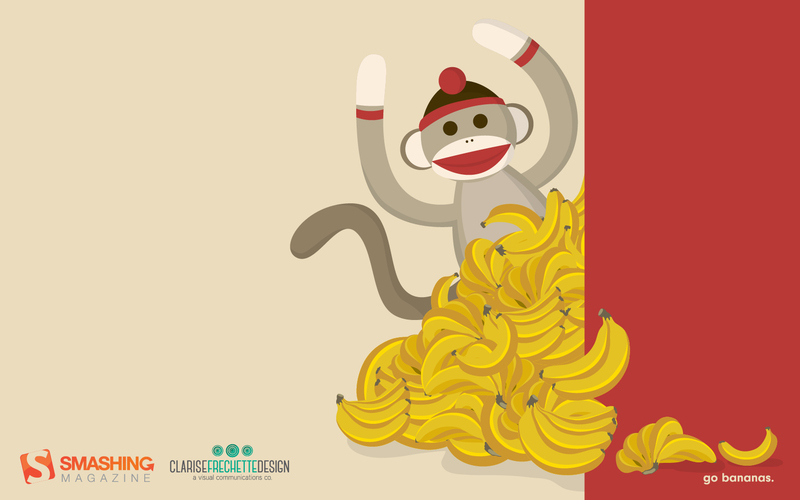 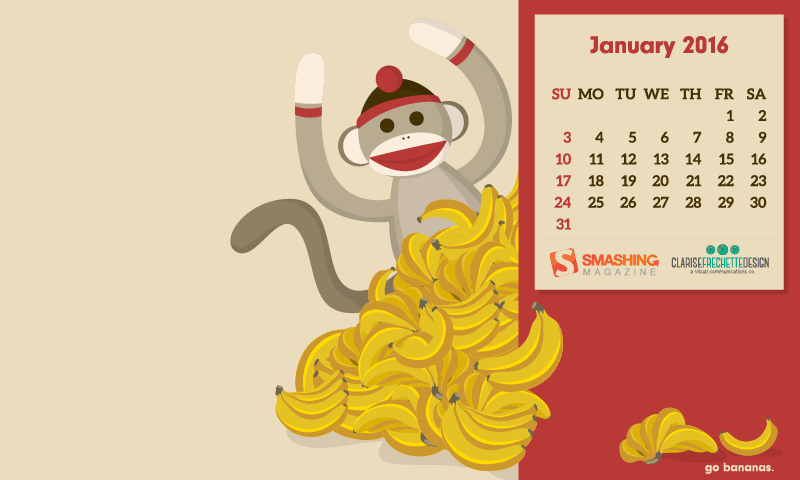 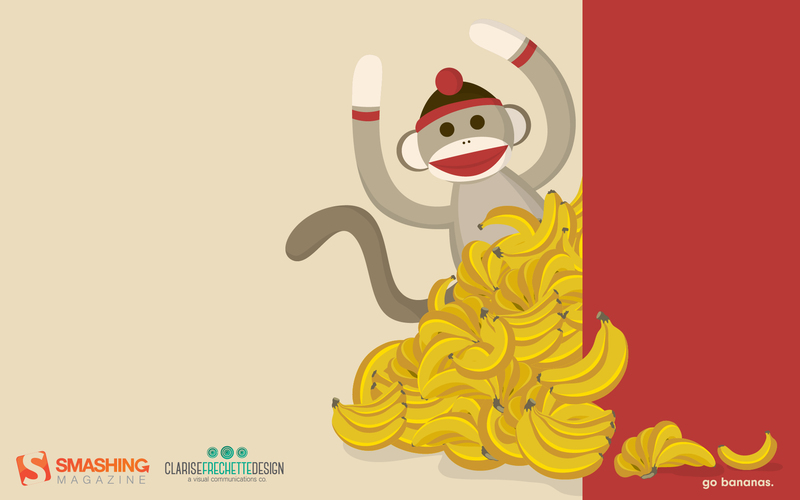 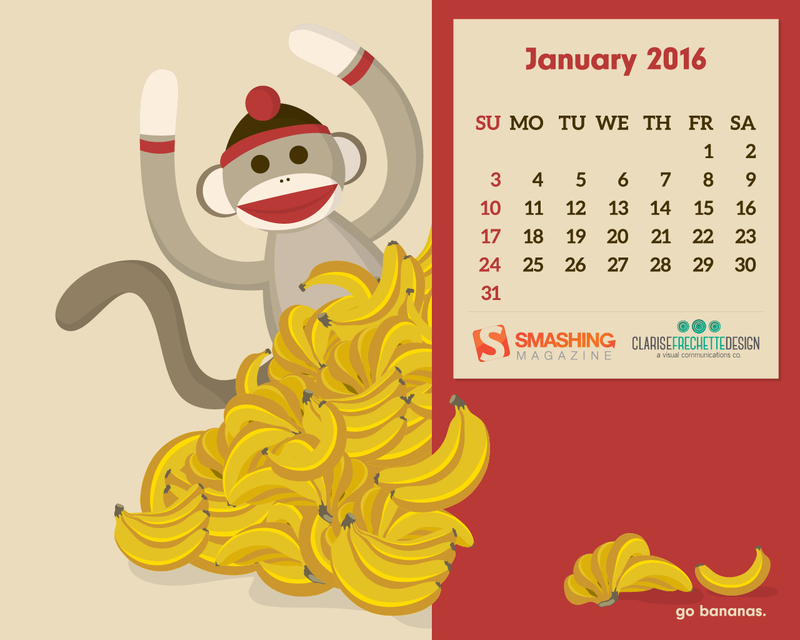 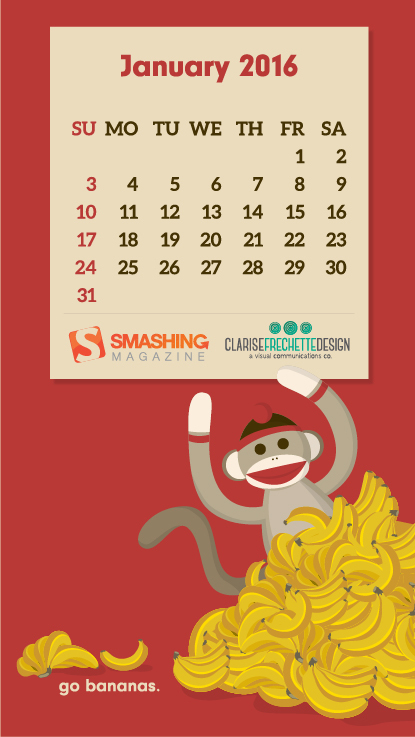 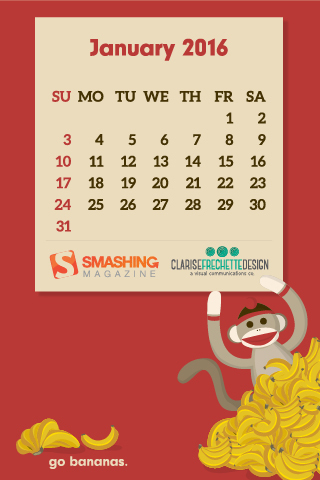 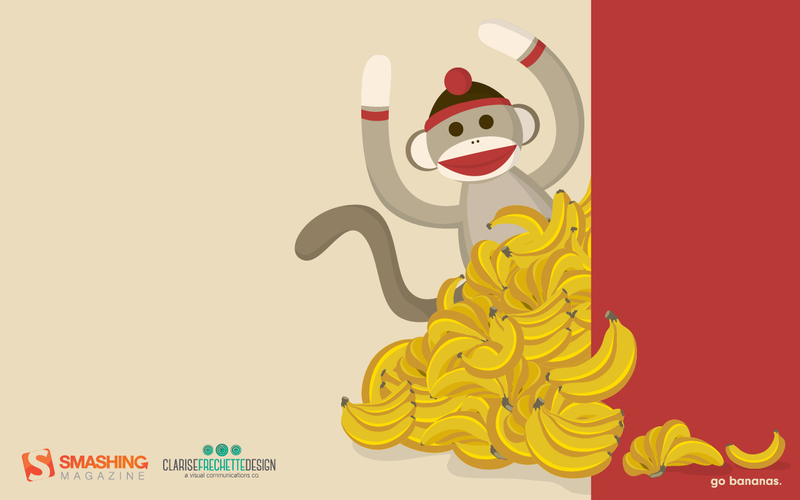 “It’s the year of the monkey, and I wanted to kick start the year with some simple, good ol’ fashioned fun. 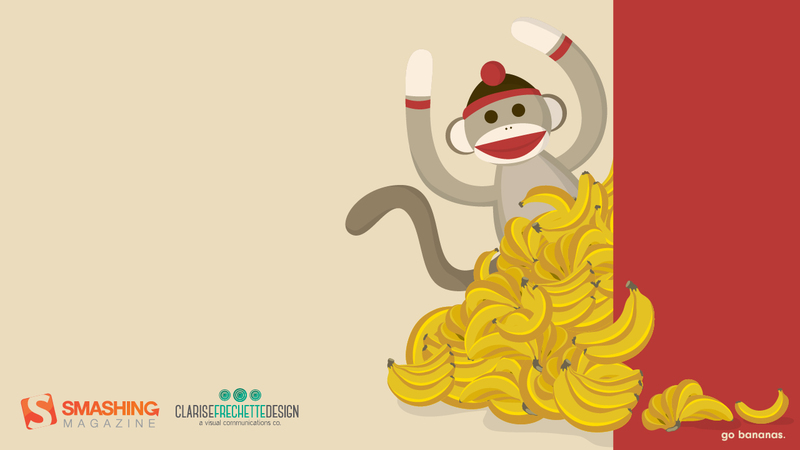 Sock monkeys, with their iconic grin, always make me laugh. 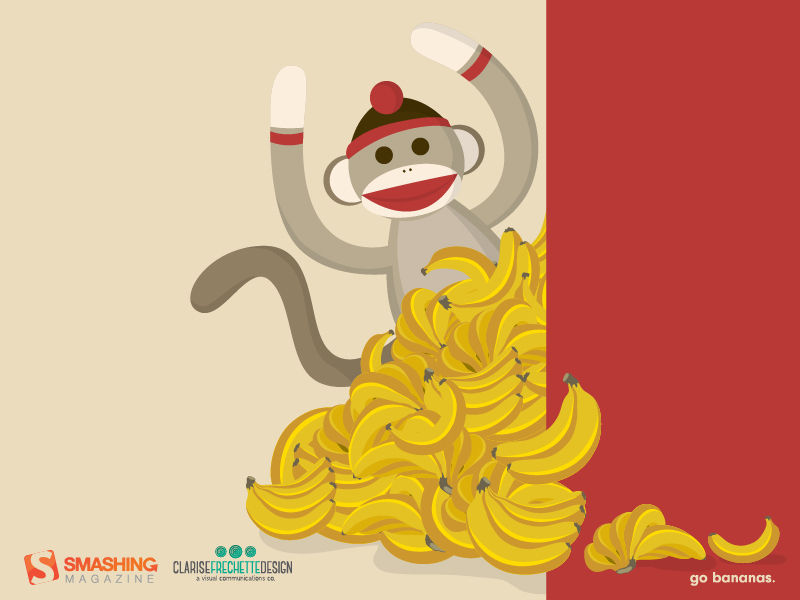 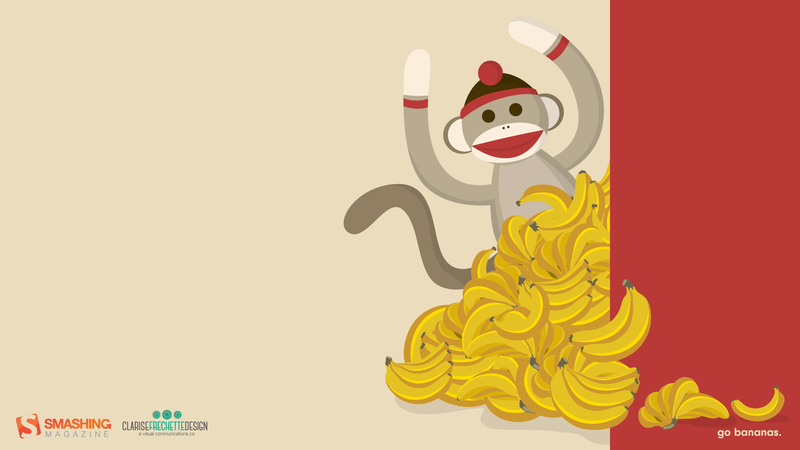 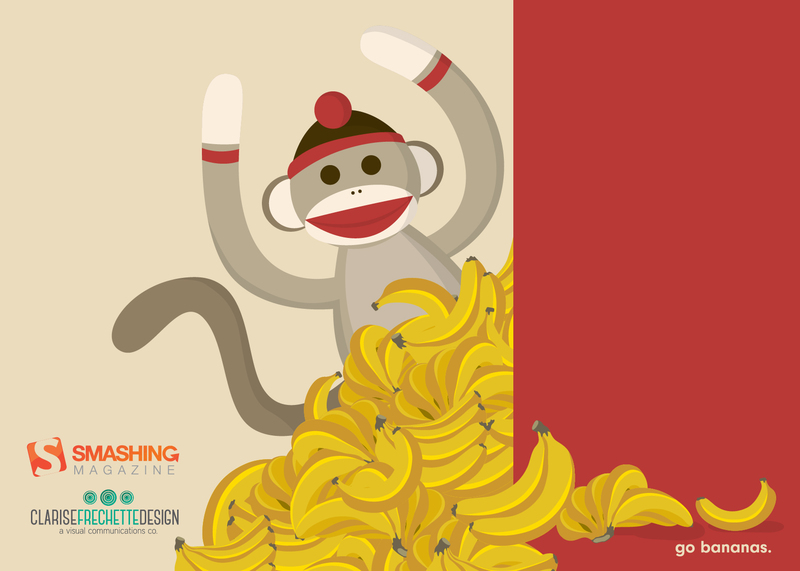 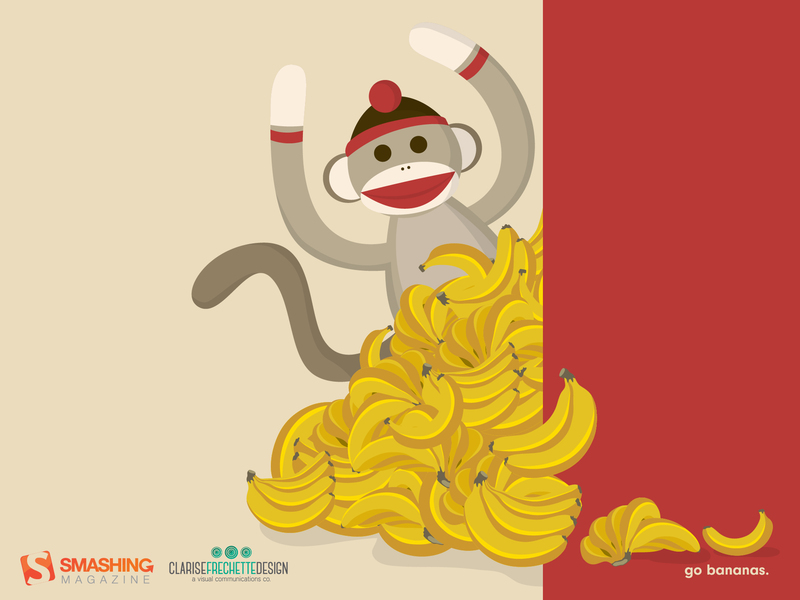 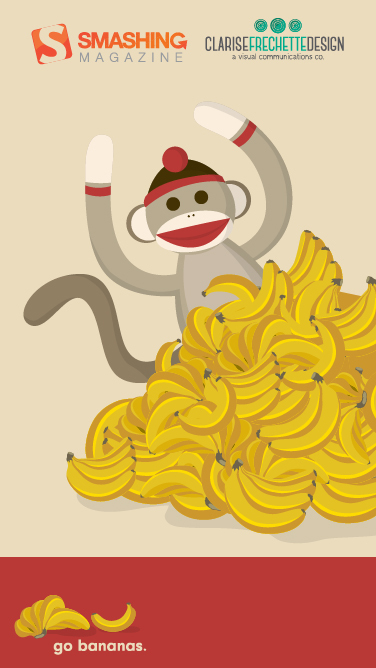 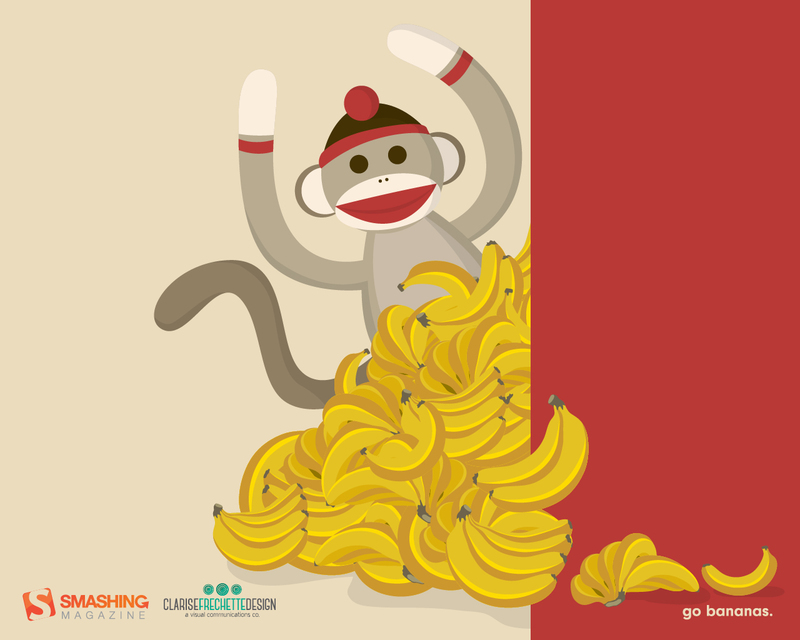 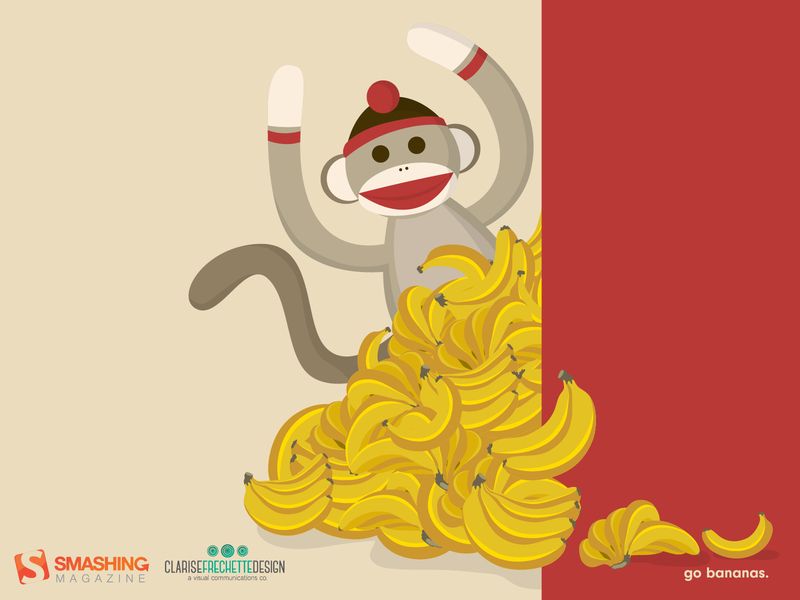 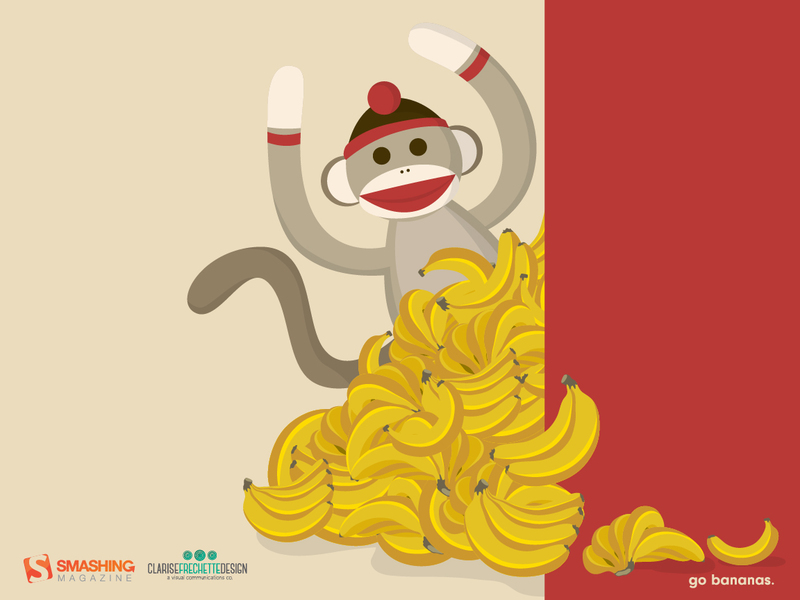 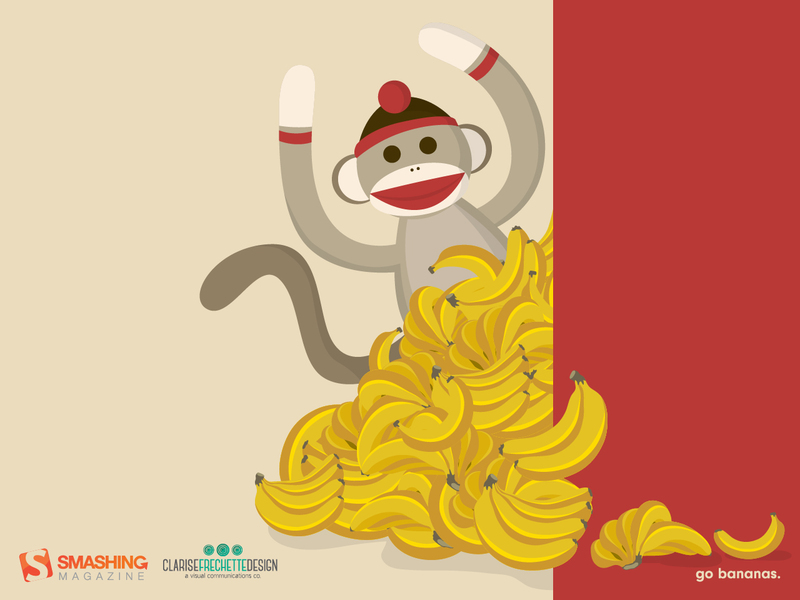 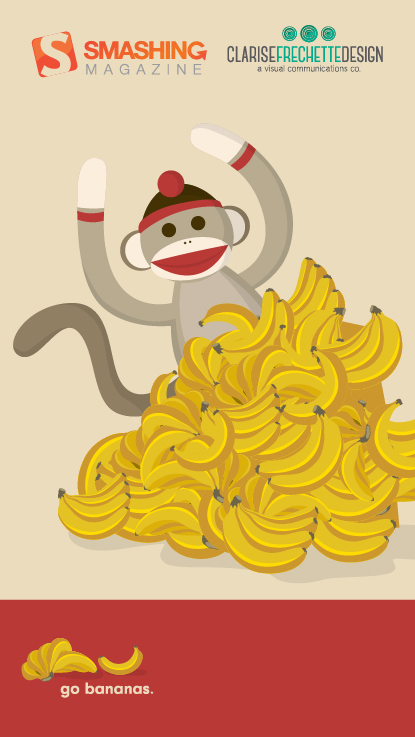 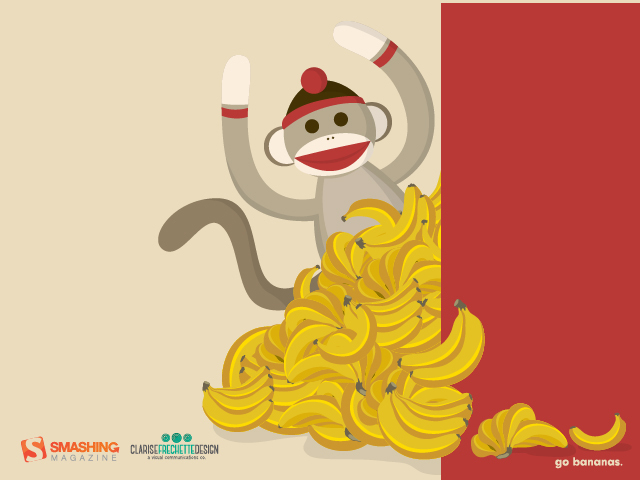 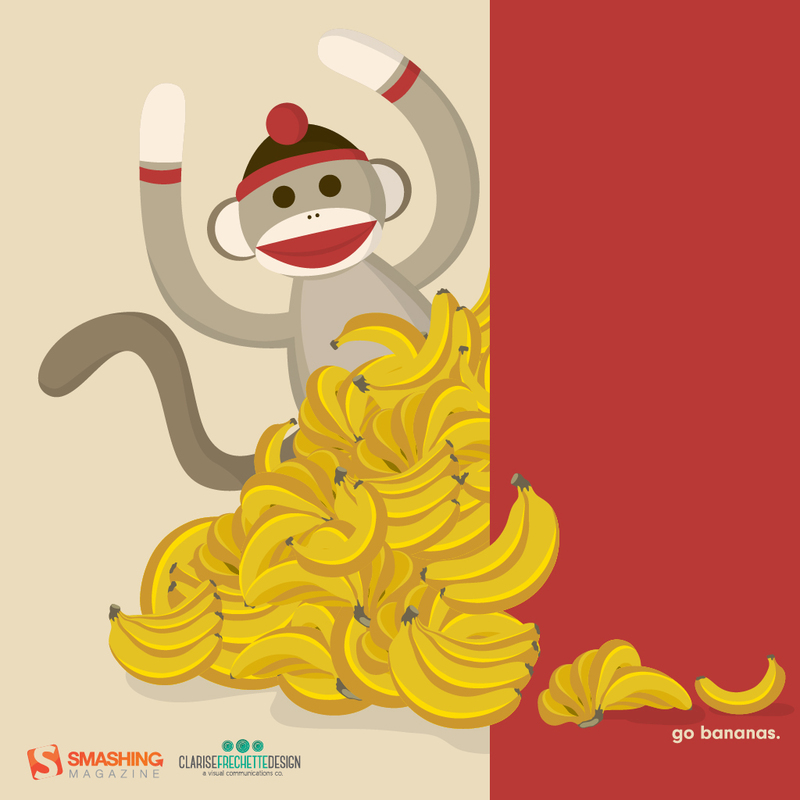 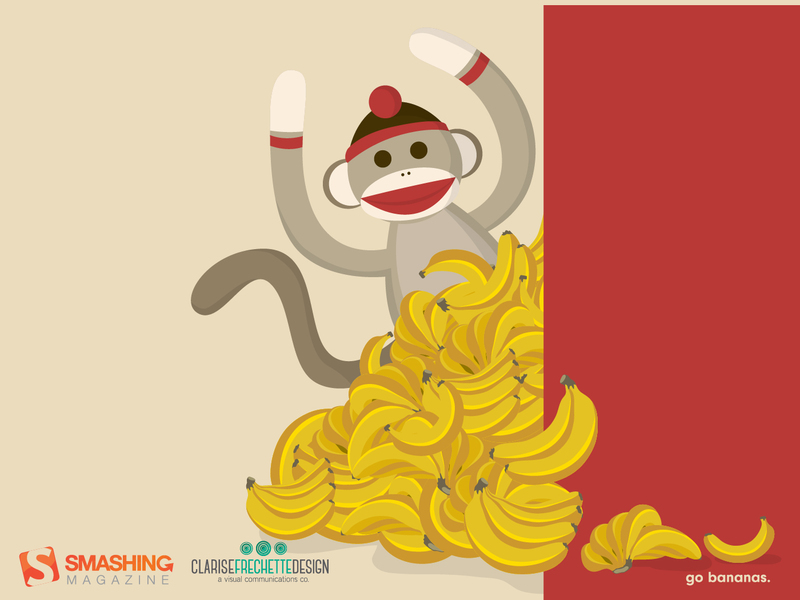 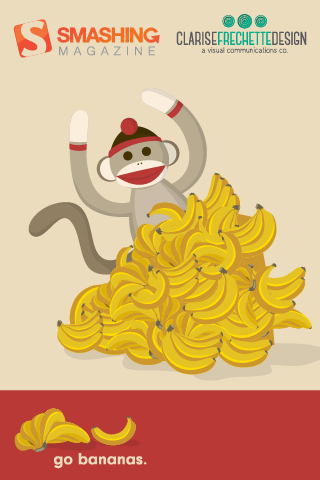 Go bananas!” — Designed by Clarise Frechette from Washington, DC, United States. 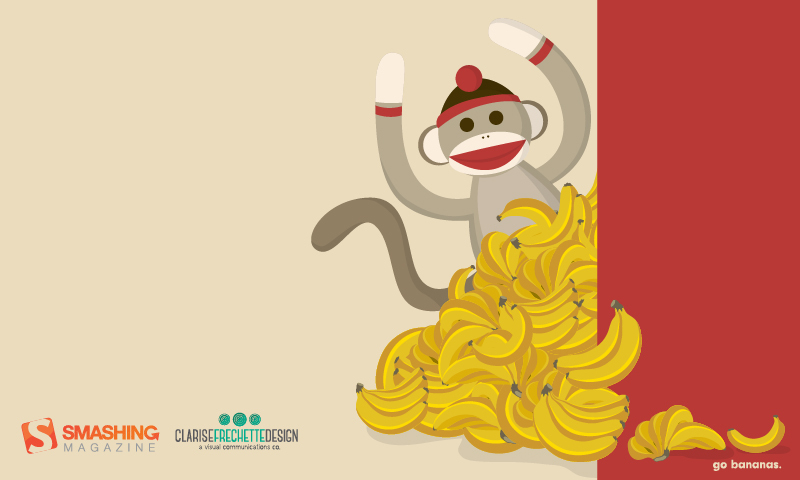 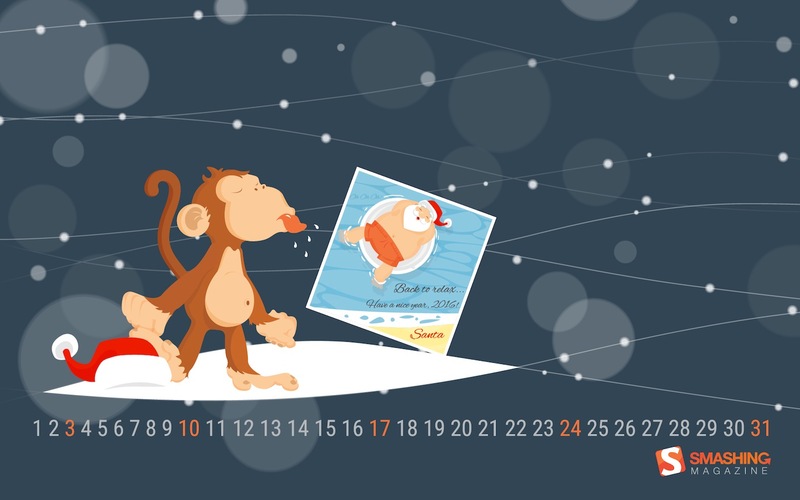 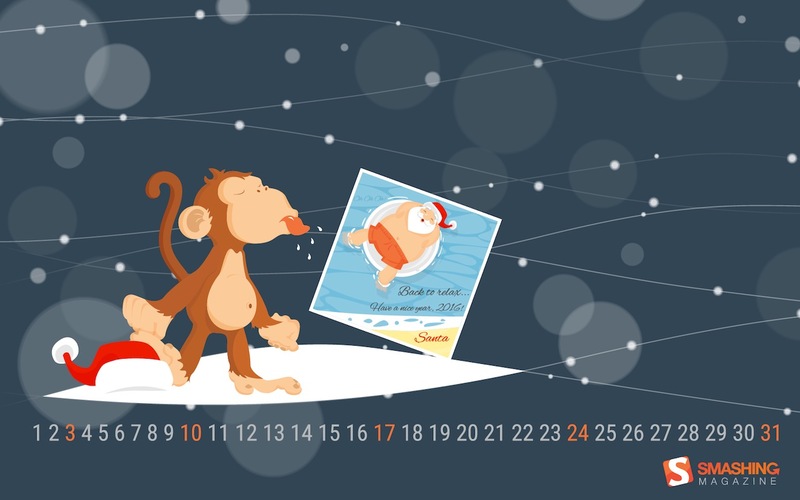 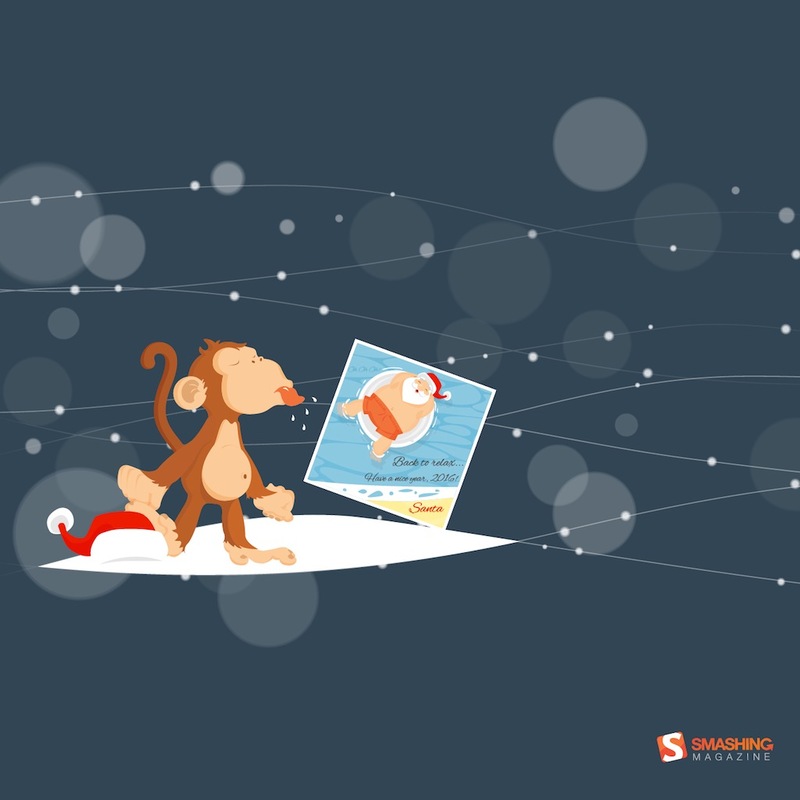 “Santa Claus is going to relax (till next Christmas) and everybody is returning to work, even the monkey for the Chinese calendar.” — Designed by Dan Di from Italy. 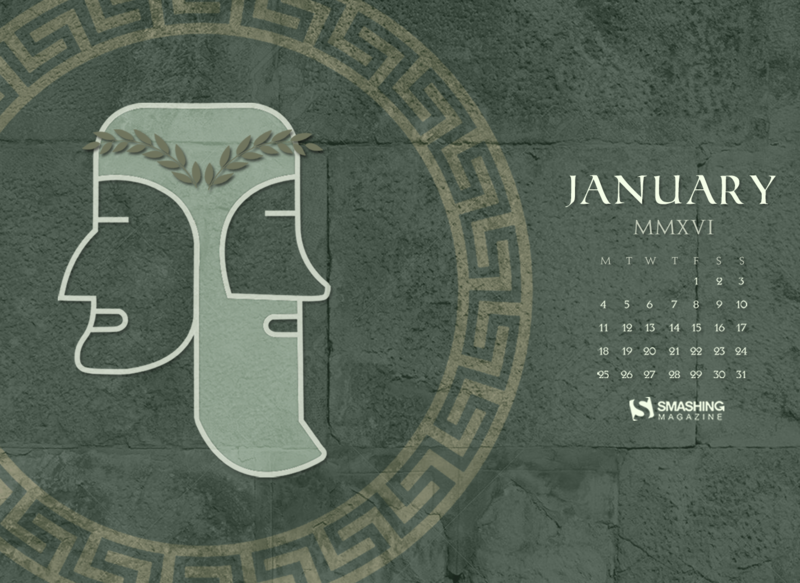 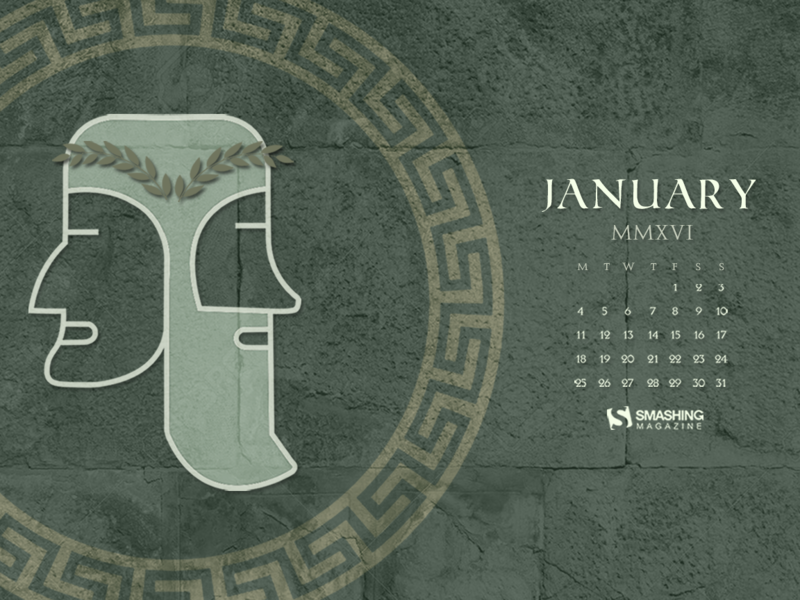 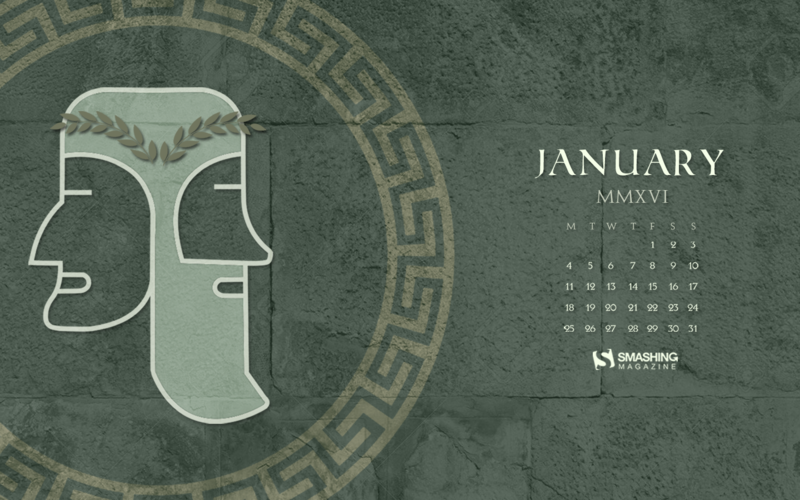 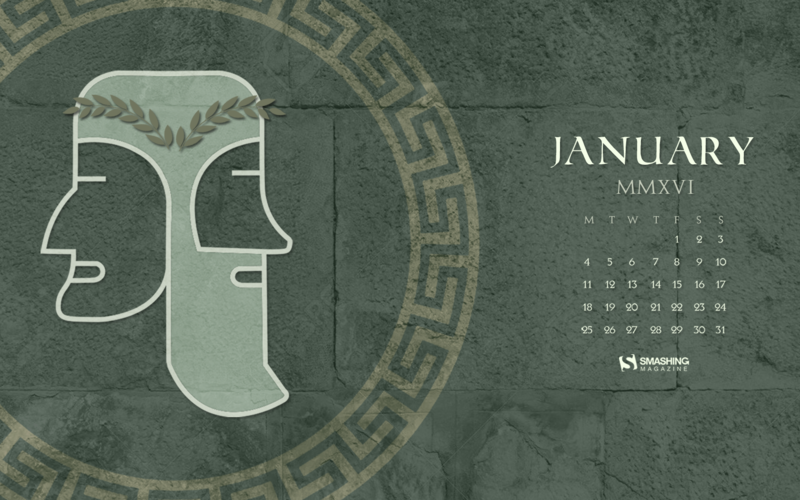 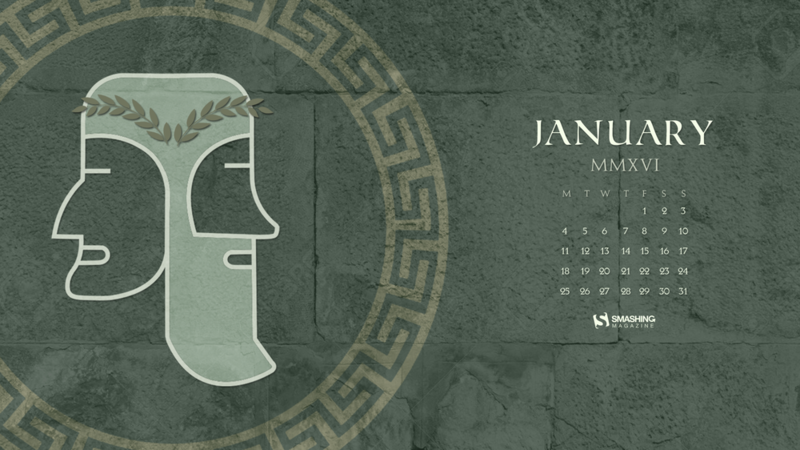 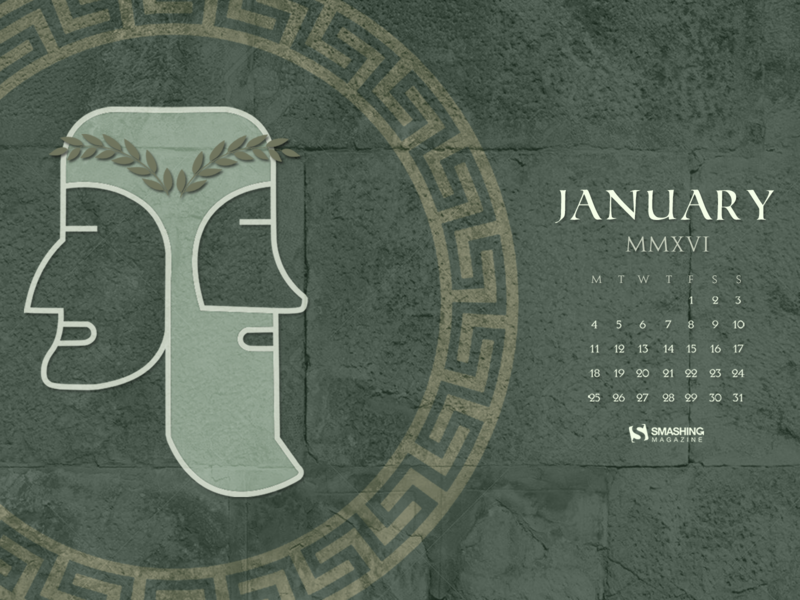 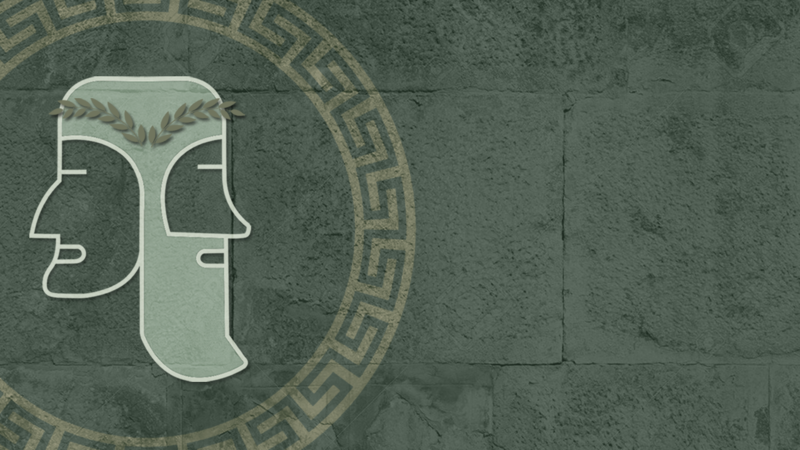 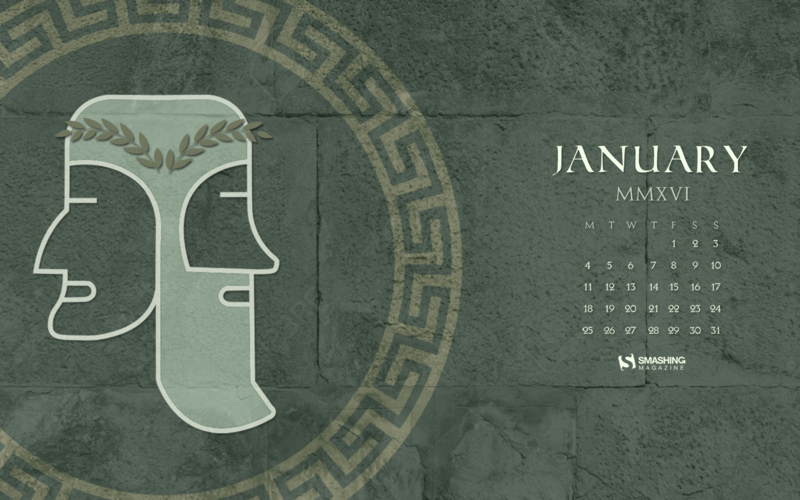 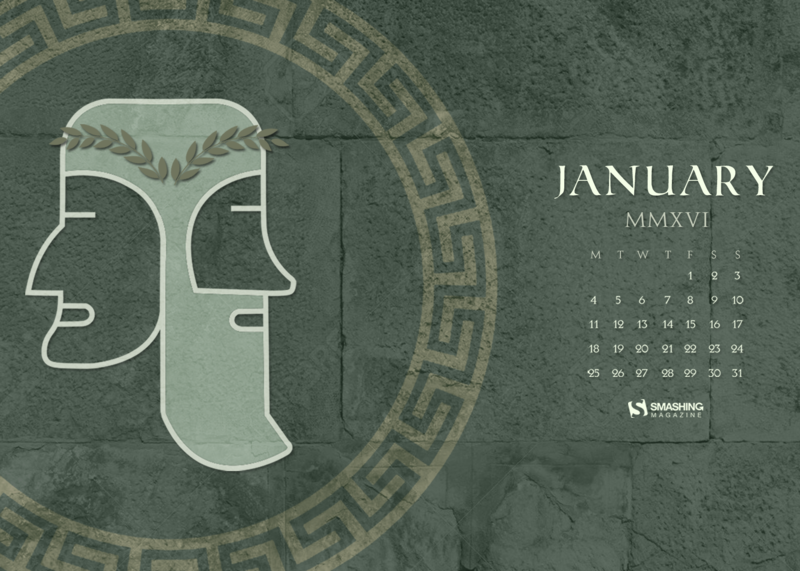 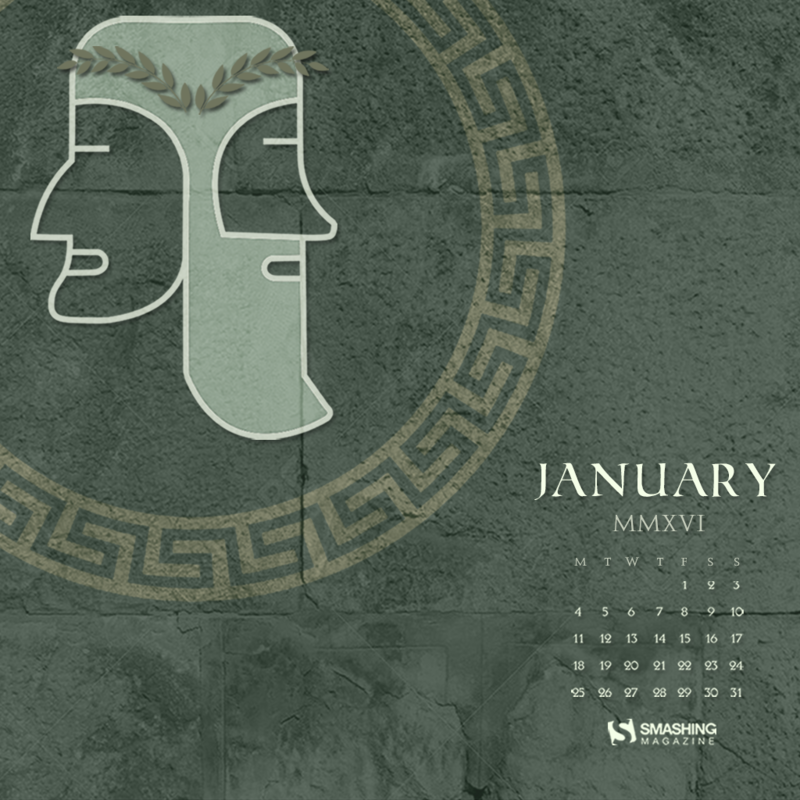 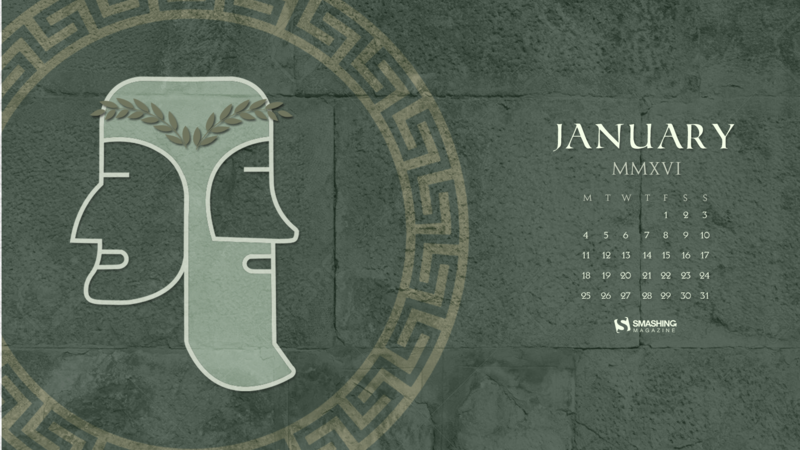 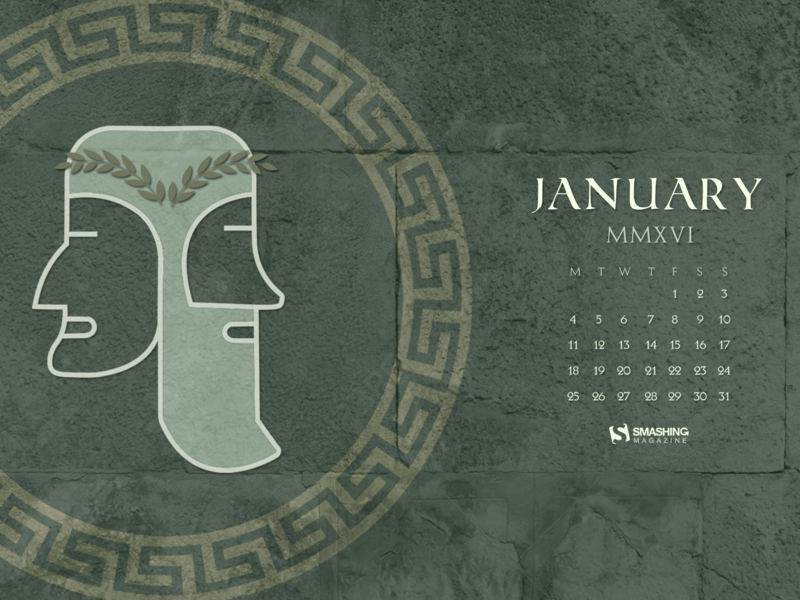 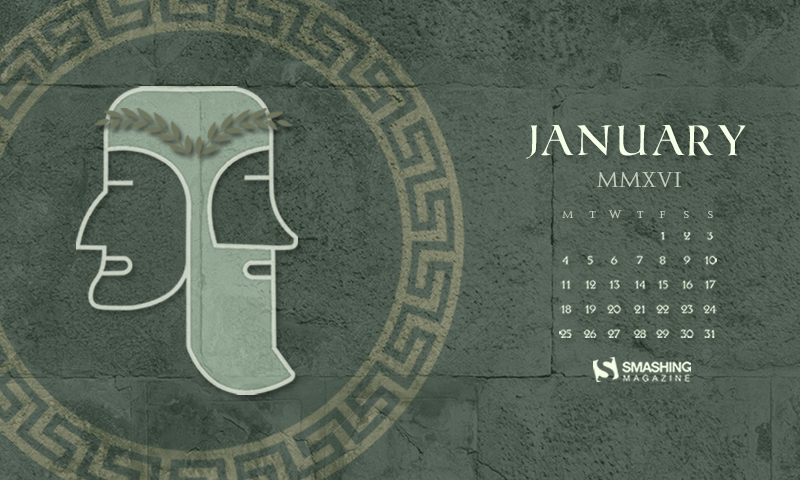 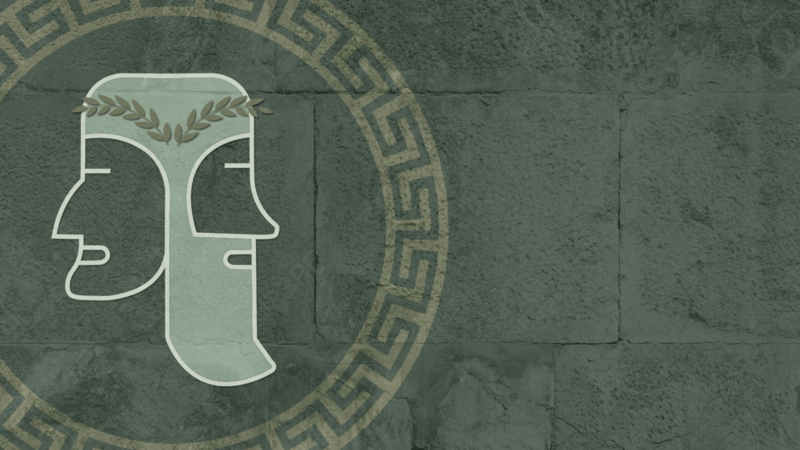 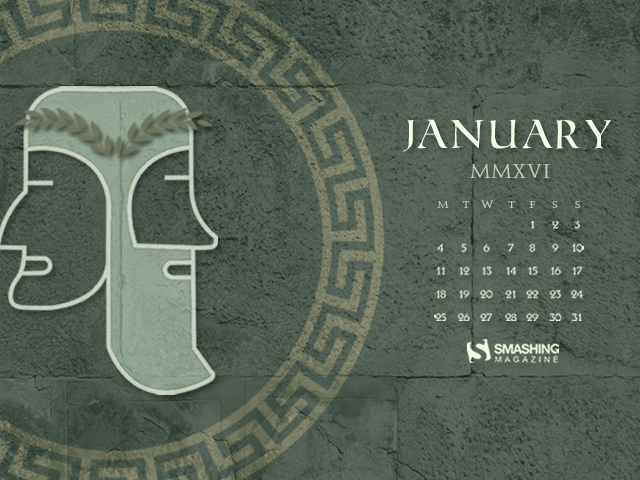 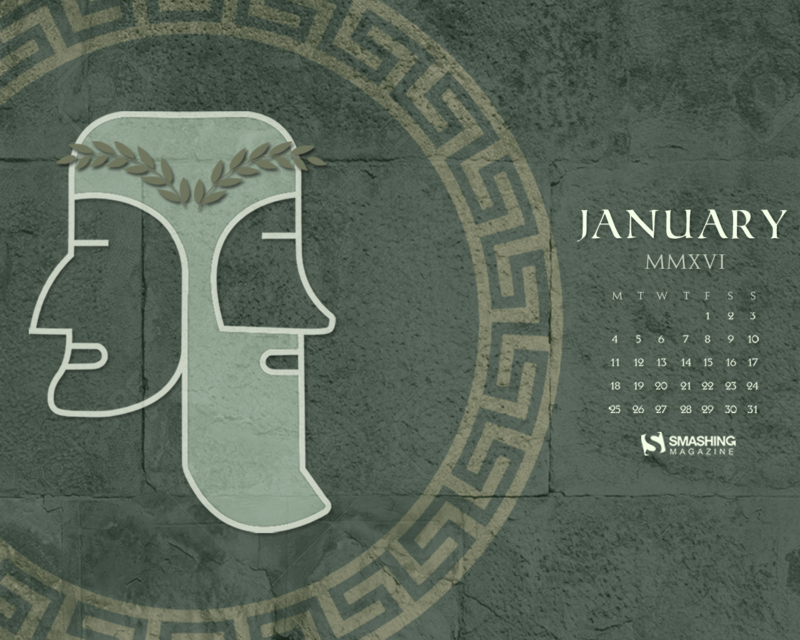 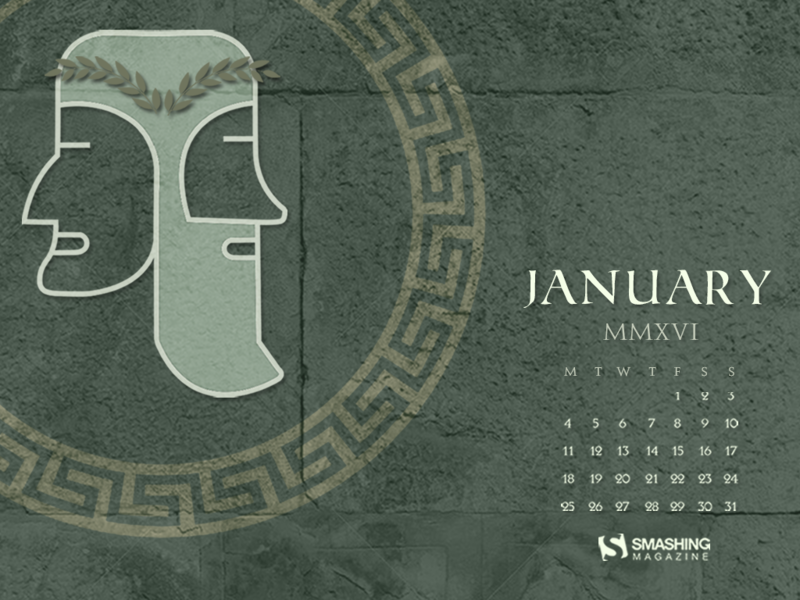 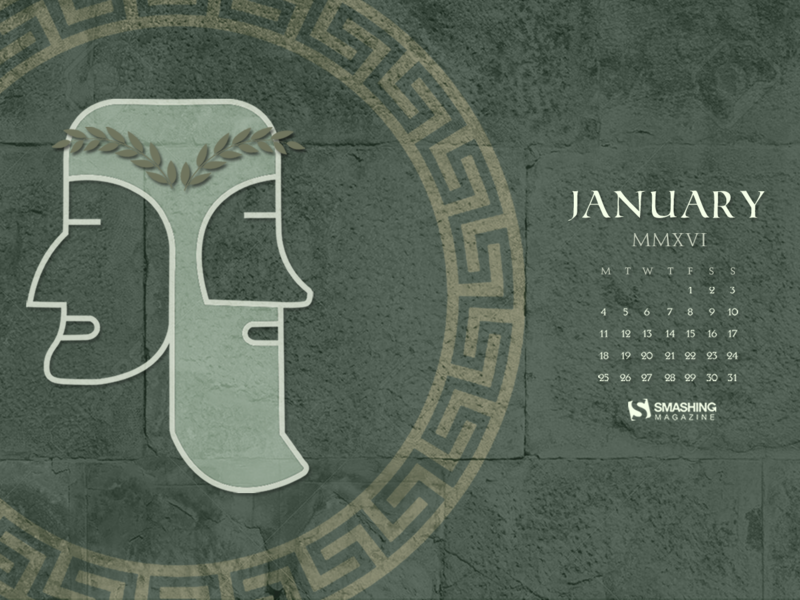 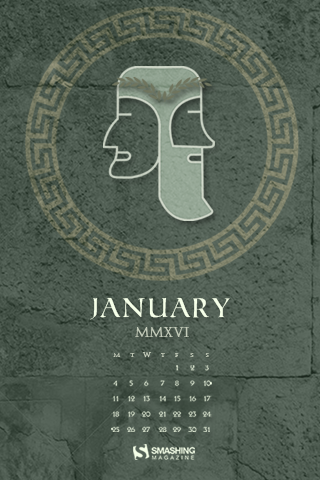 “The name of January is derived from the Roman god “Janus”. 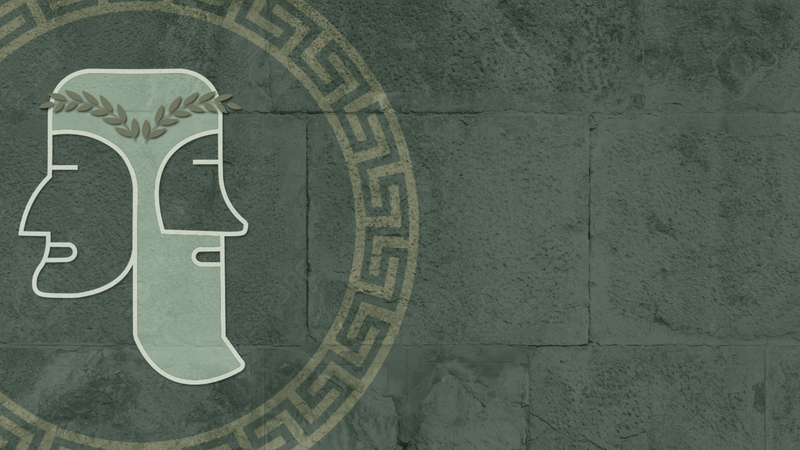 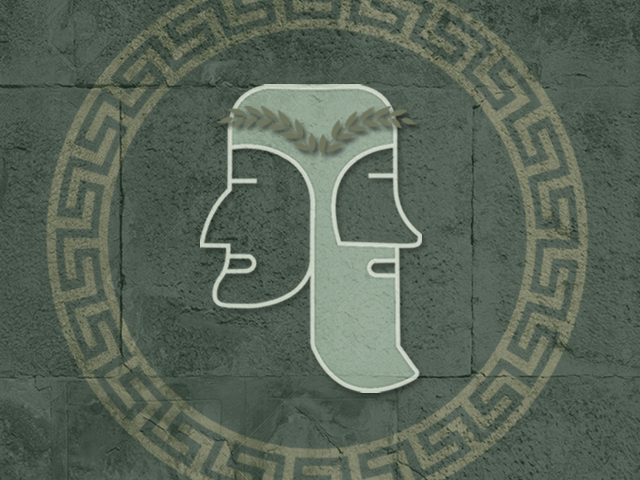 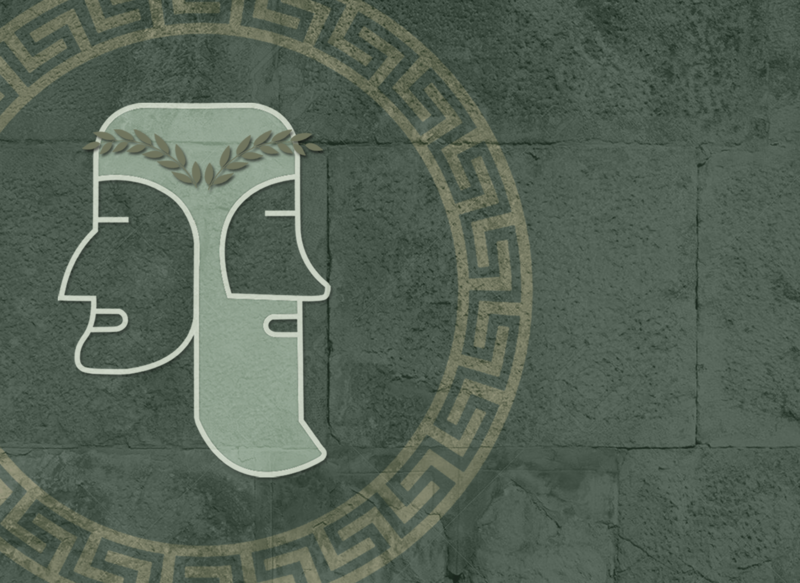 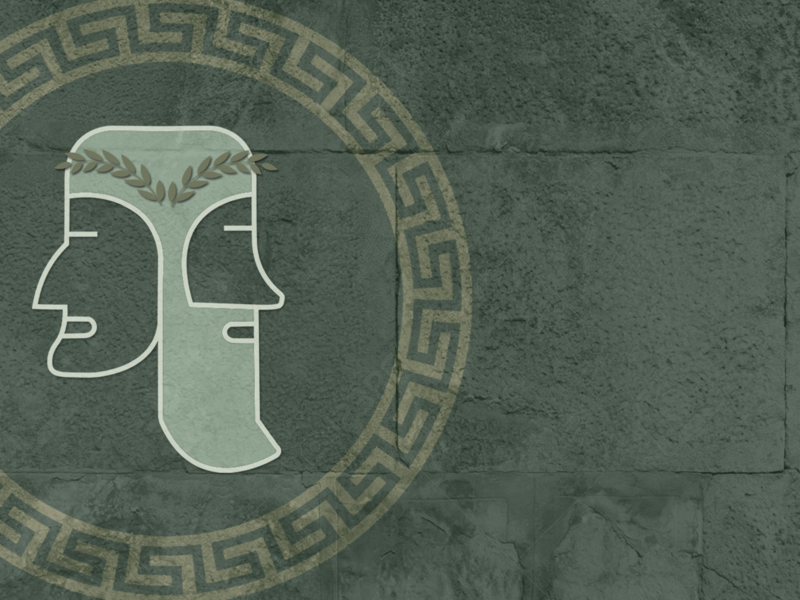 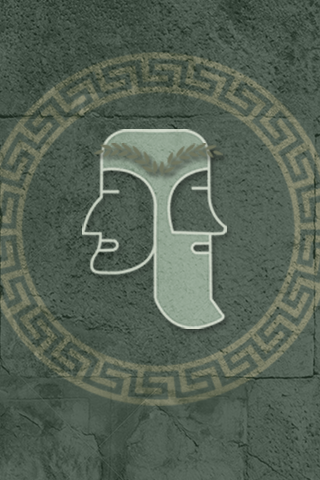 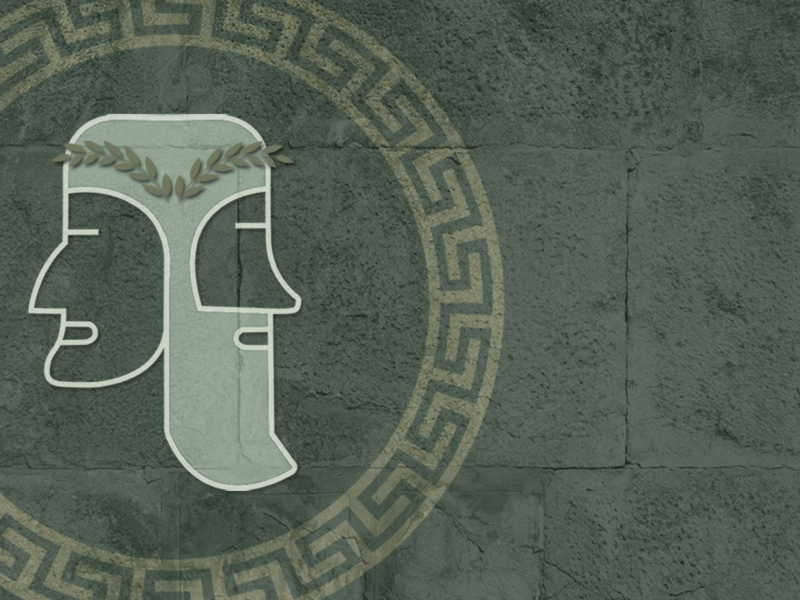 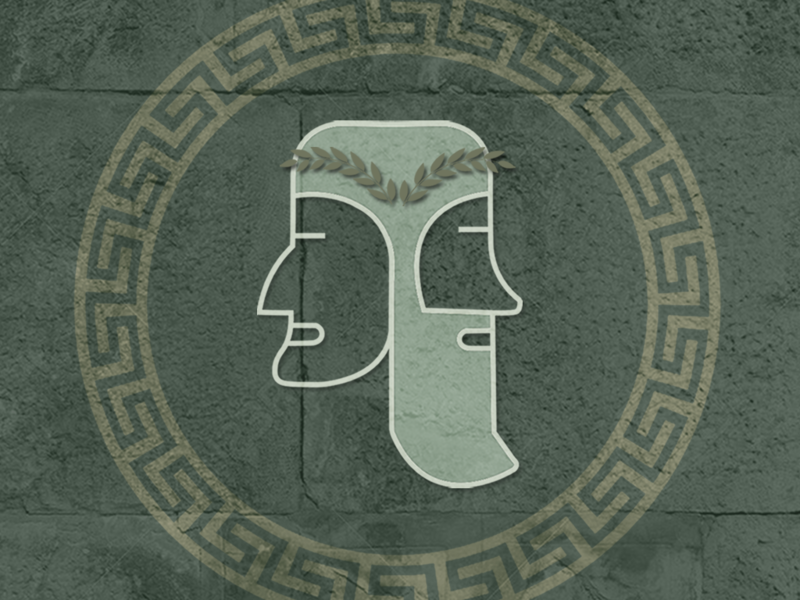 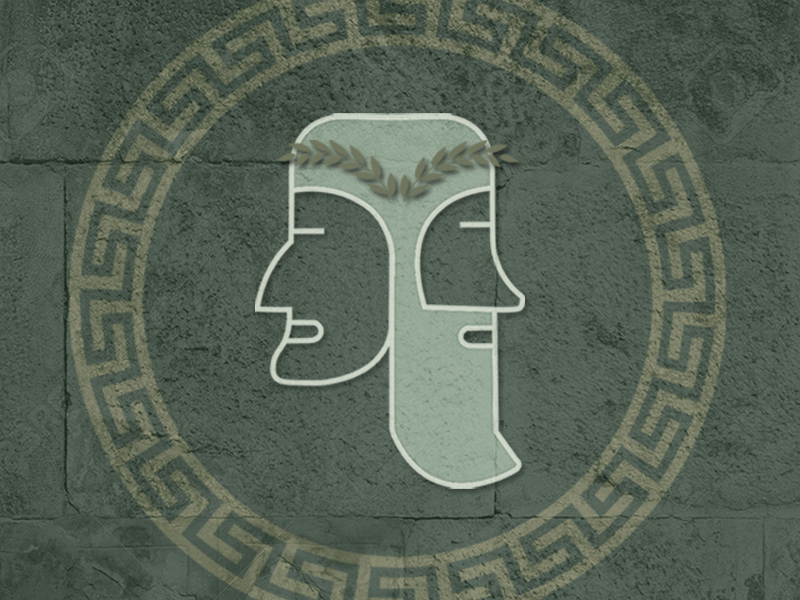 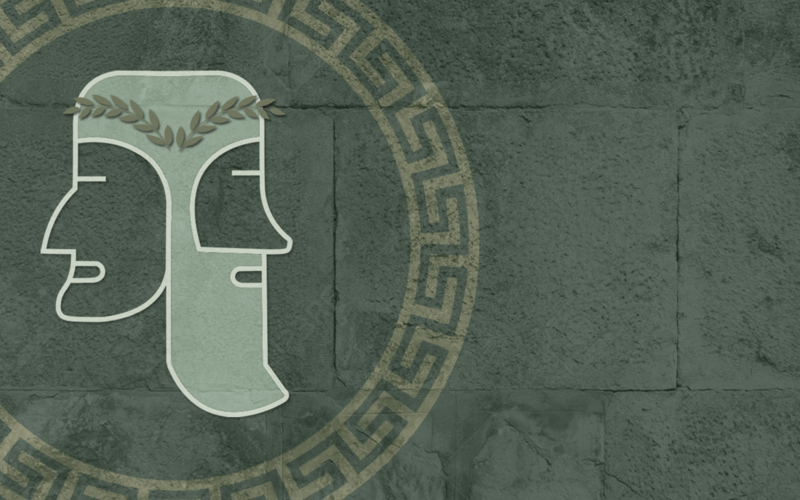 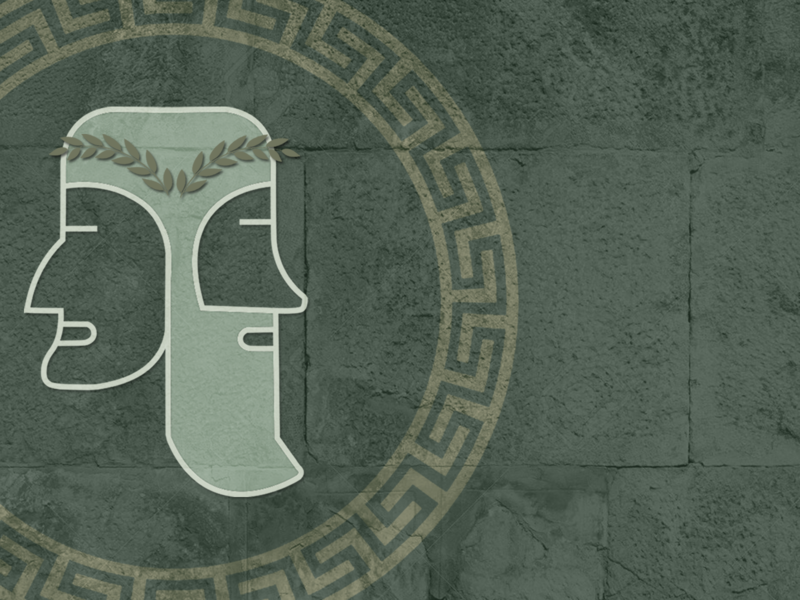 Janus is the god of beginnings, transitions and doorways. 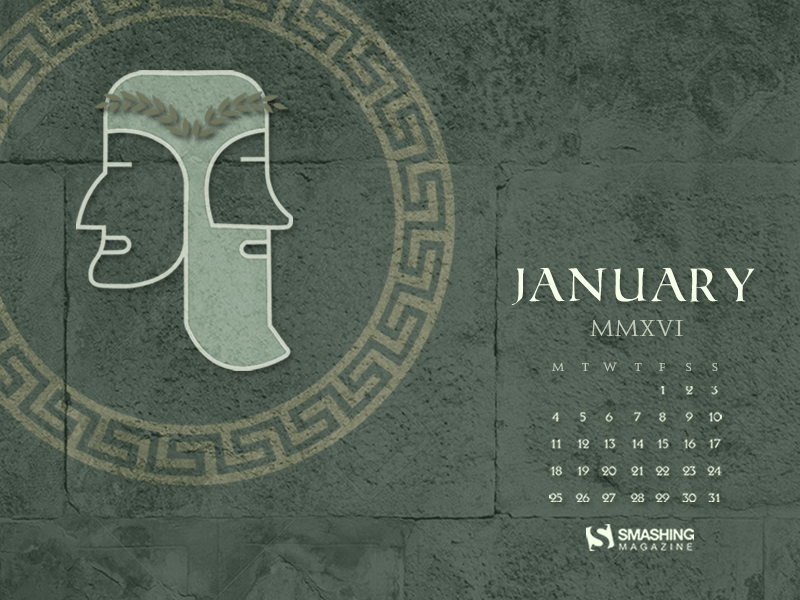 His first face faces the past, and his other one faces the future; the new year of 2016!” — Designed by Lorens Huculak from Belgium. 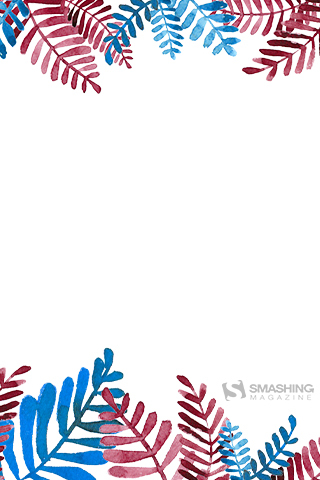 Designed by Nathalie from France. 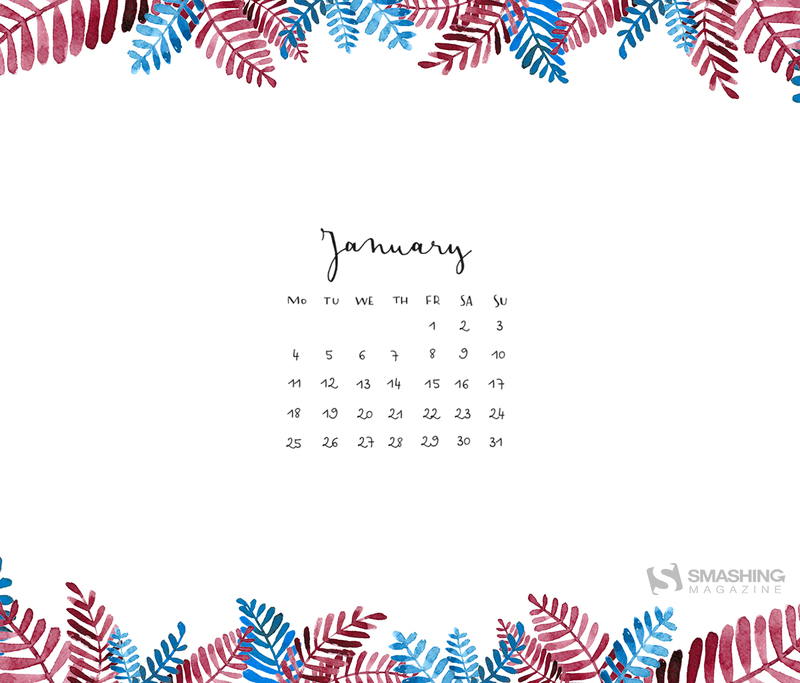 “In our country, Christmas is celebrated in January when oak branches and leaves are burnt to symbolize the beginning of the New Year and new life. 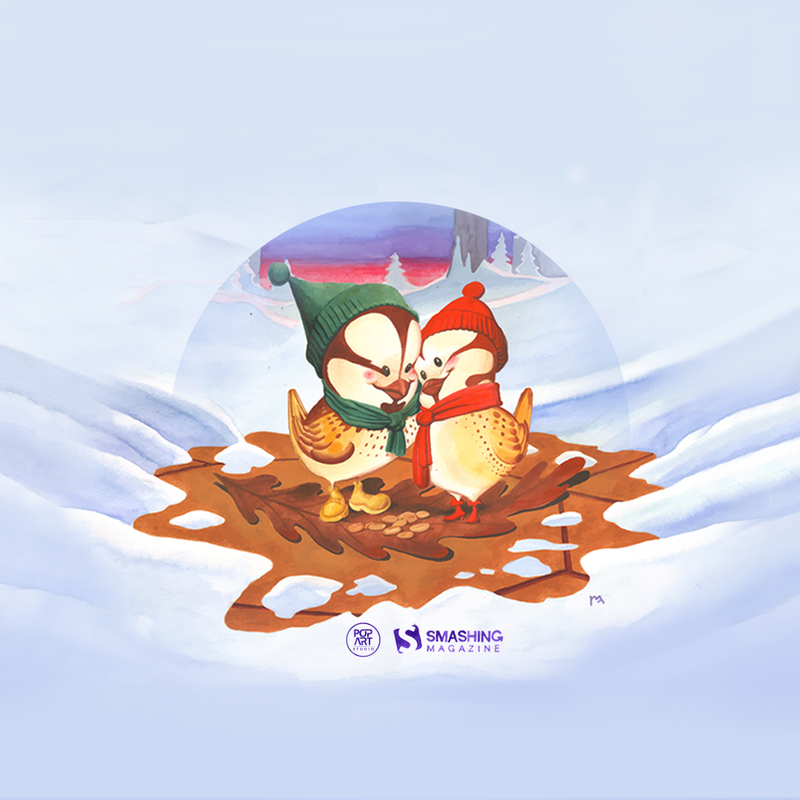 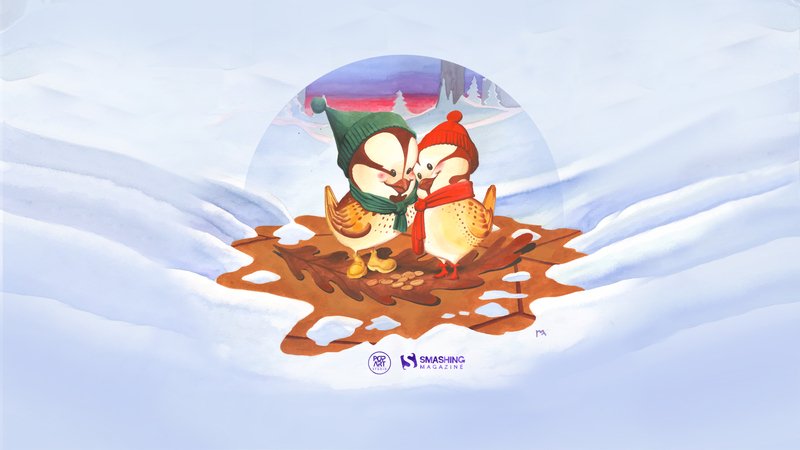 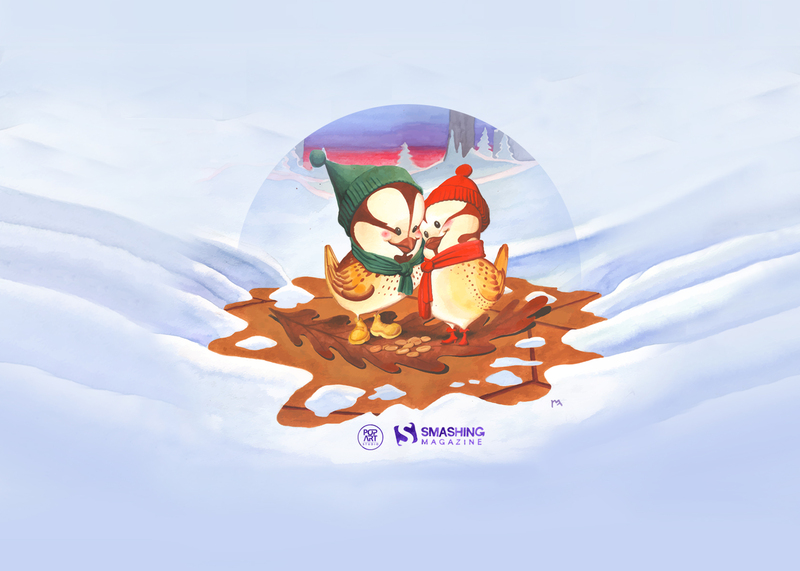 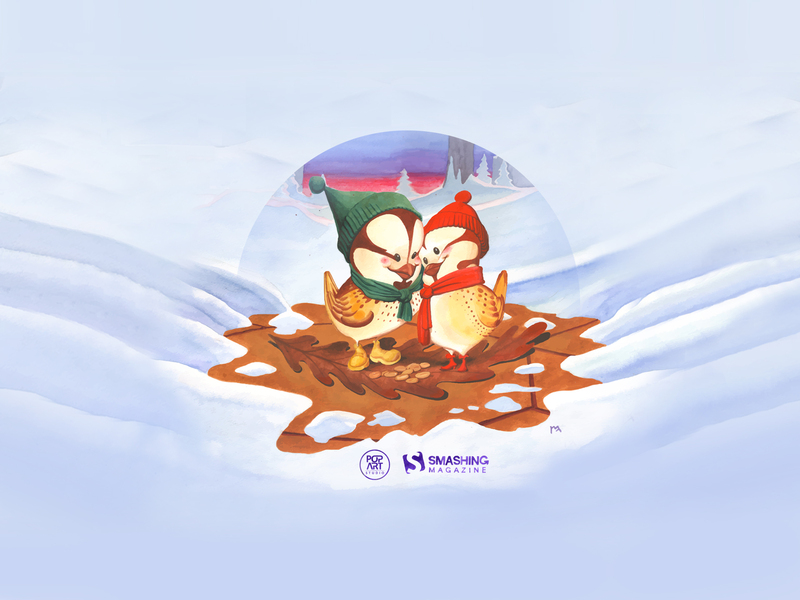 It’s the time when we gather with our families and celebrate the arrival of the new year in a warm and cuddly atmosphere.” — Designed by PopArt Studio from Serbia. 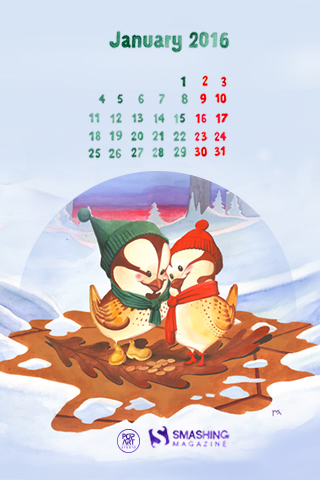 Designed by Karolina Palka from Poland. “When all the festivities are over, all we want is some peace and rest. 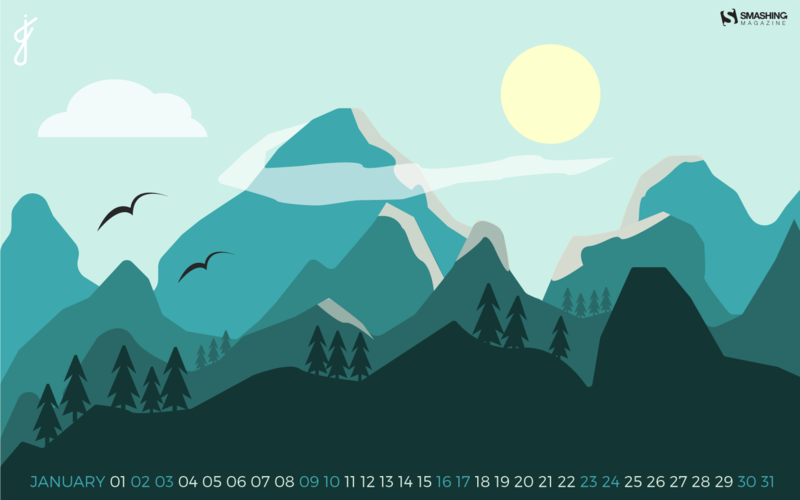 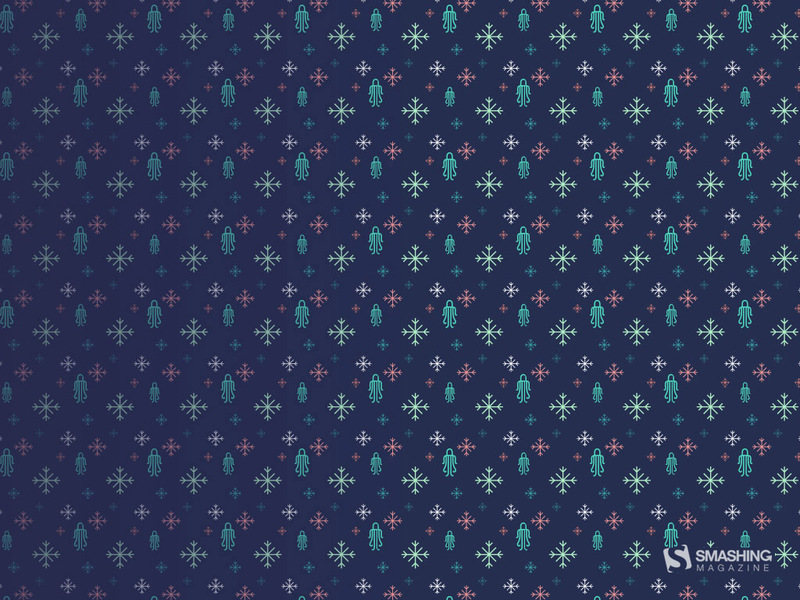 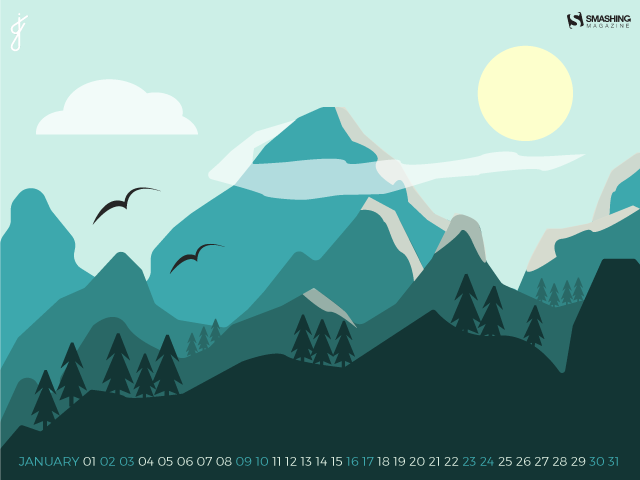 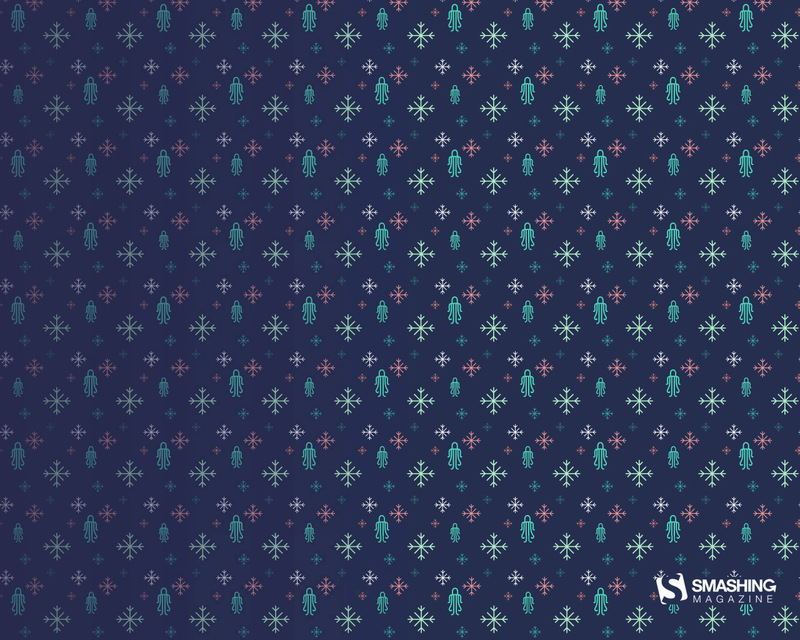 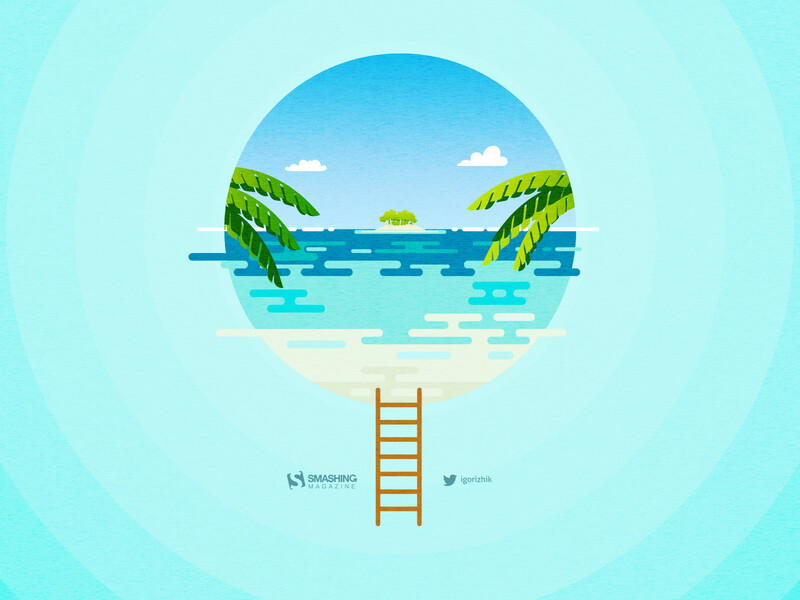 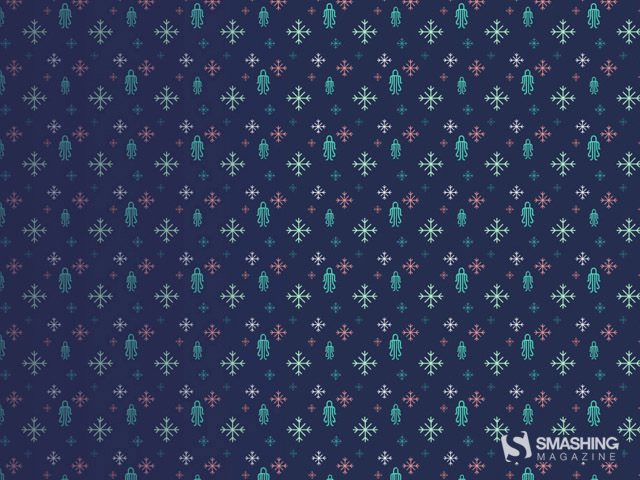 That’s why I made this simple flat art wallpaper with peaceful colors.” — Designed by Jens Gilis from Belgium. 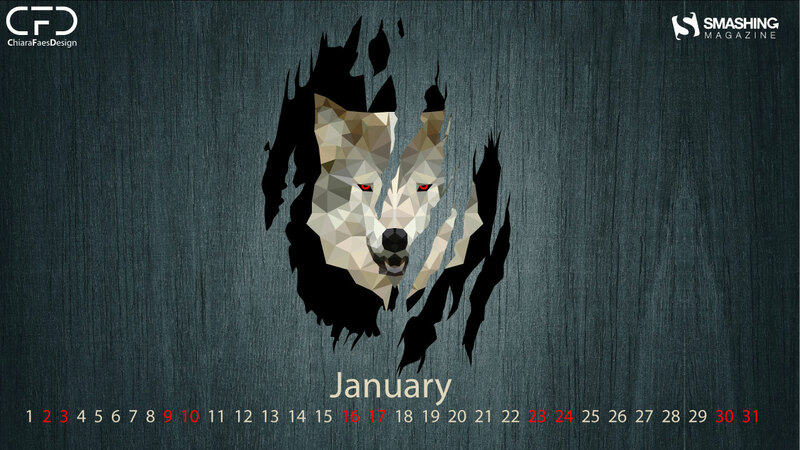 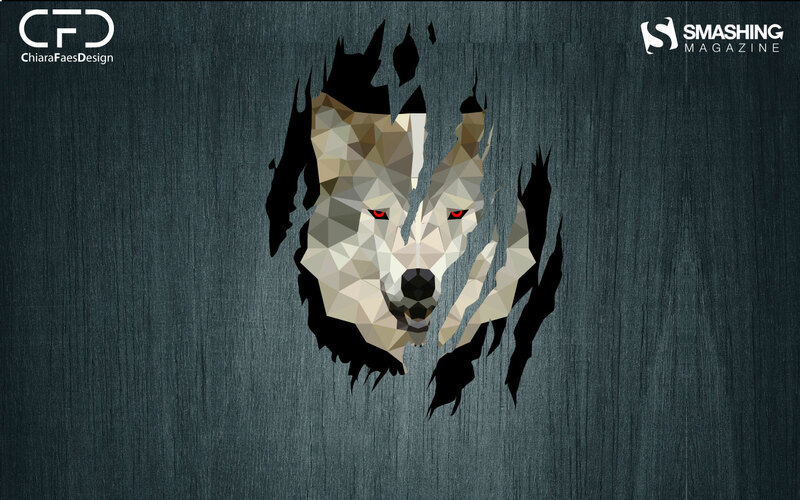 “Wolf-month (in Dutch “wolfsmaand”) is another name for January.” — Designed by Chiara Faes from Belgium.